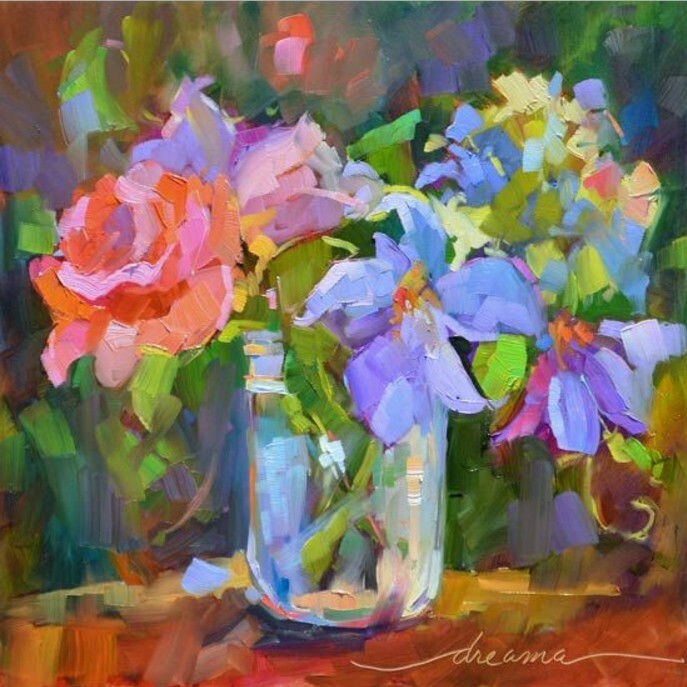 Yes, Dreama Tolle Perry was born to bring joy. 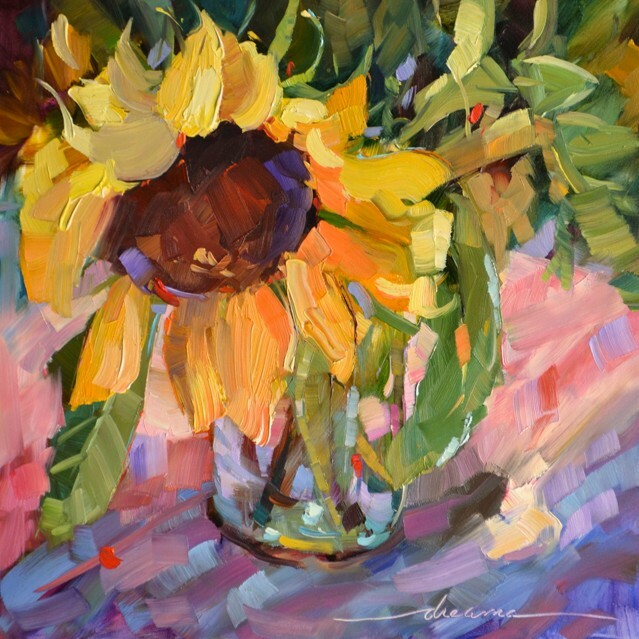 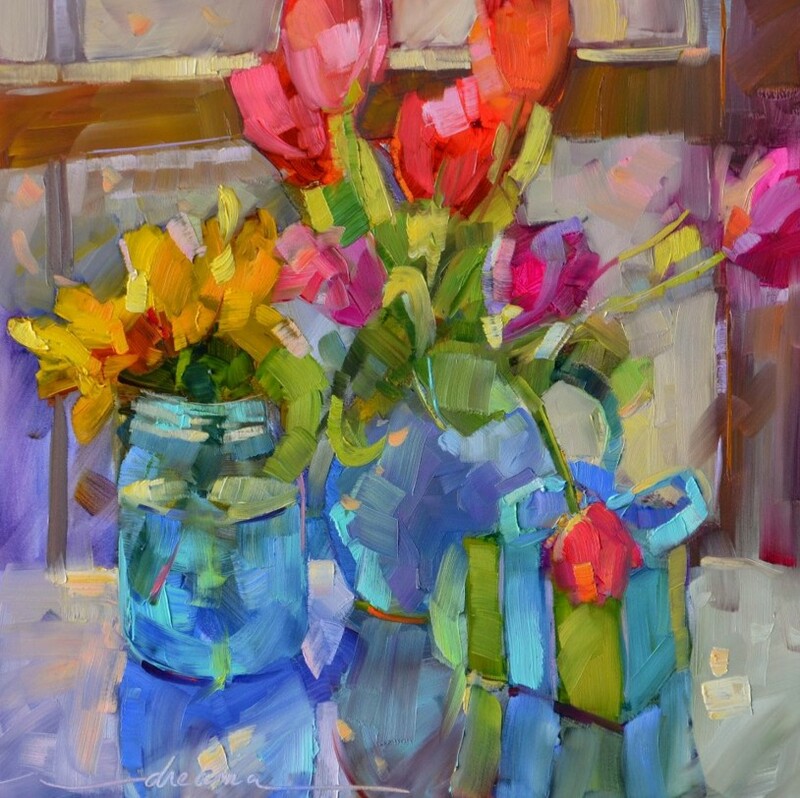 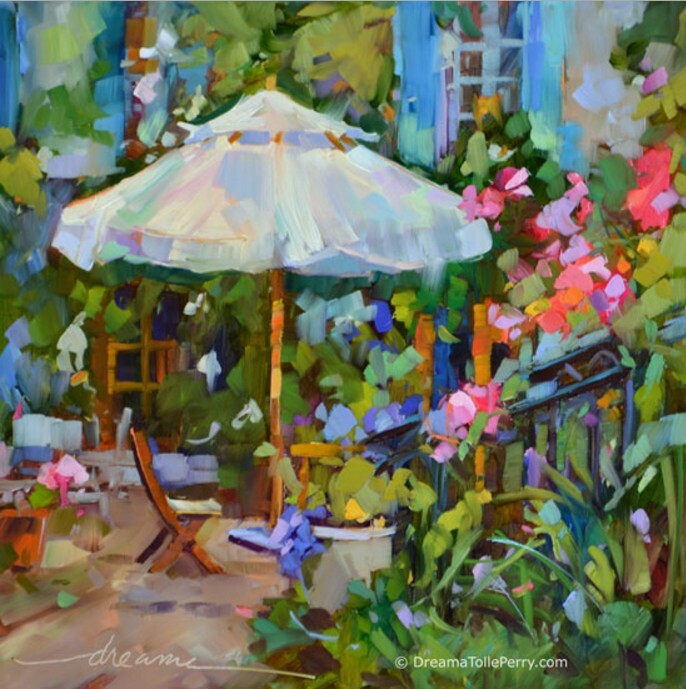 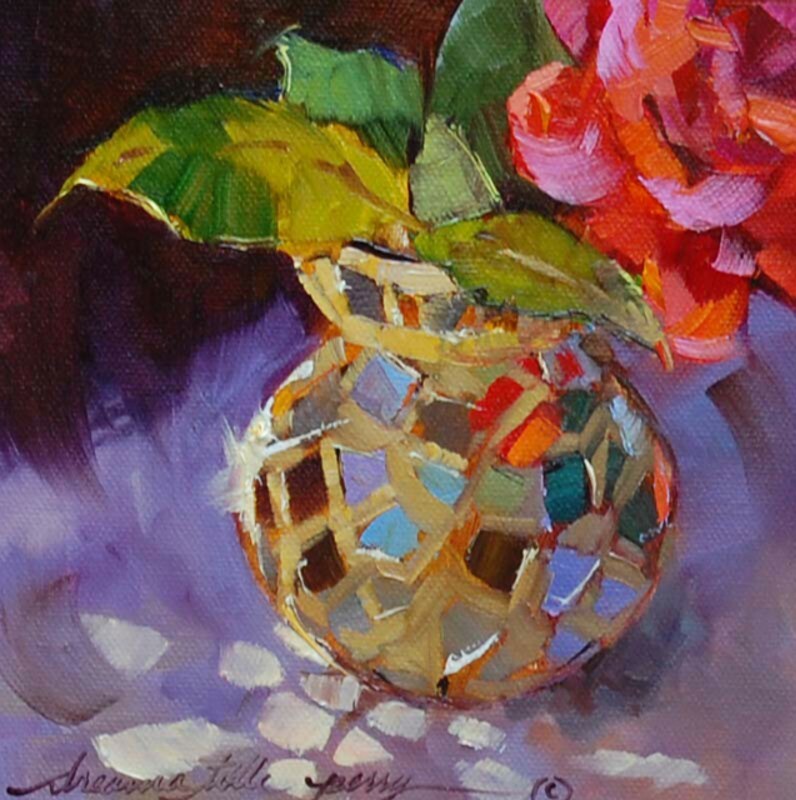 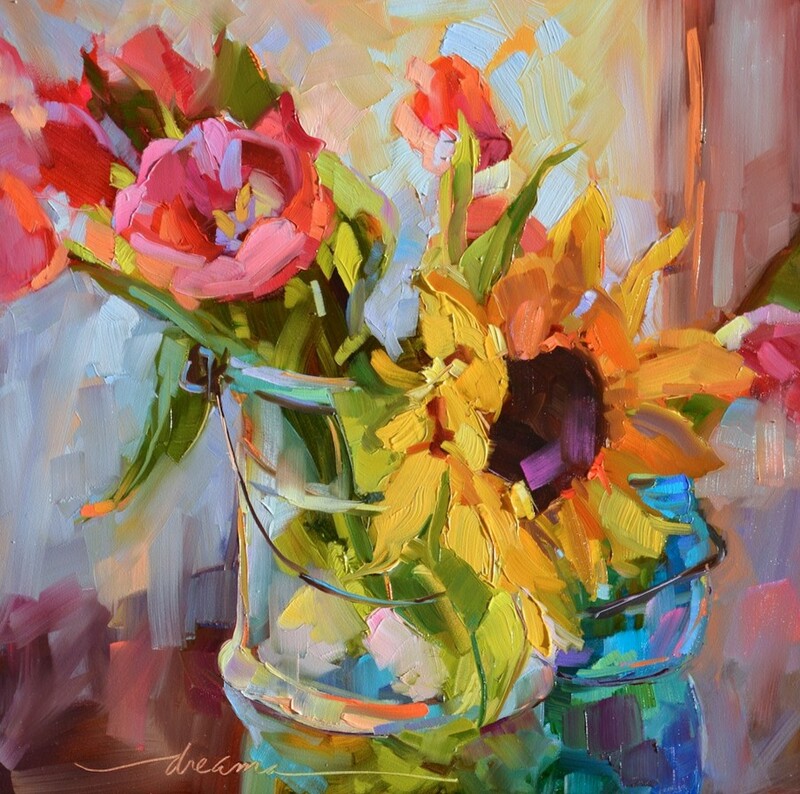 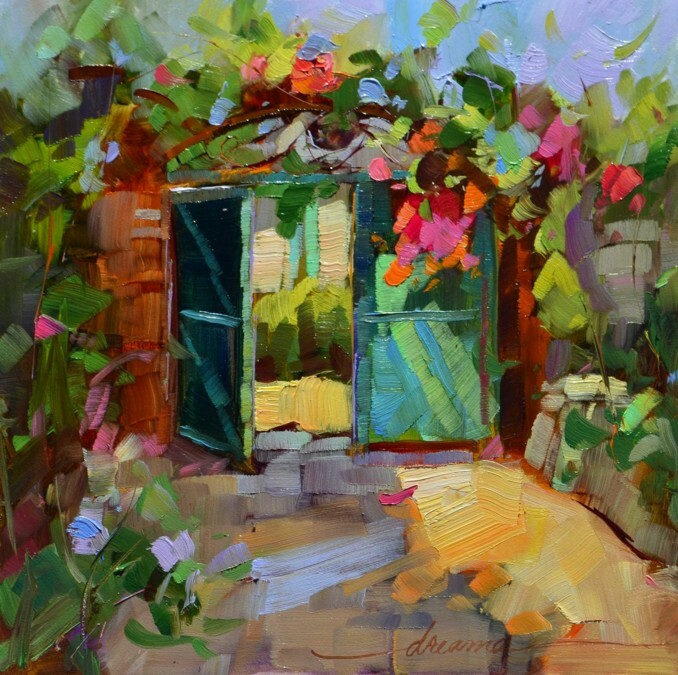 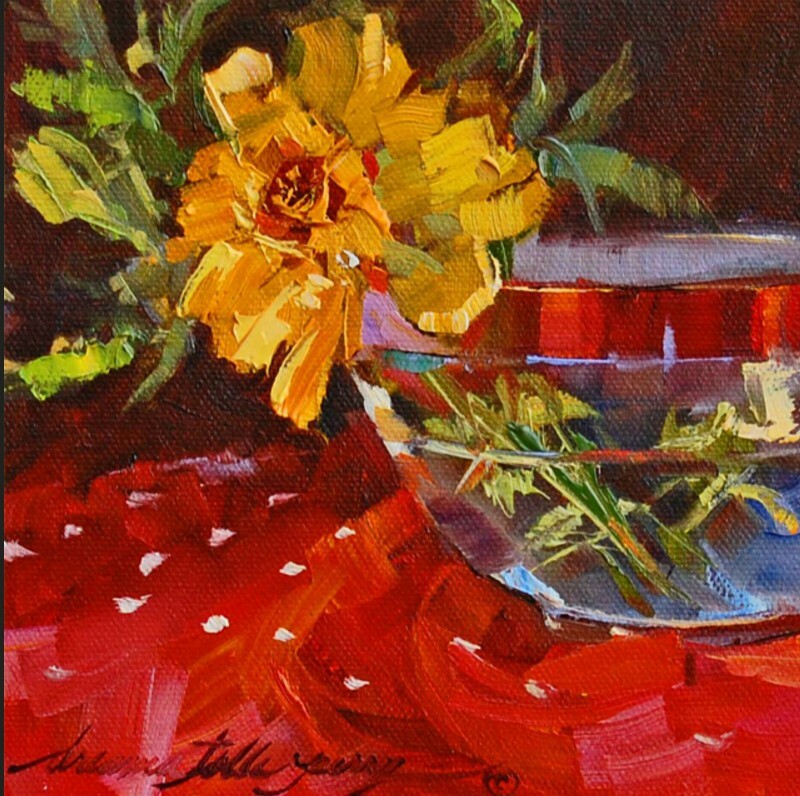 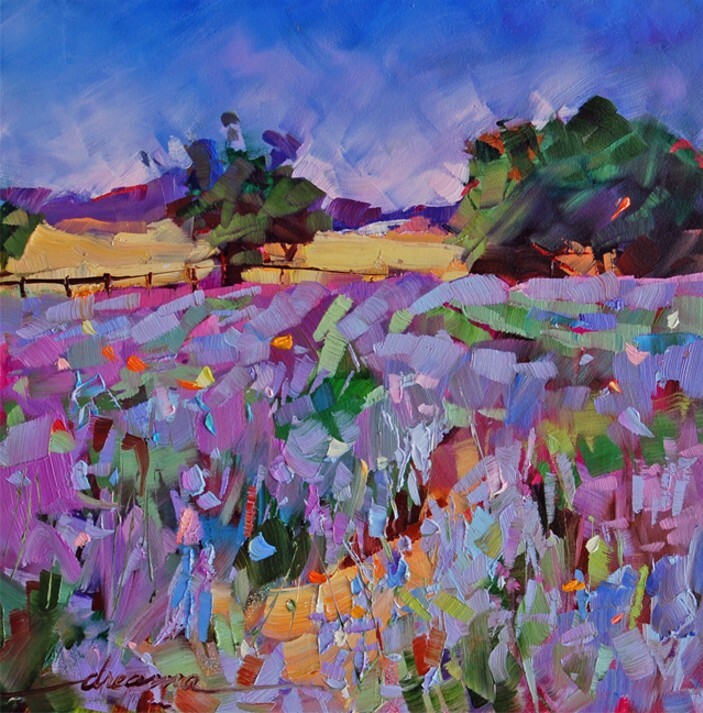 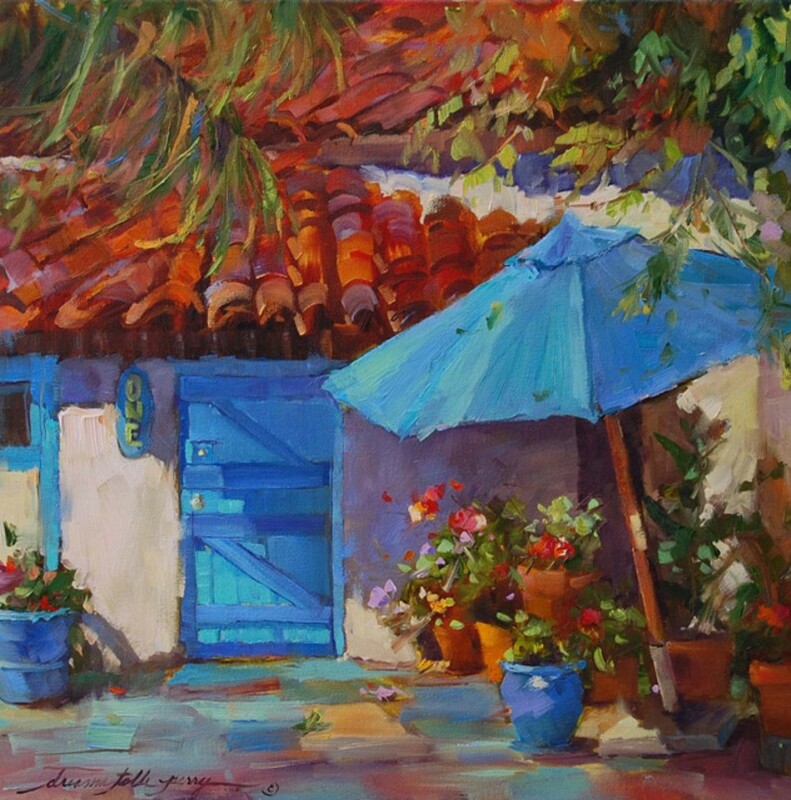 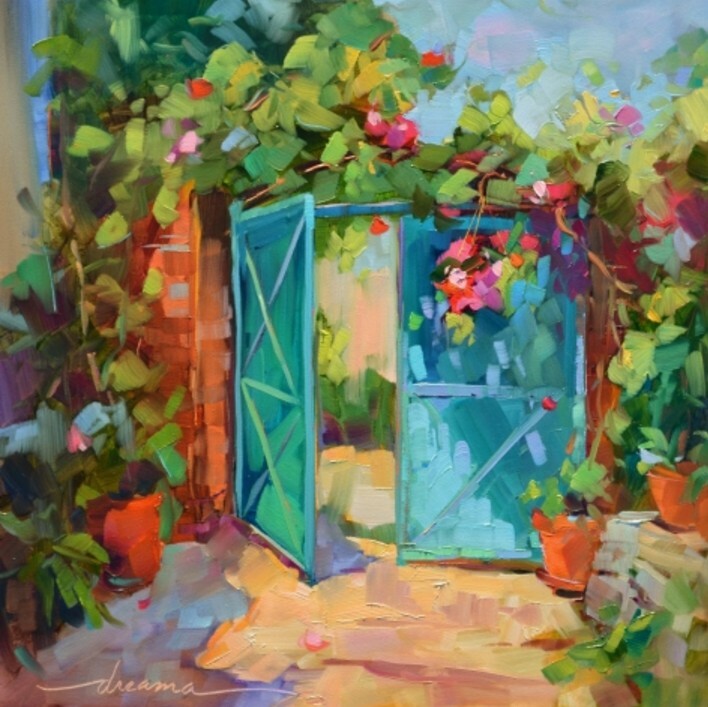 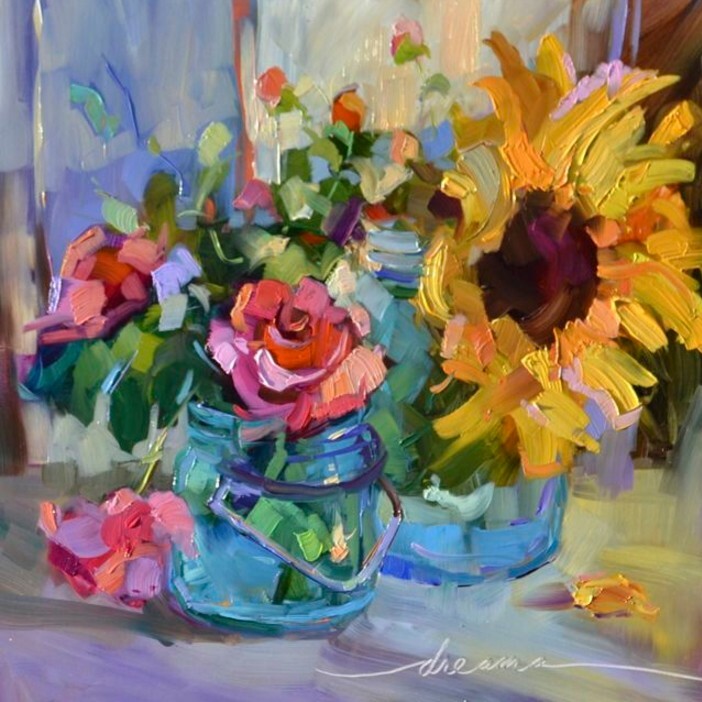 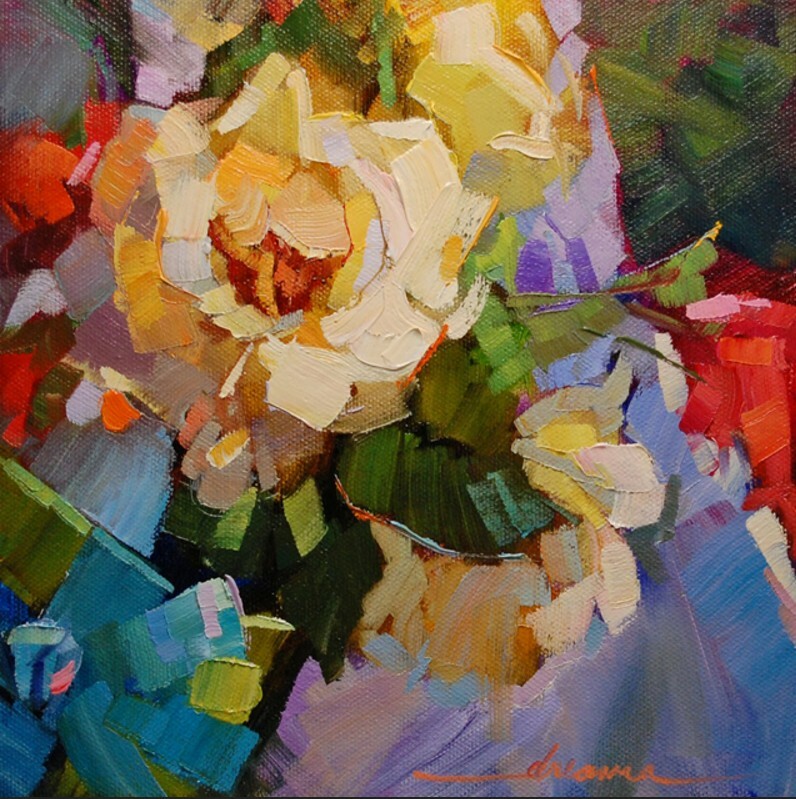 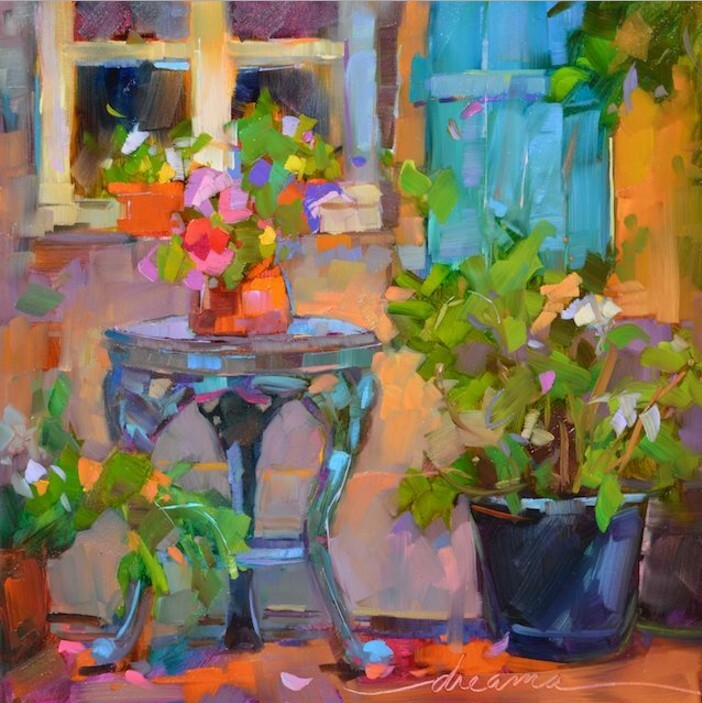 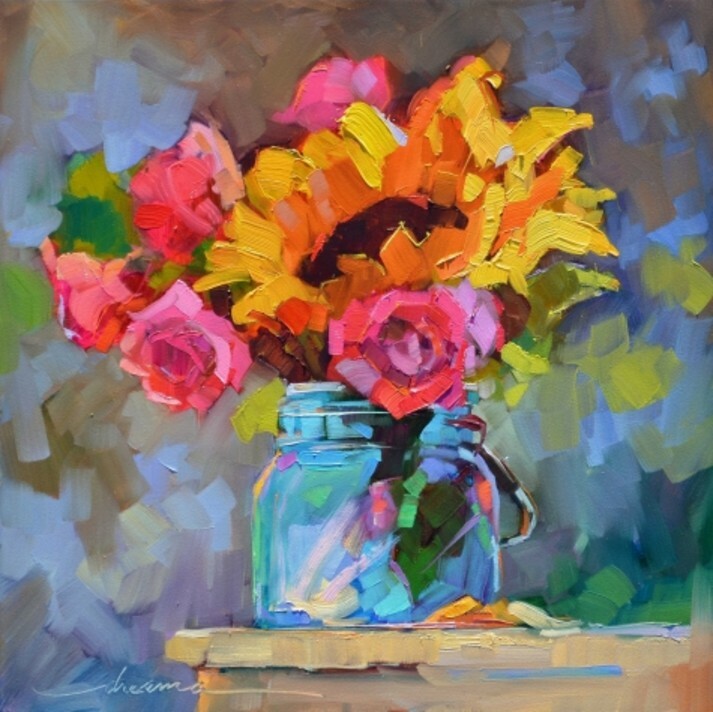 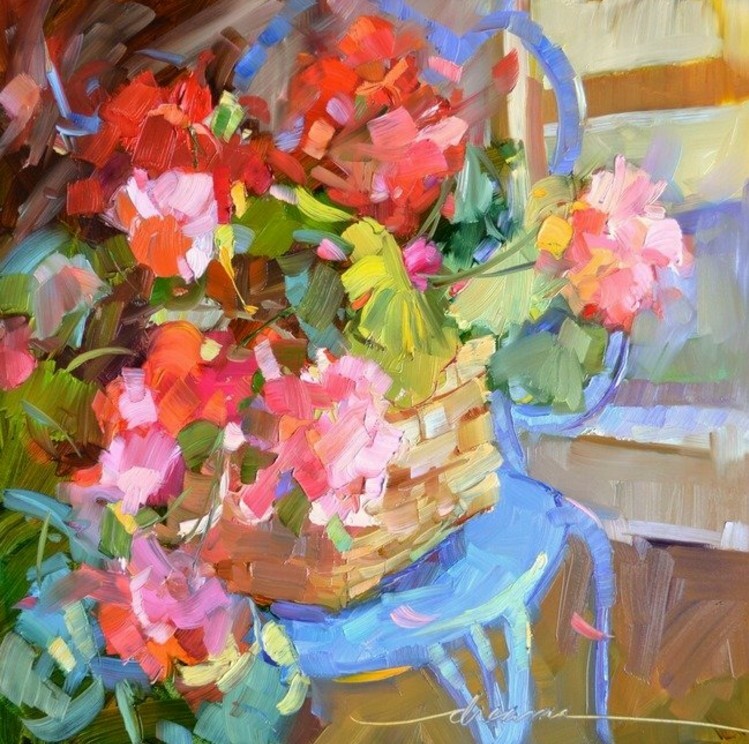 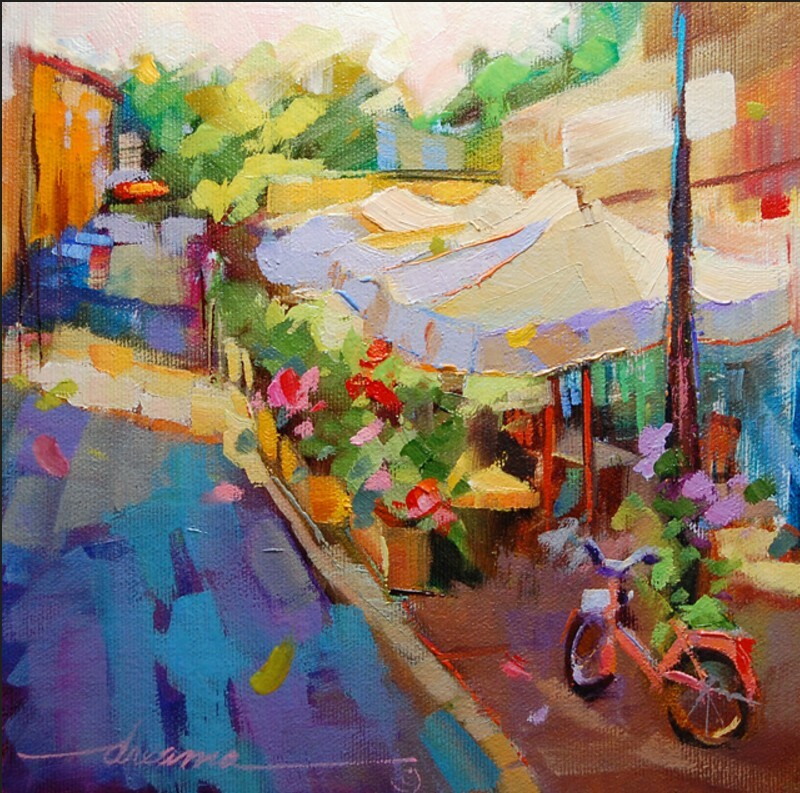 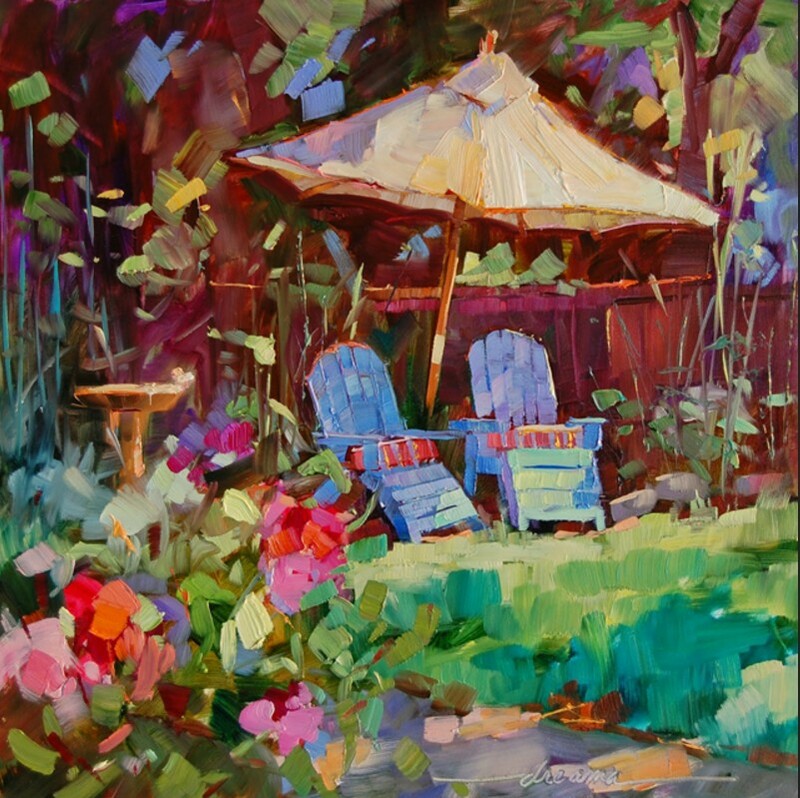 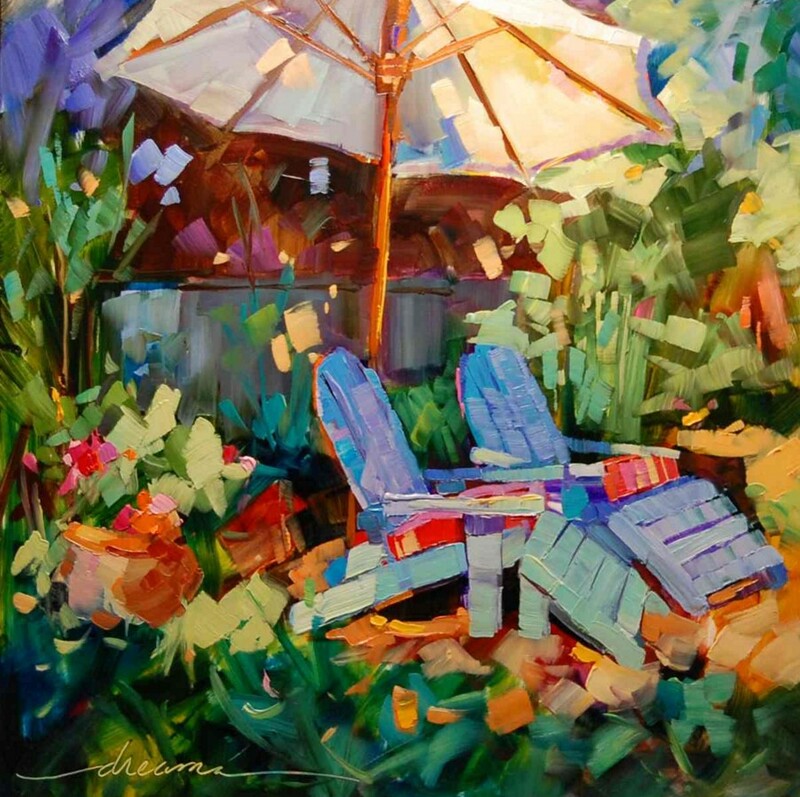 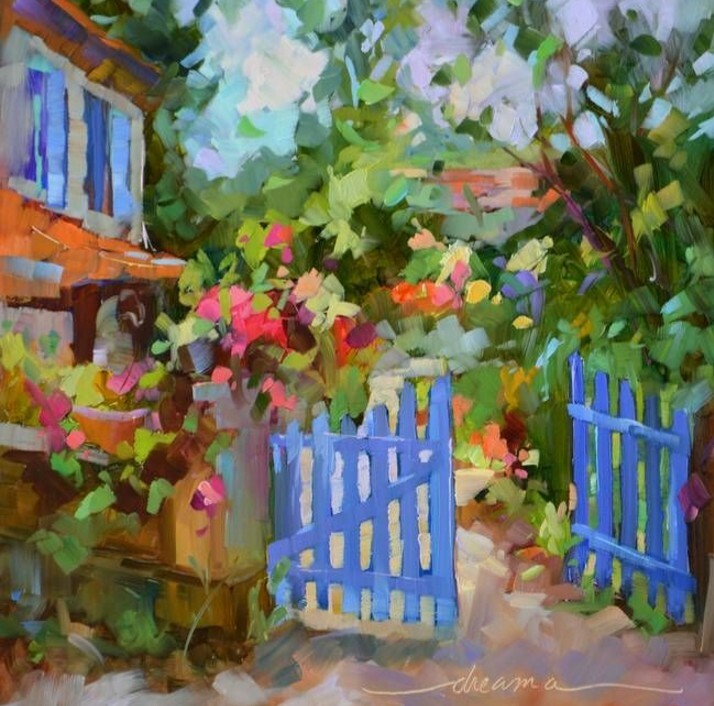 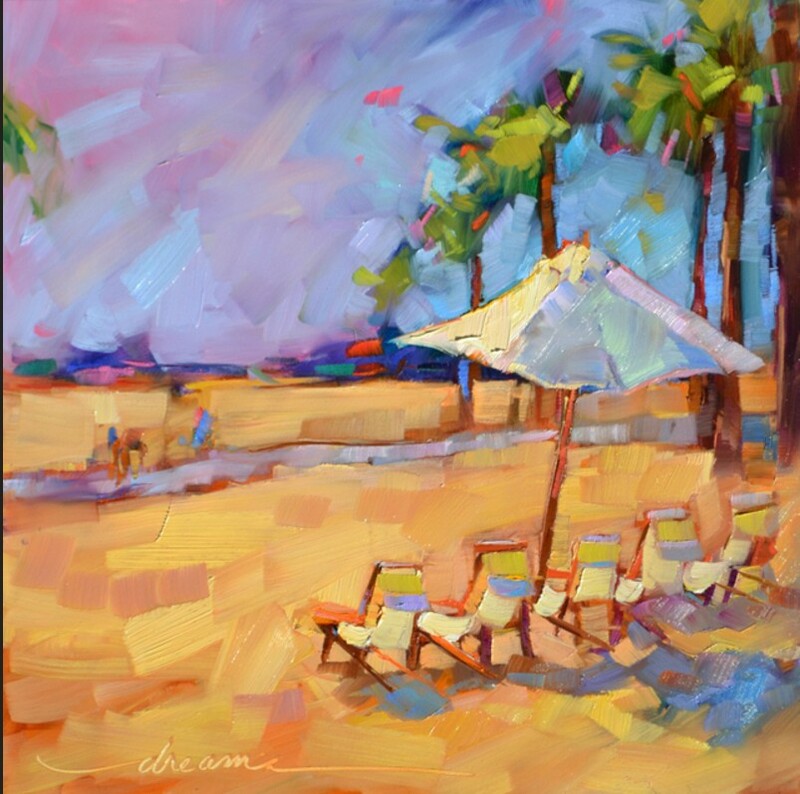 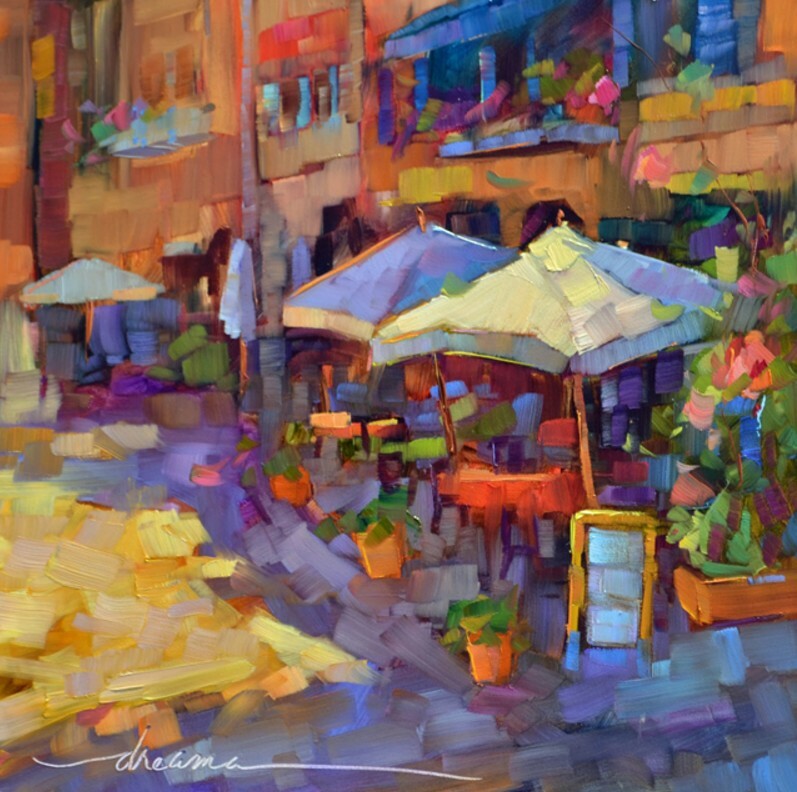 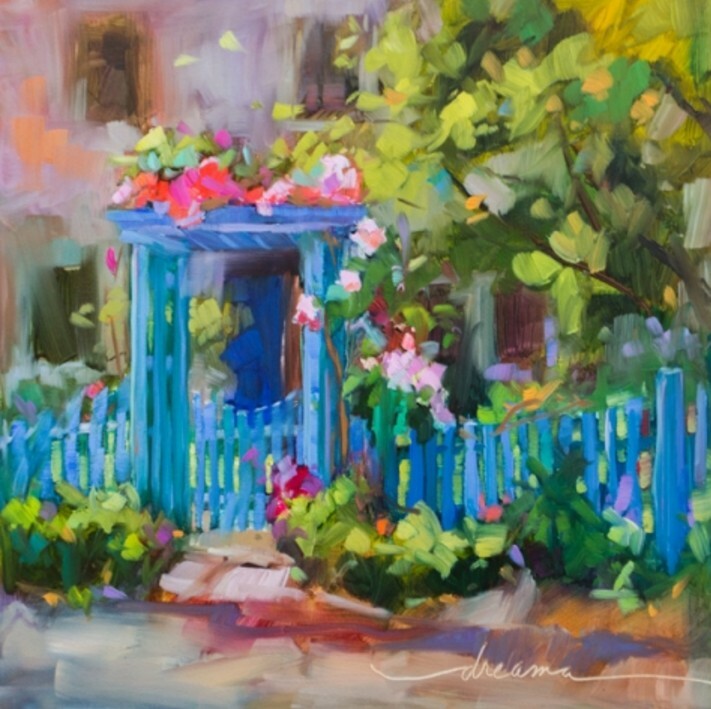 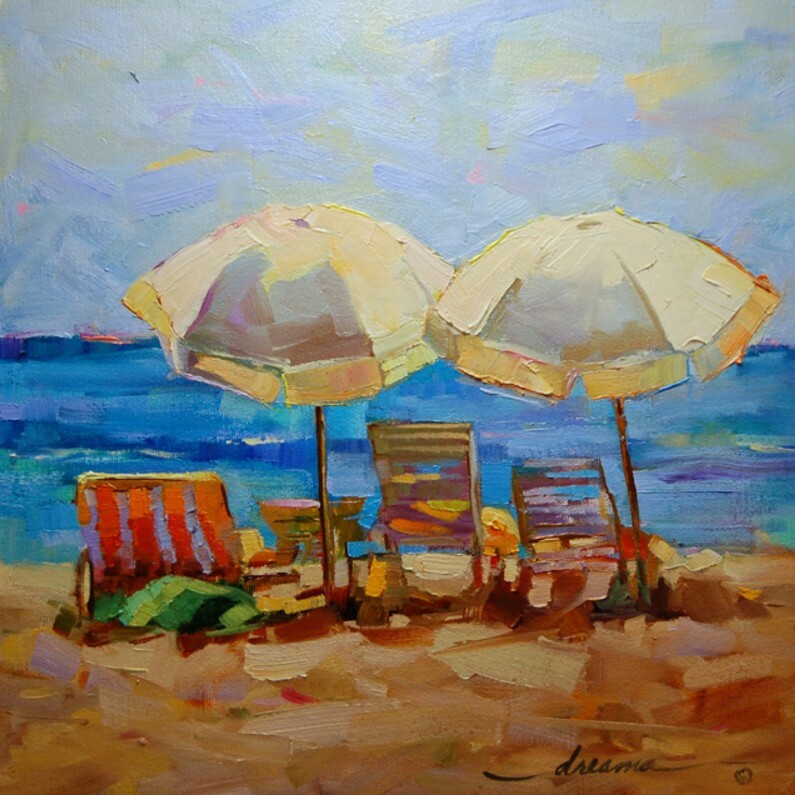 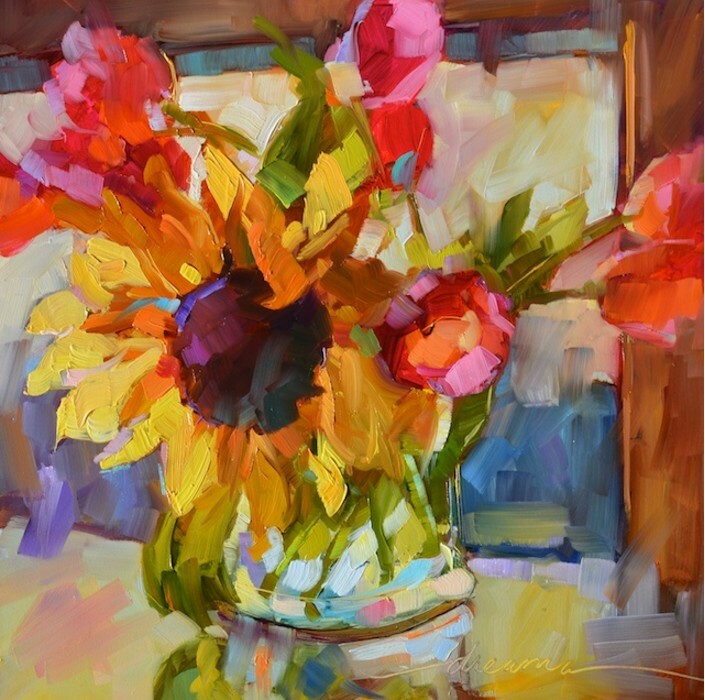 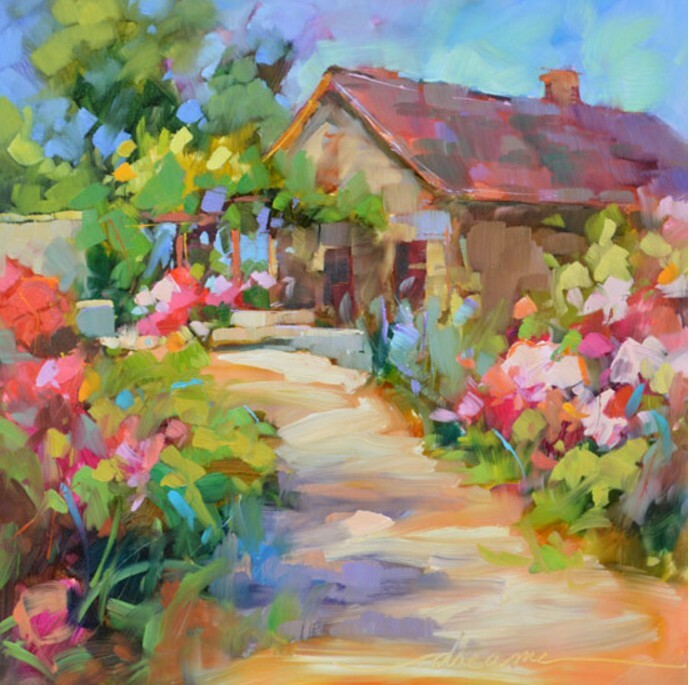 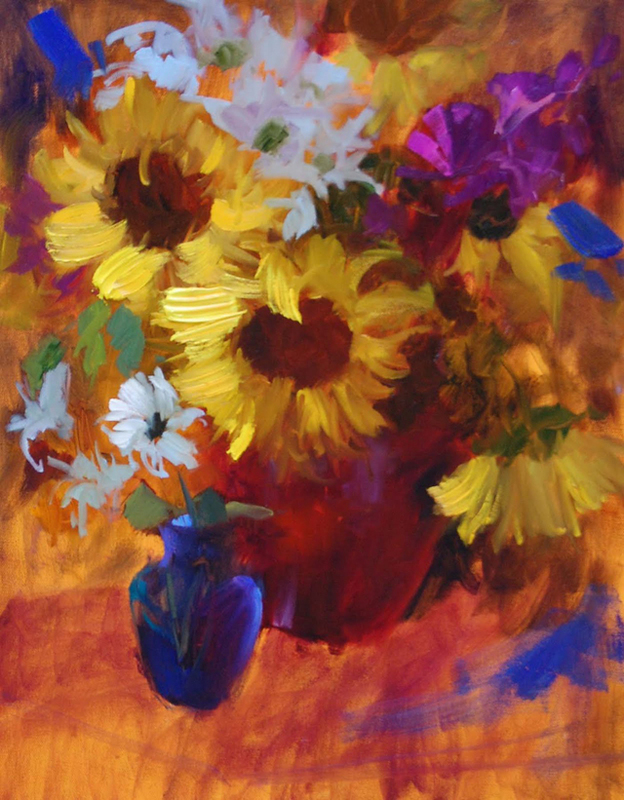 Self-taught artist, Dreama Tolle Perry finds her inspiration in color and sunshine. 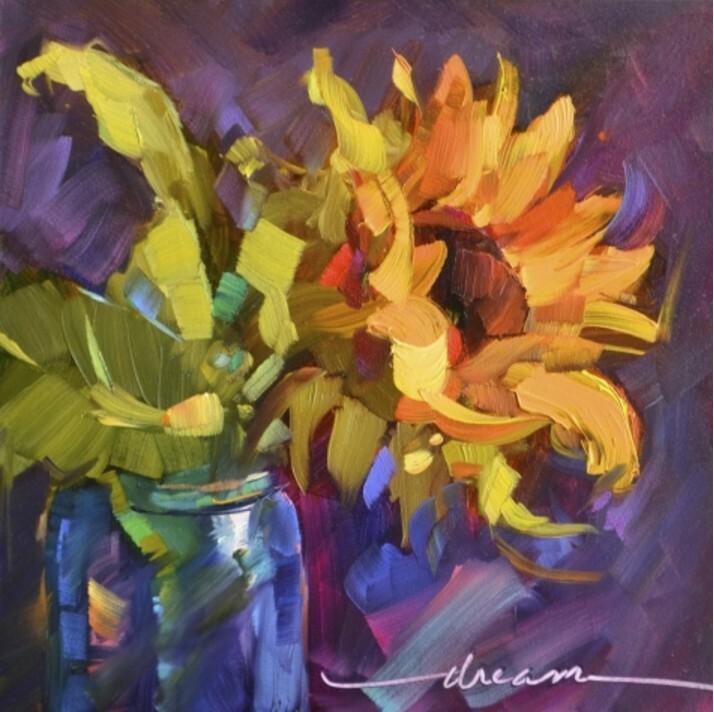 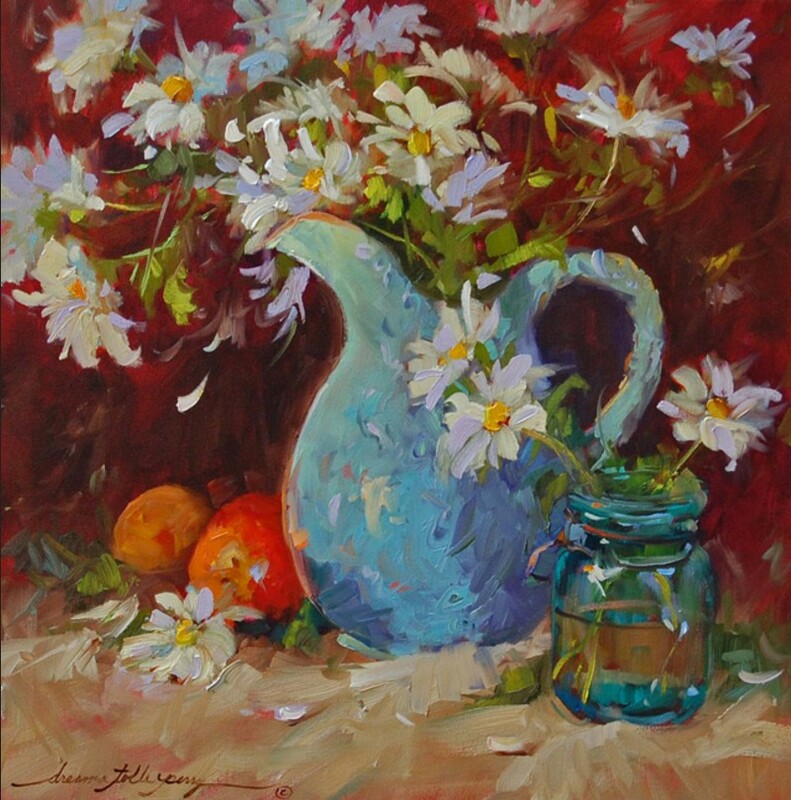 She is a prolific painter and an inspirational teacher. 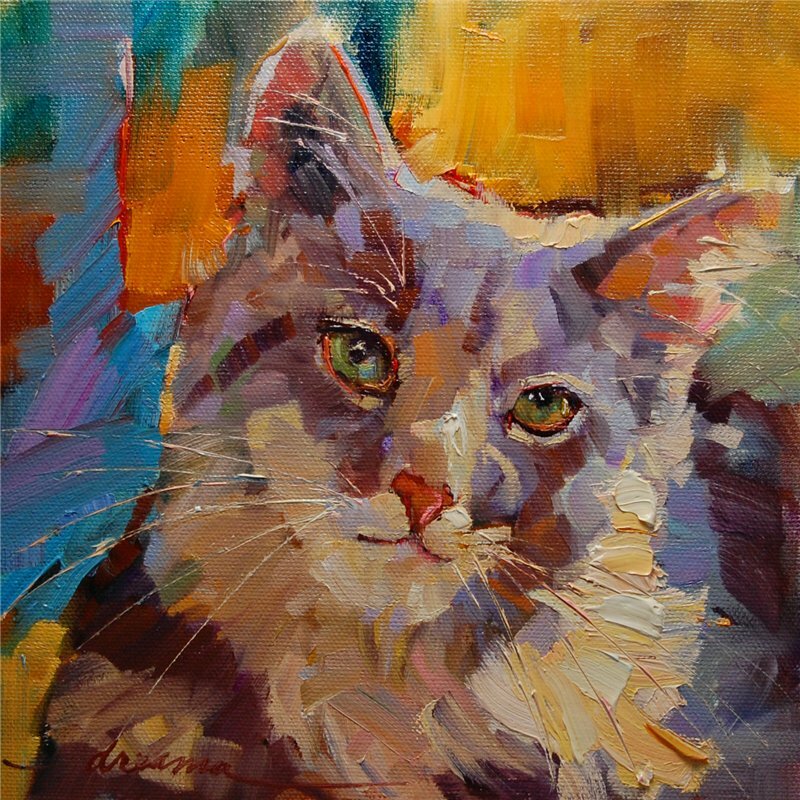 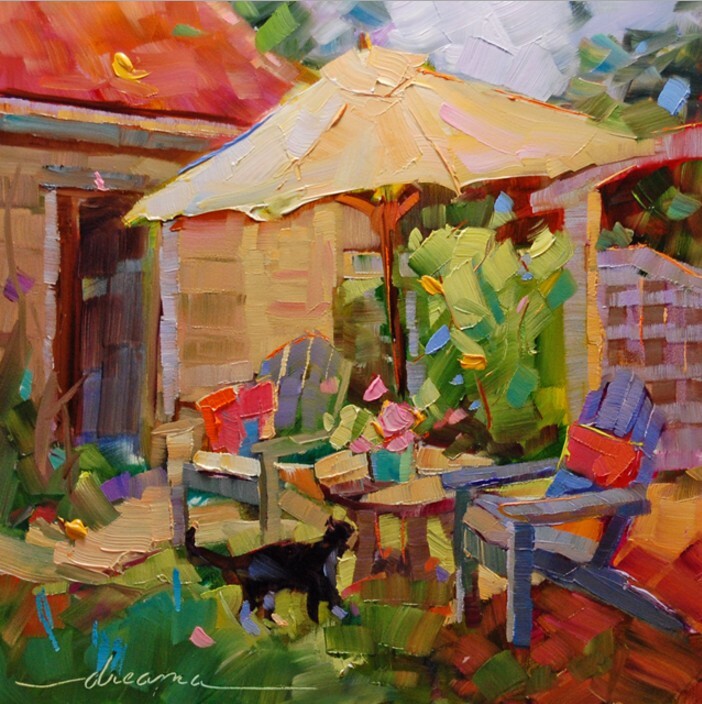 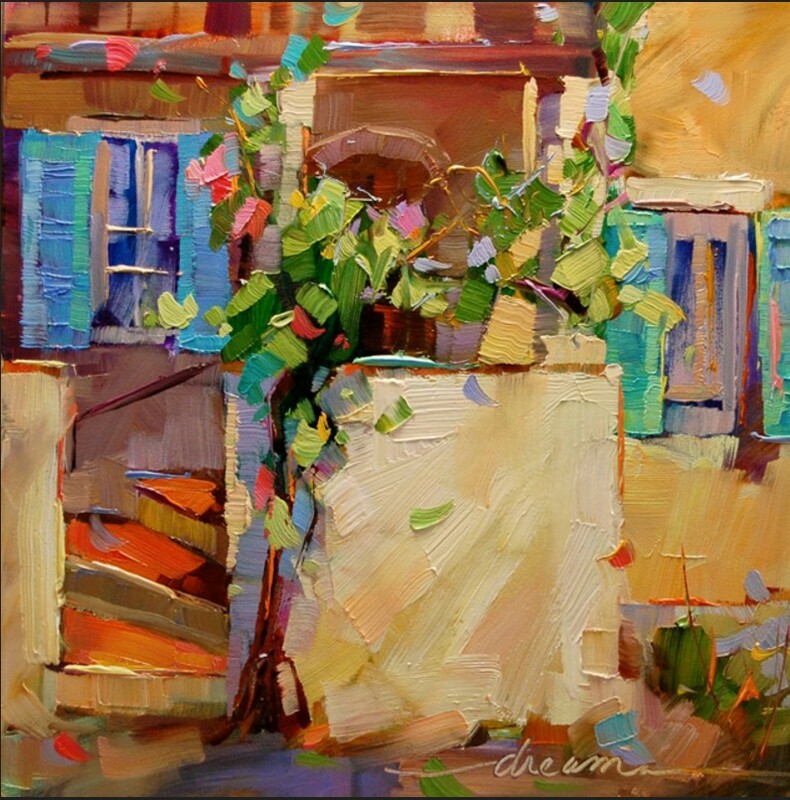 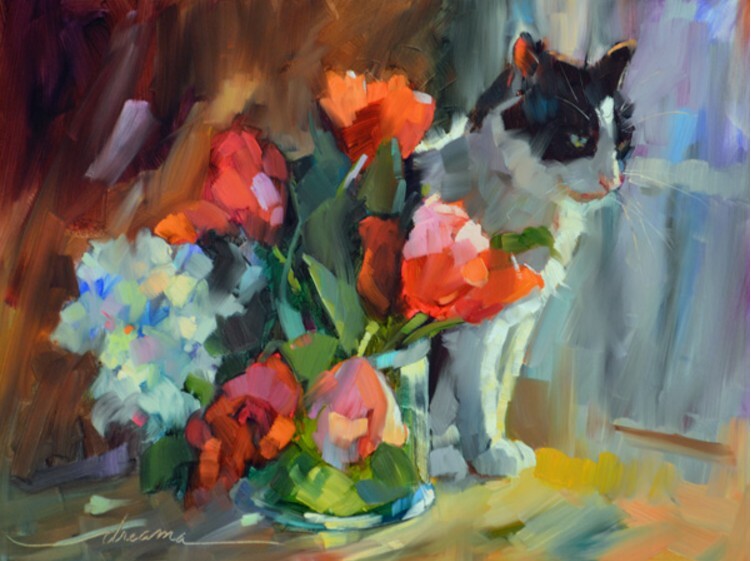 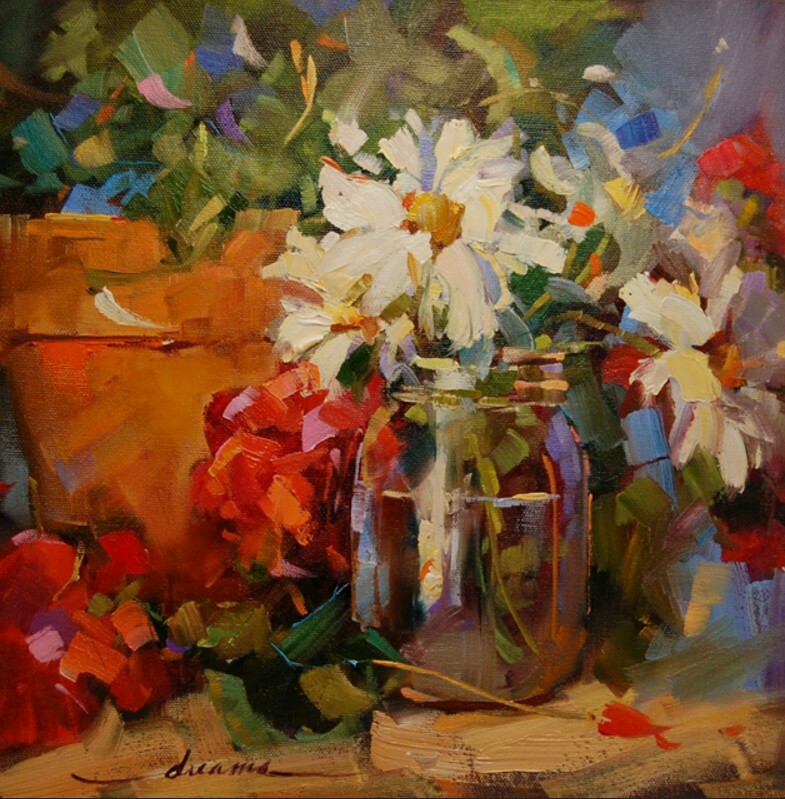 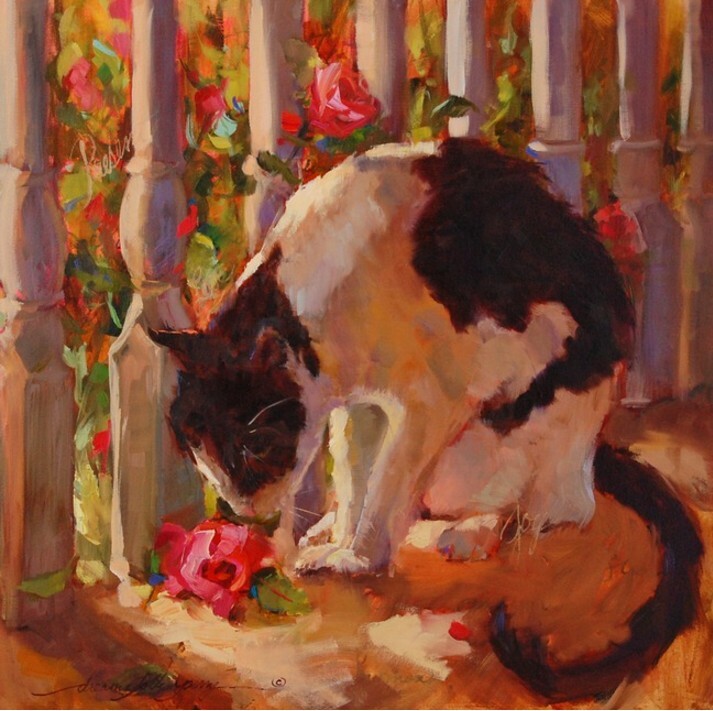 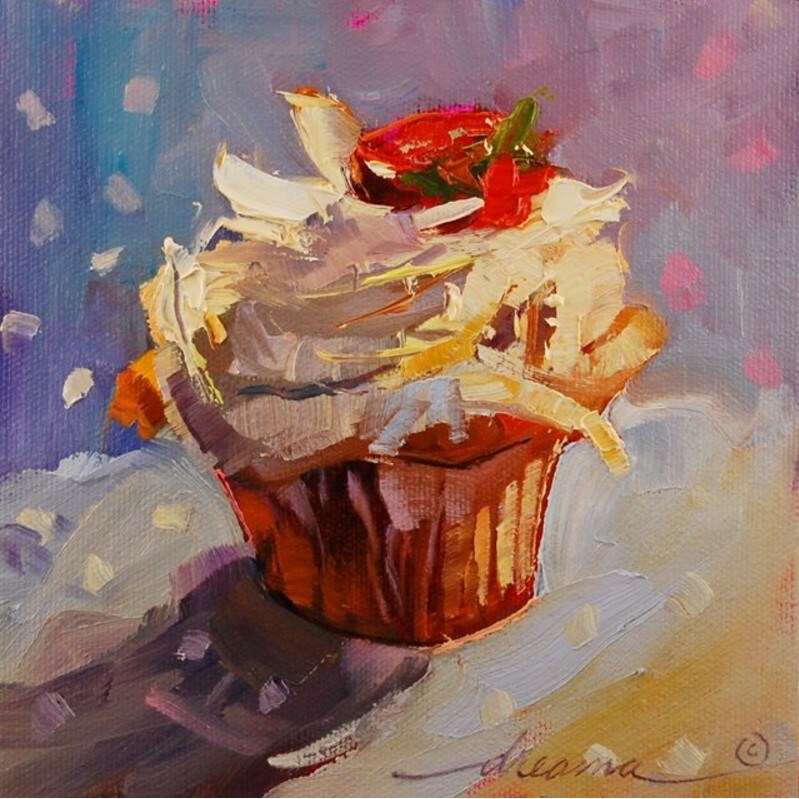 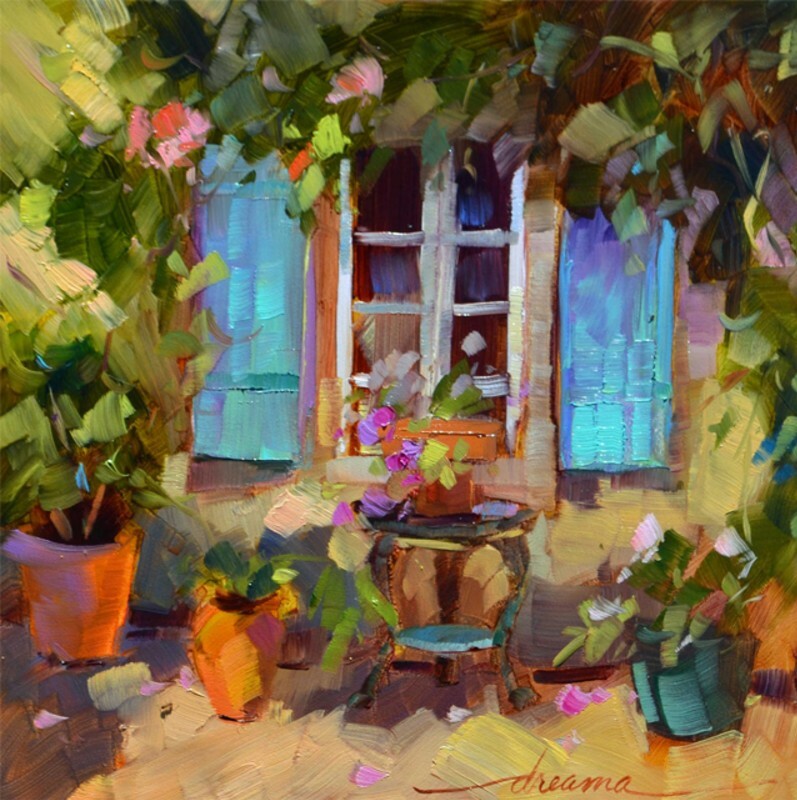 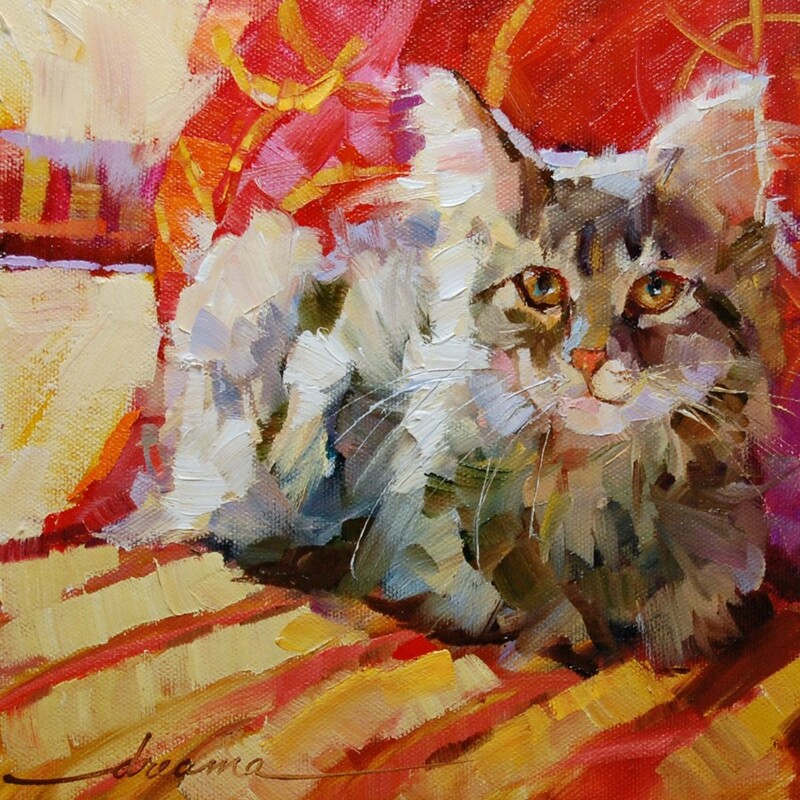 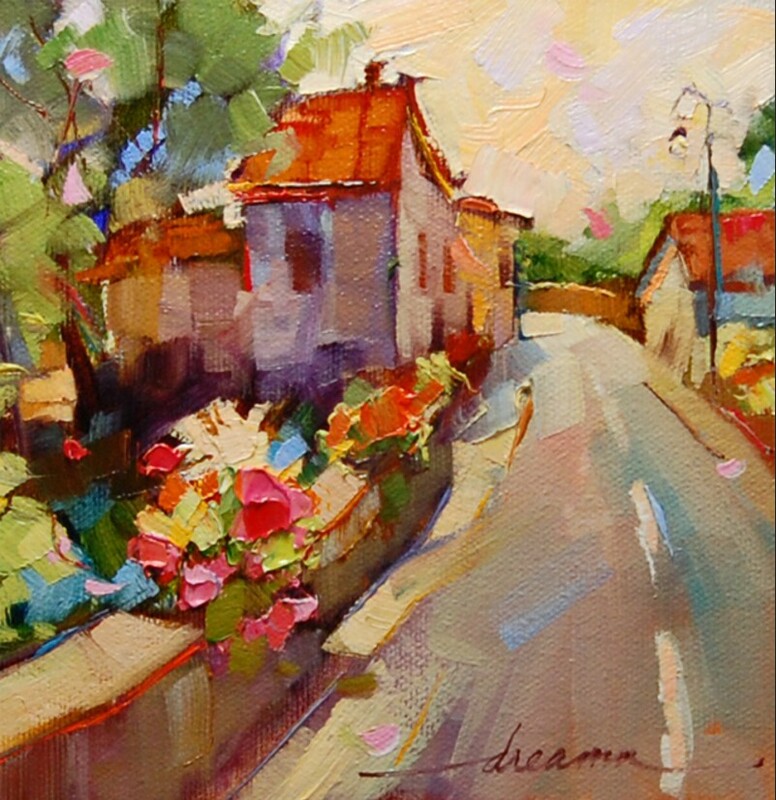 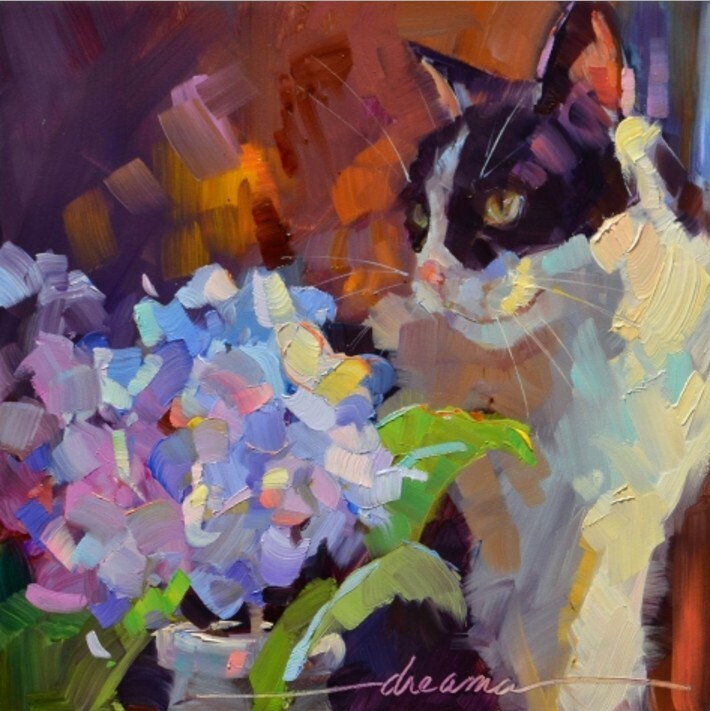 Dreama lives in Paris, KY with her husband Ron, dog Maggie, and world famous cat, Eddie. 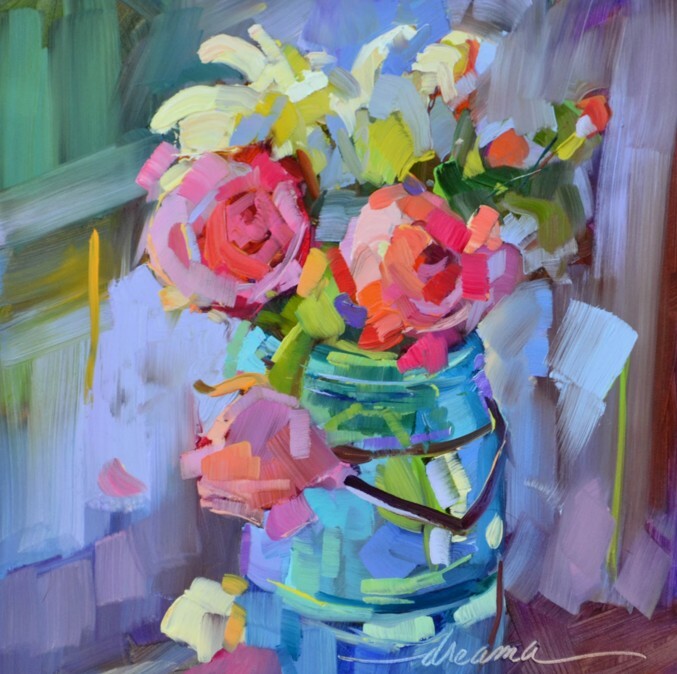 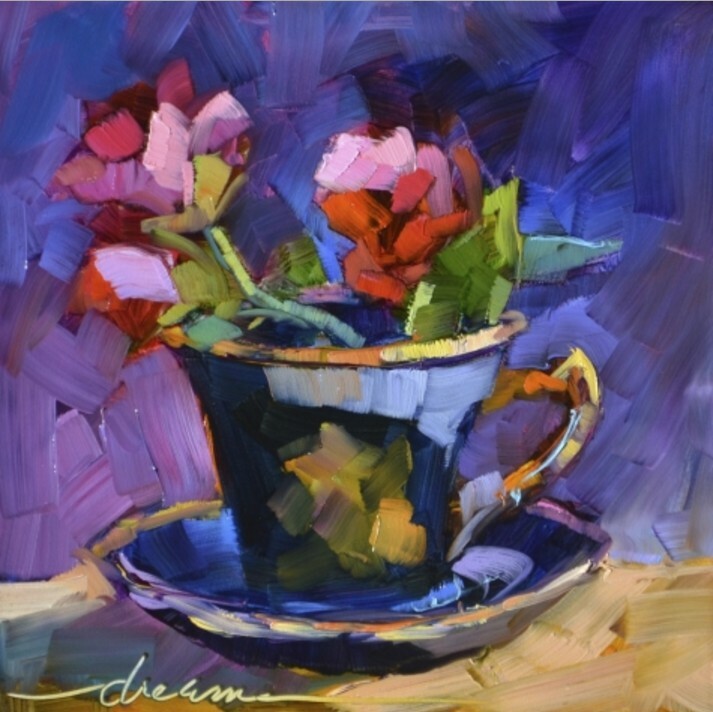 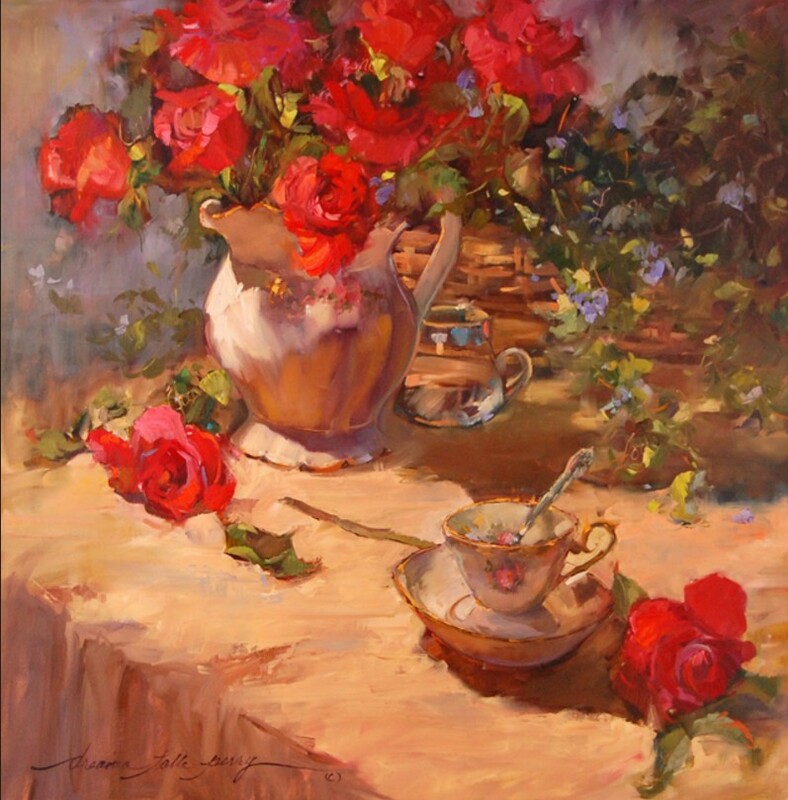 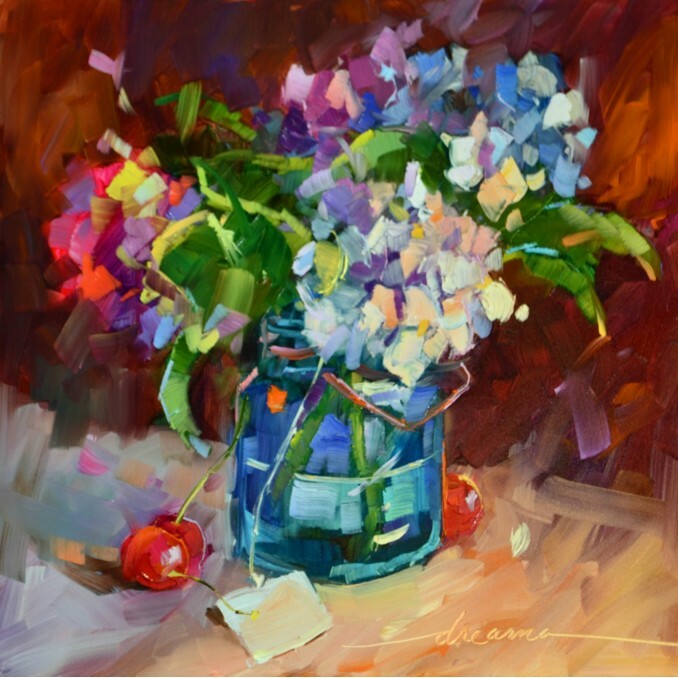 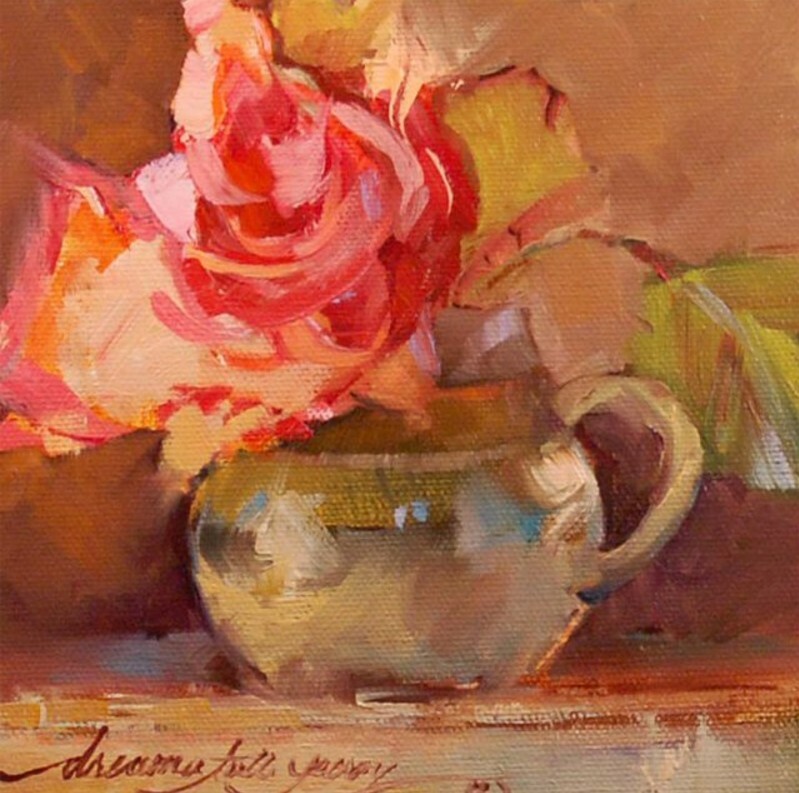 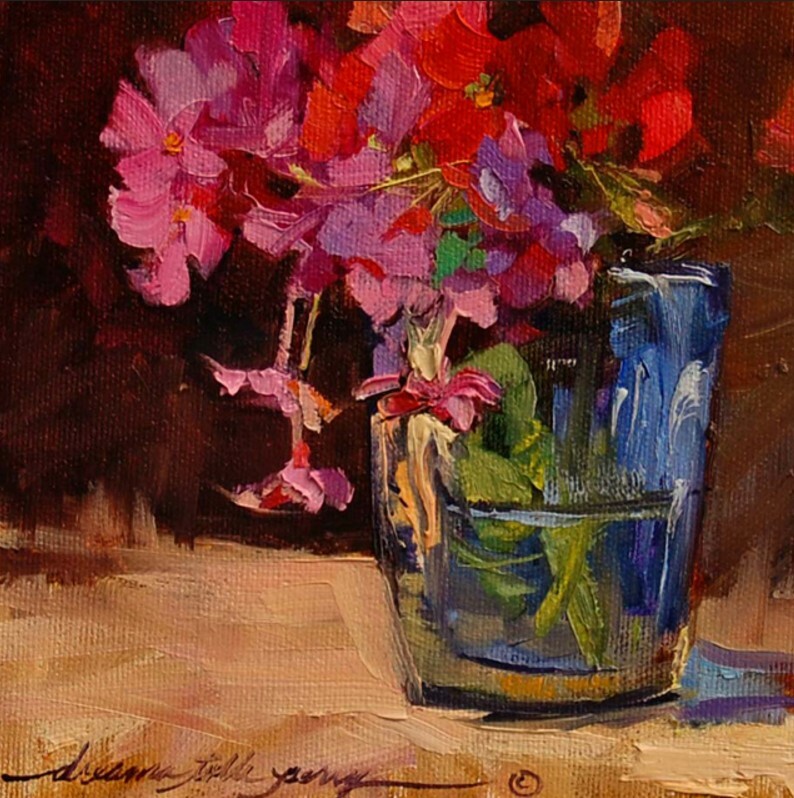 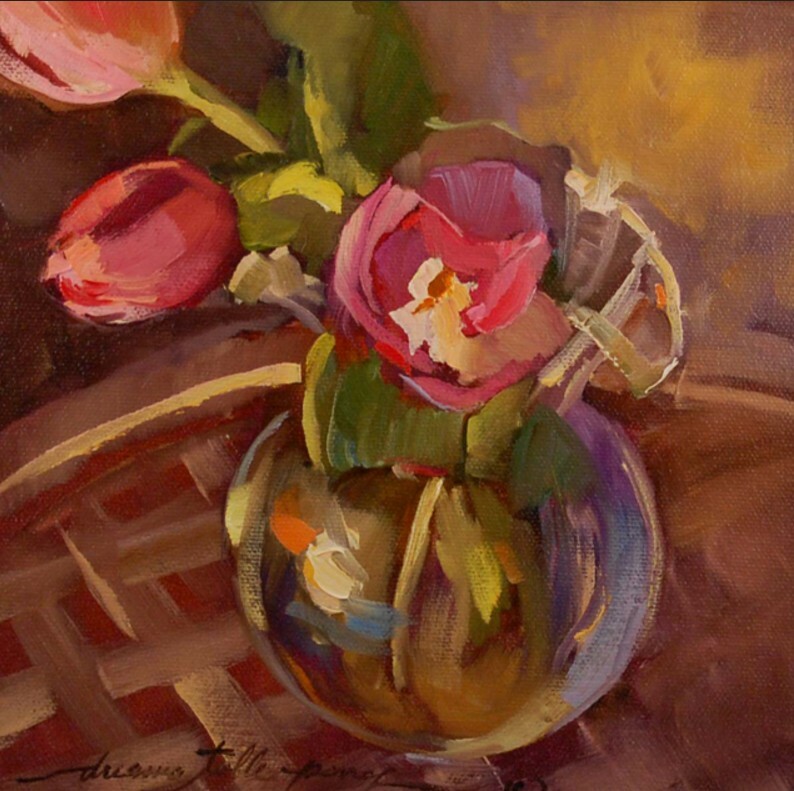 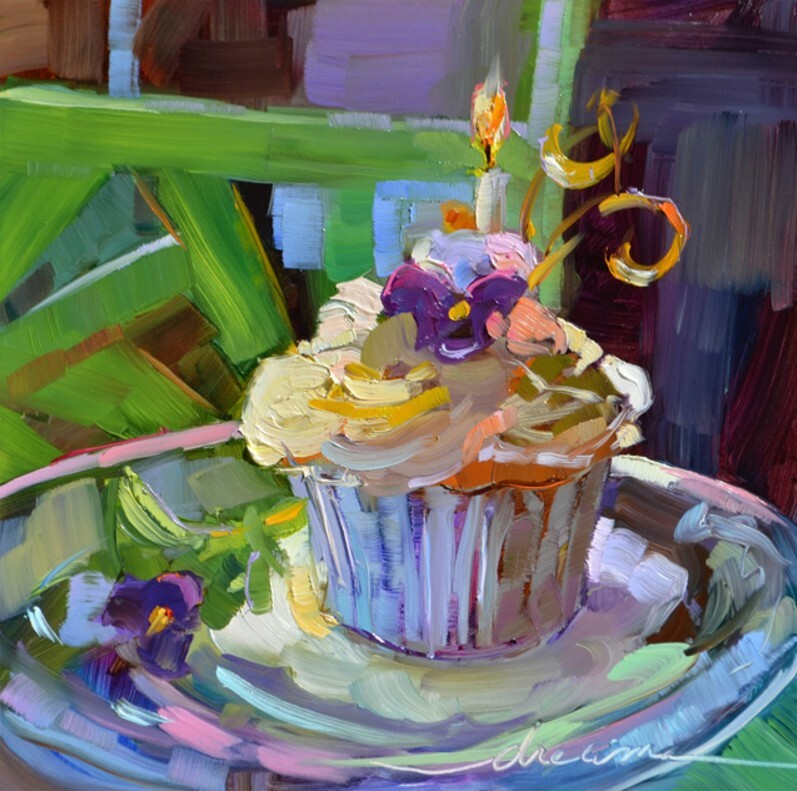 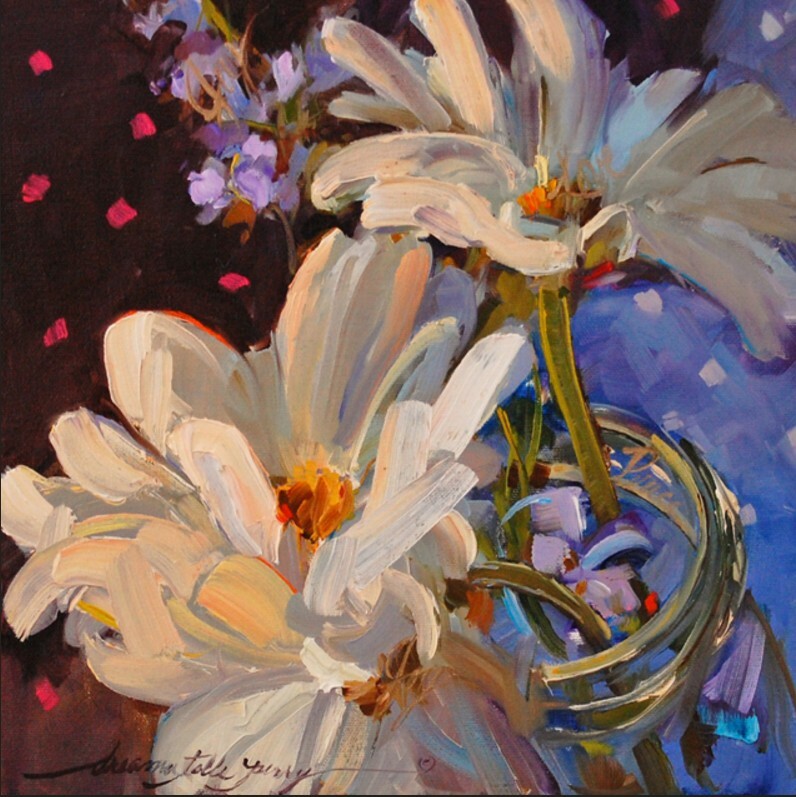 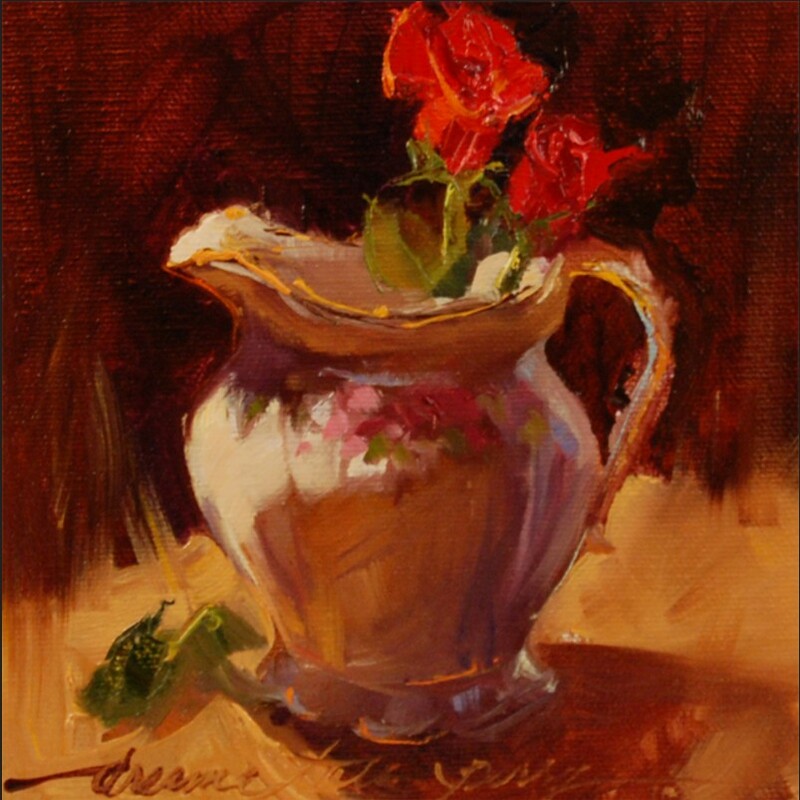 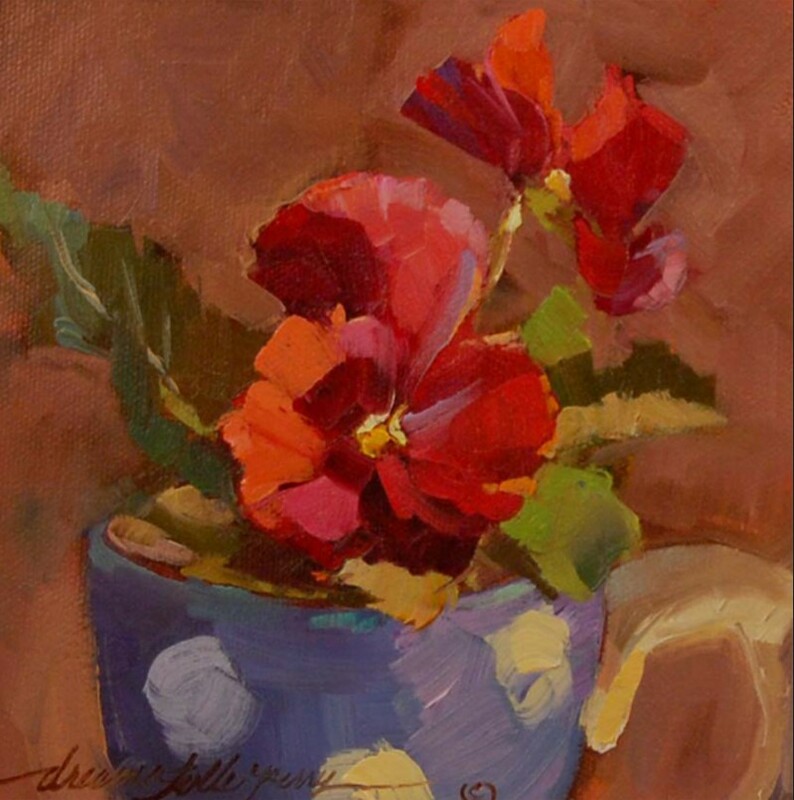 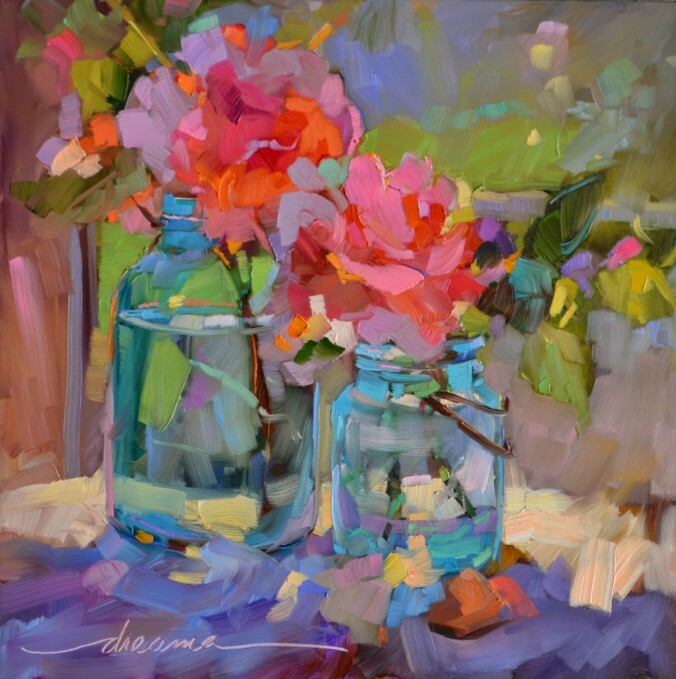 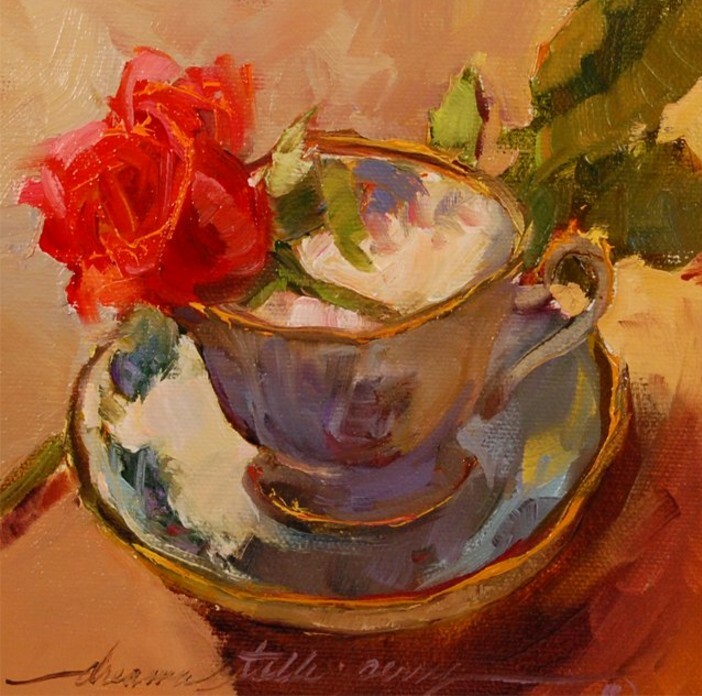 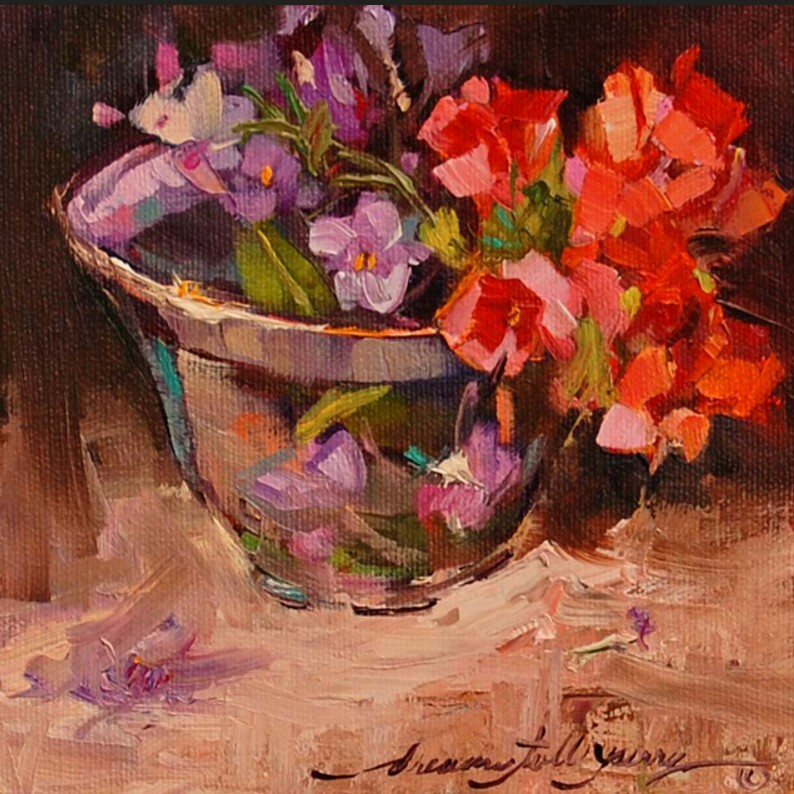 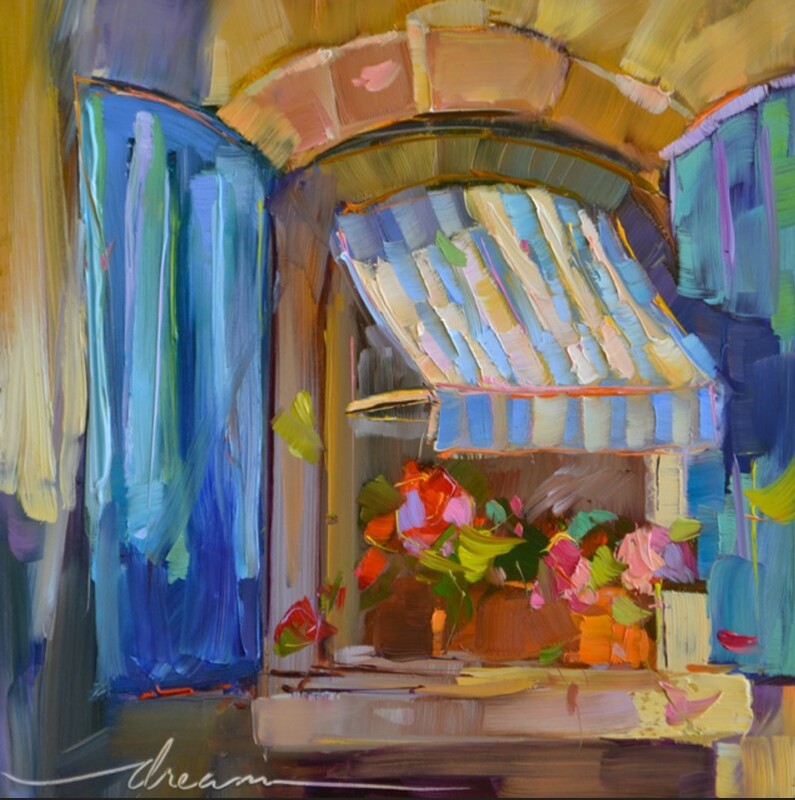 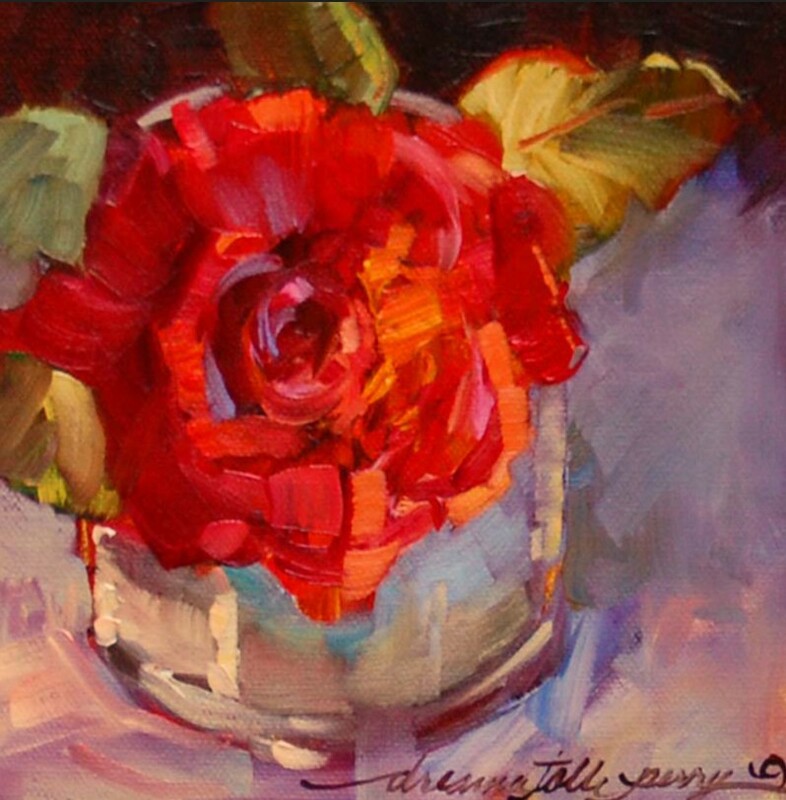 Dreama Tolle Perry is passionate about helping others to achieve their goals in art. 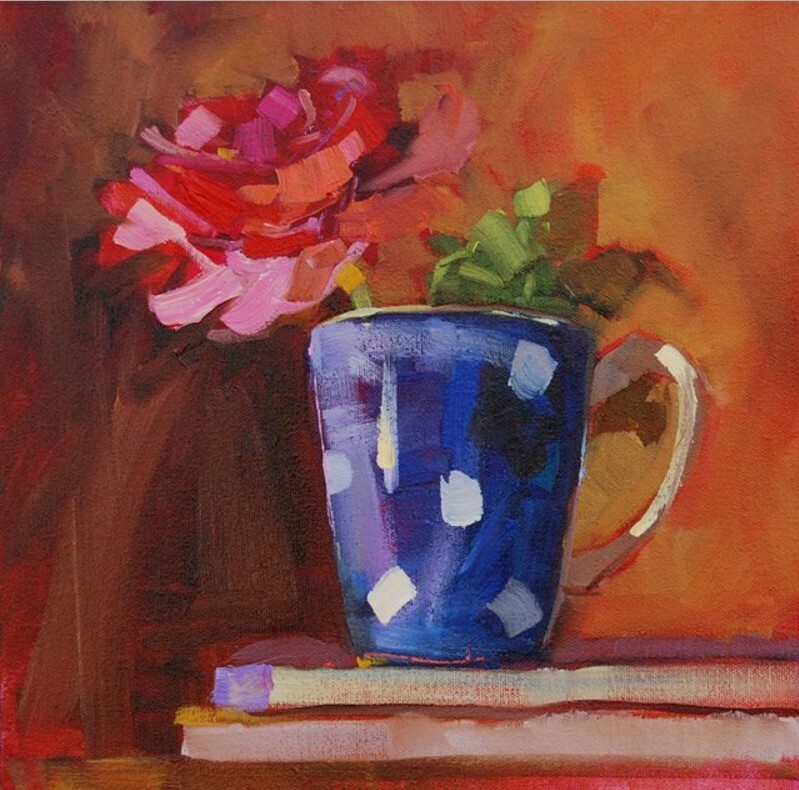 “I grew up with both a brother and father who painted.I traveled far via books checked out from the local library, 12 at a time, every week of every long Kentucky summer of my youth. 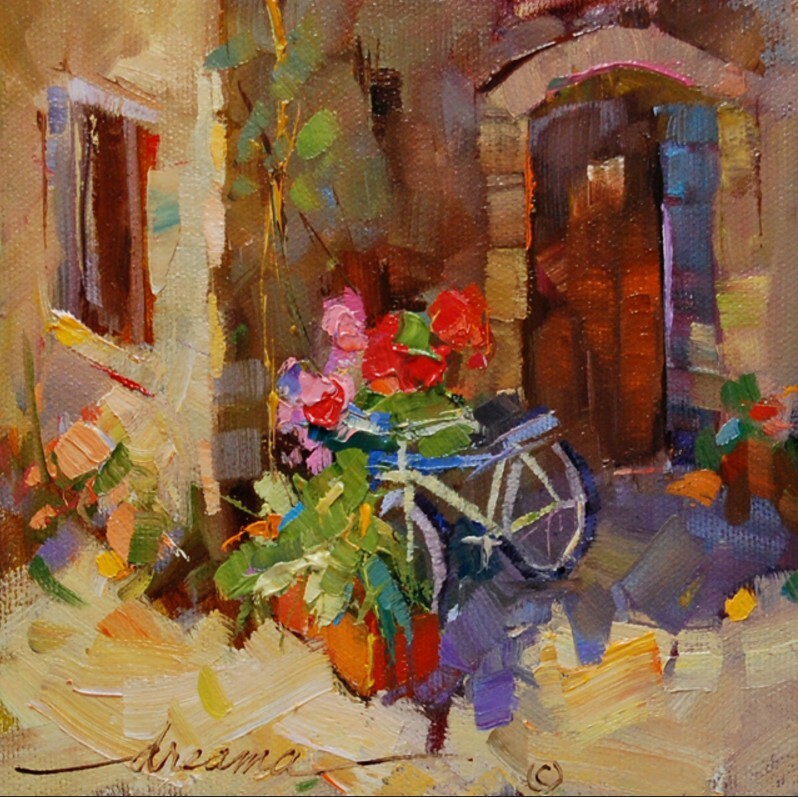 I dreamed, I imagined, I waited. 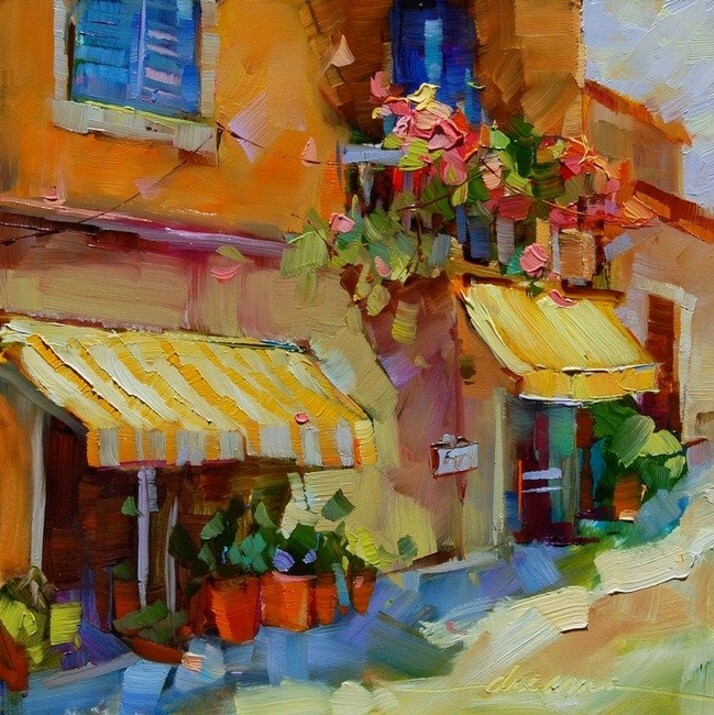 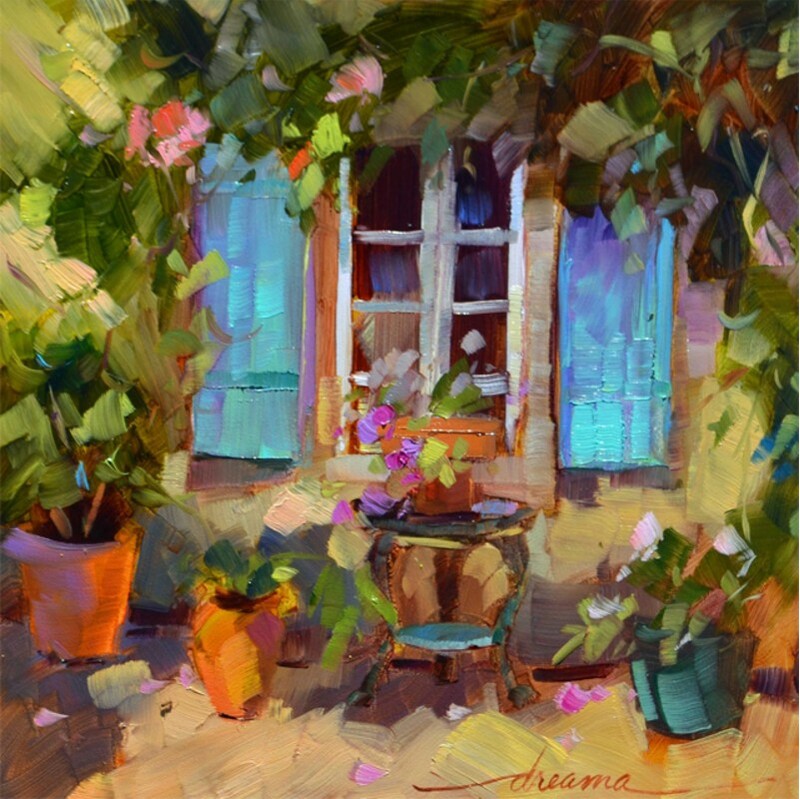 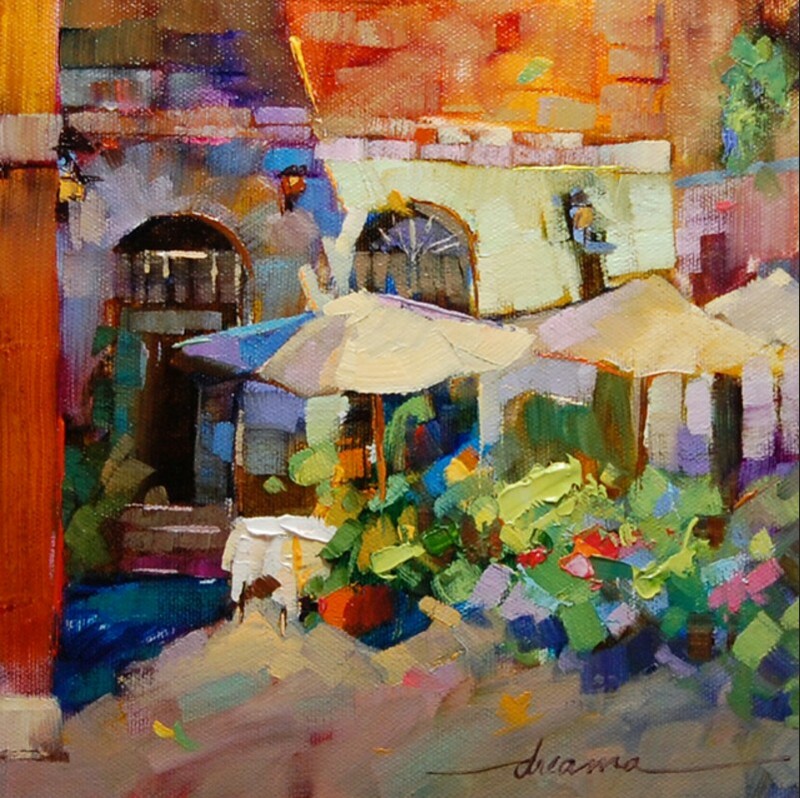 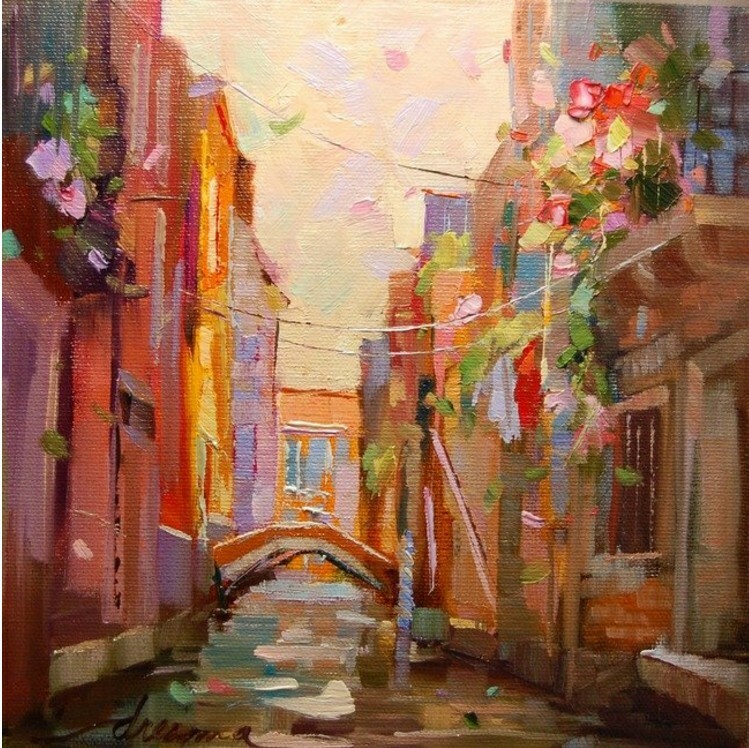 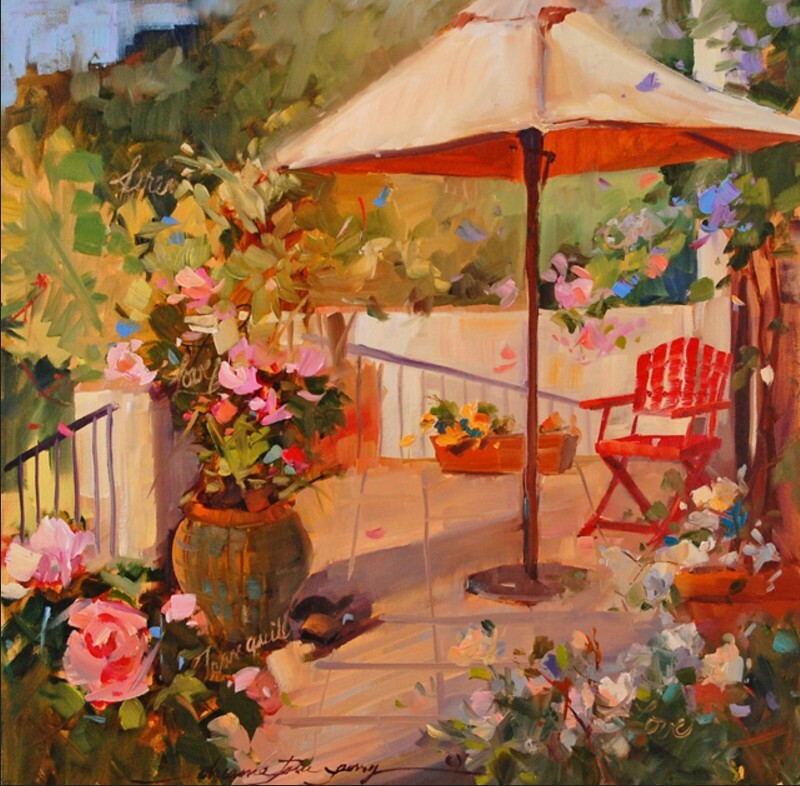 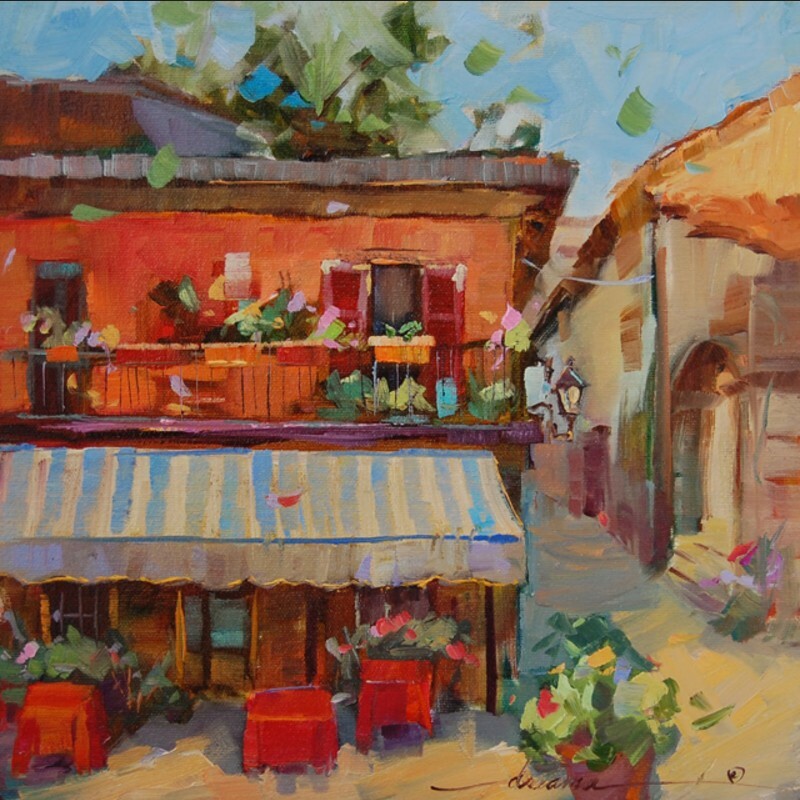 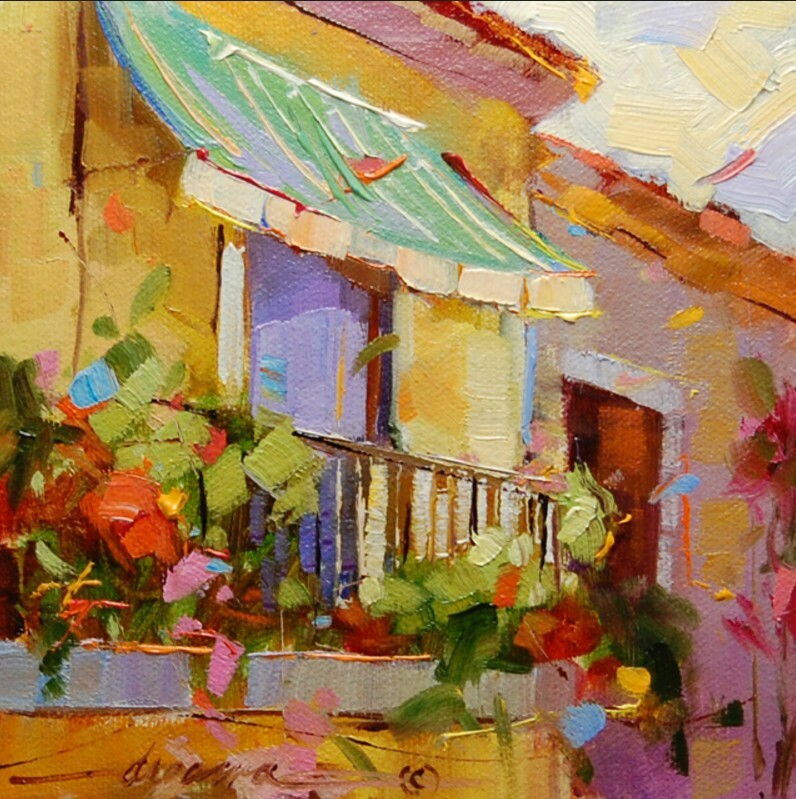 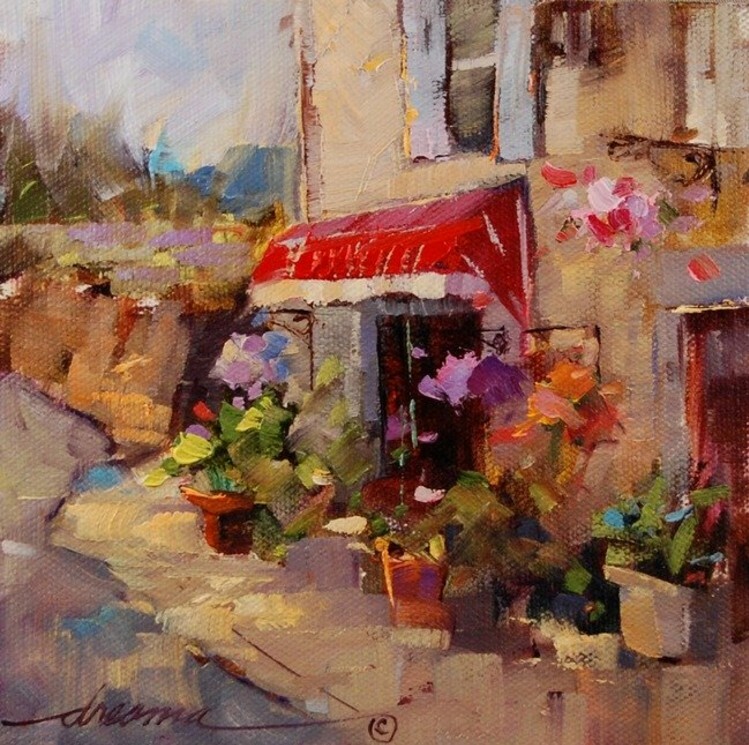 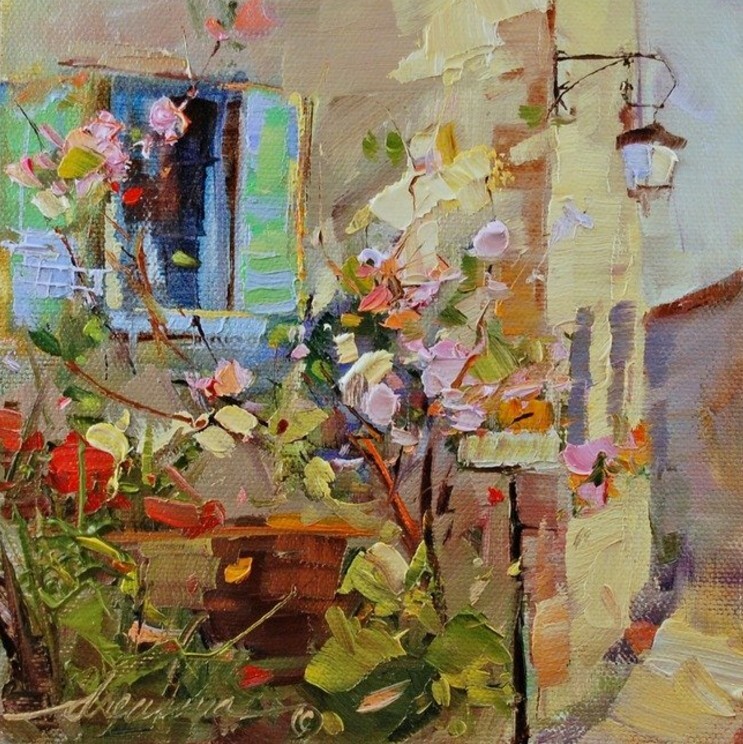 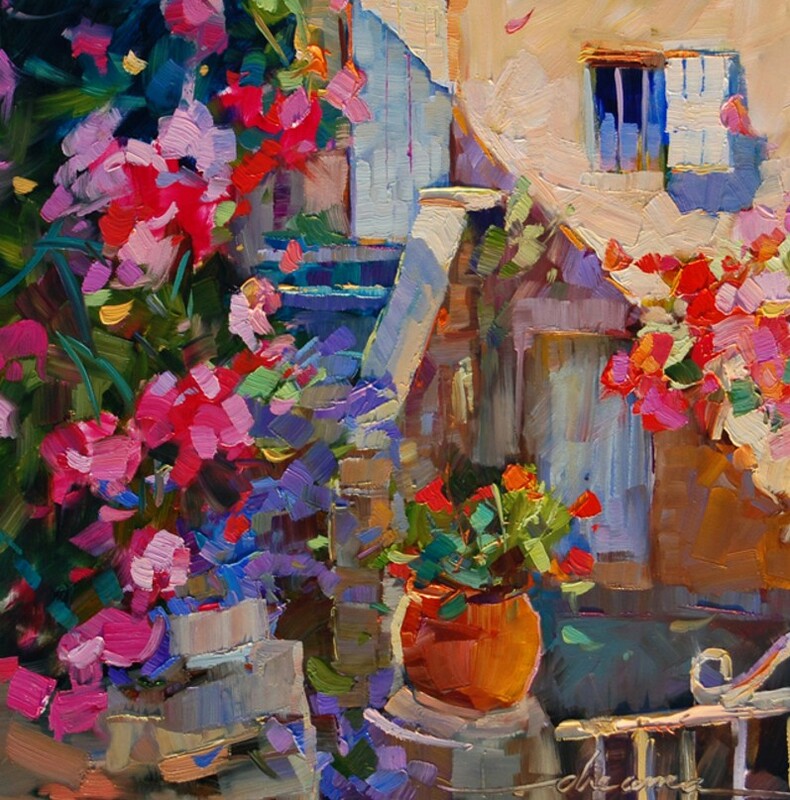 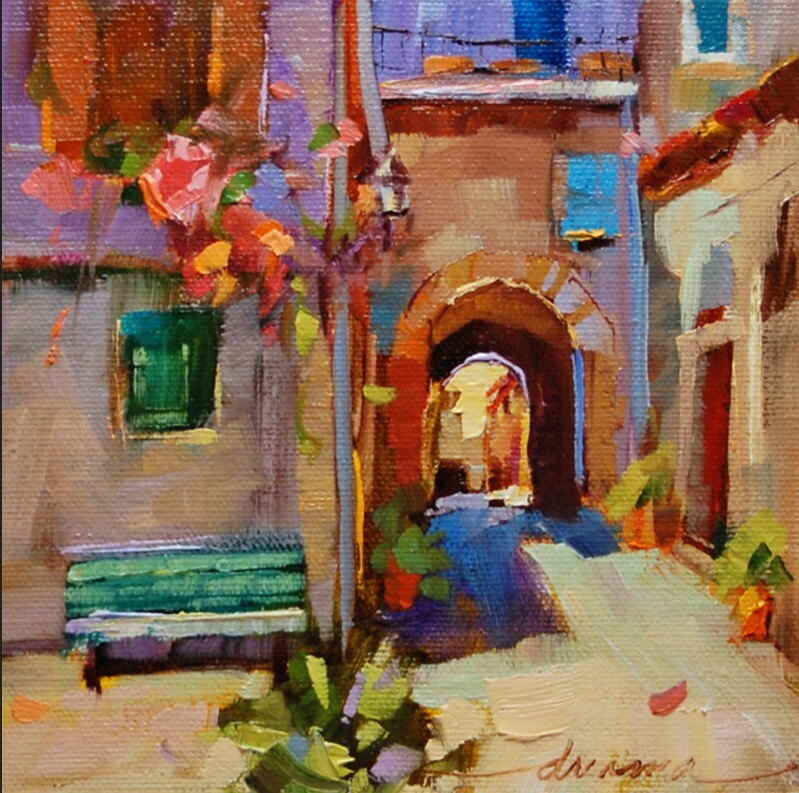 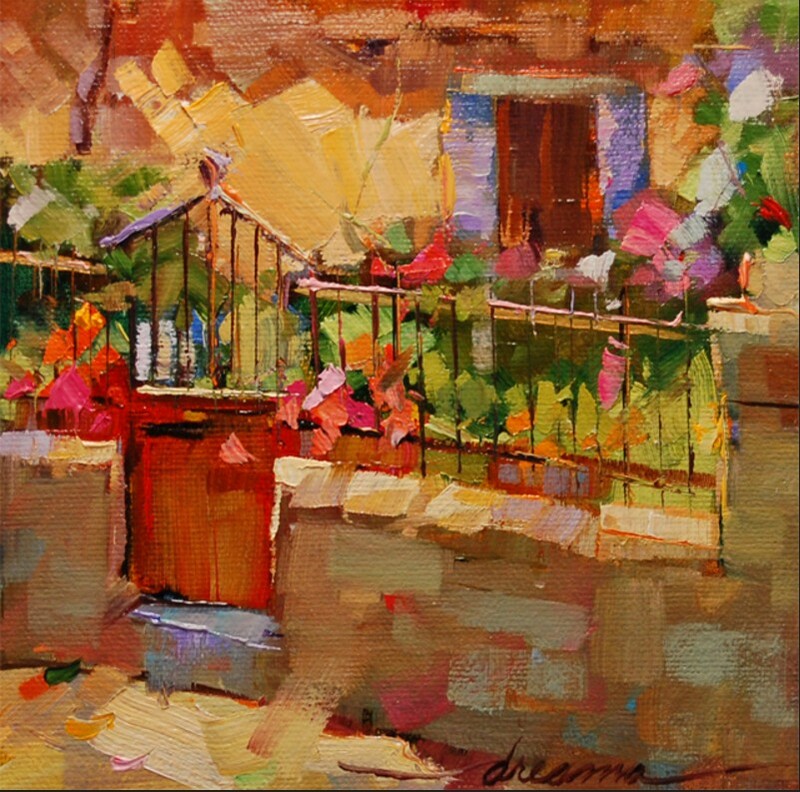 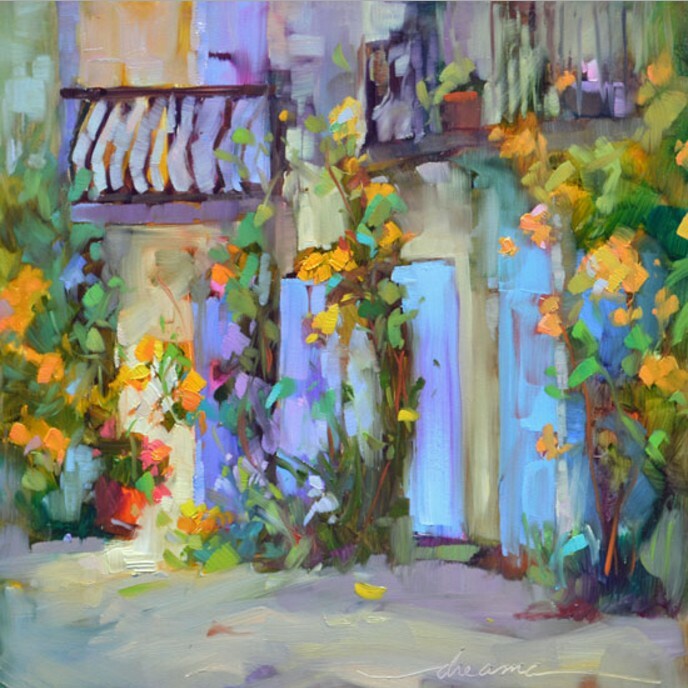 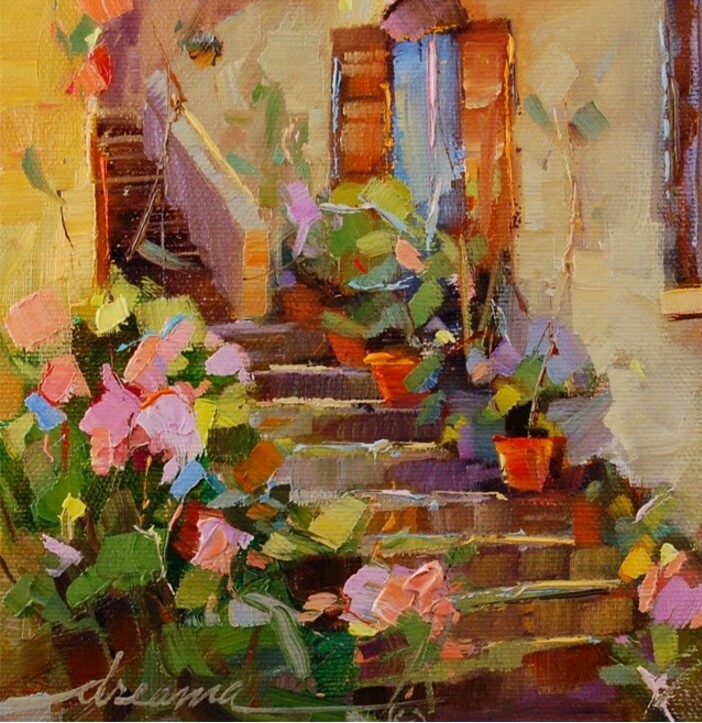 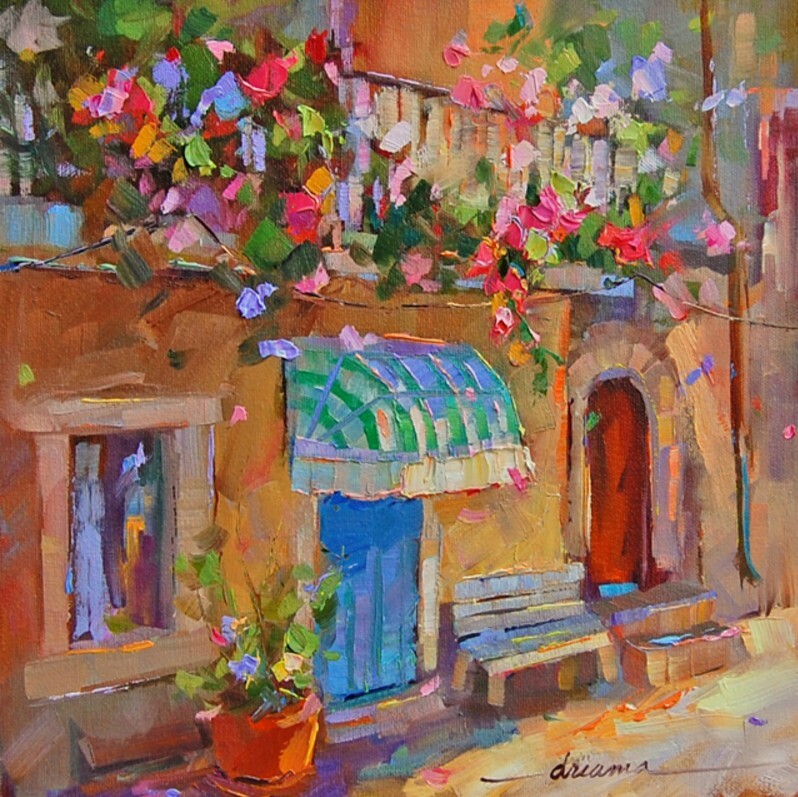 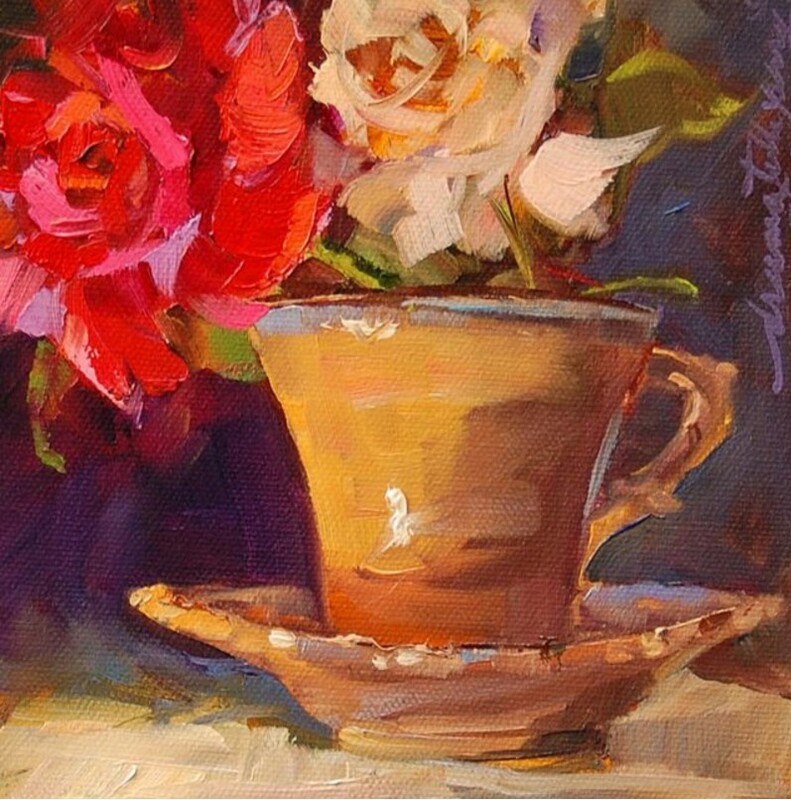 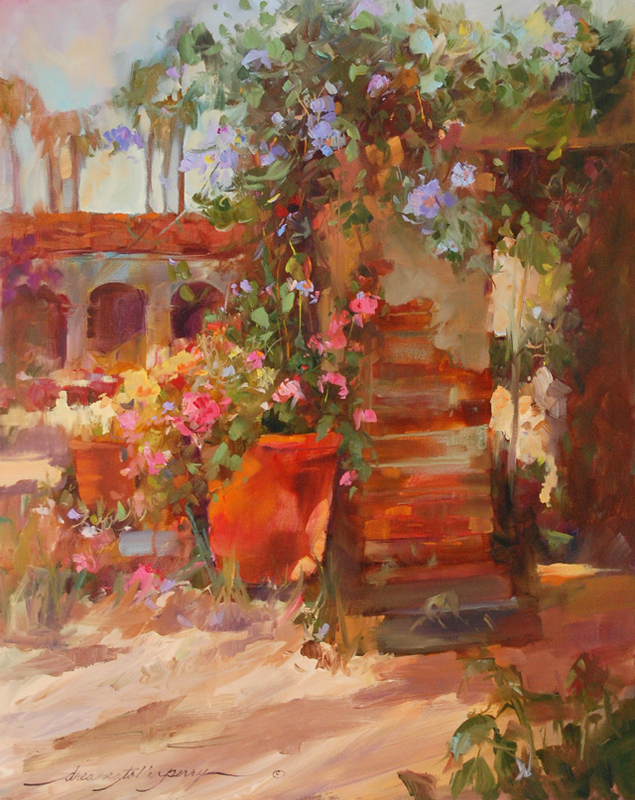 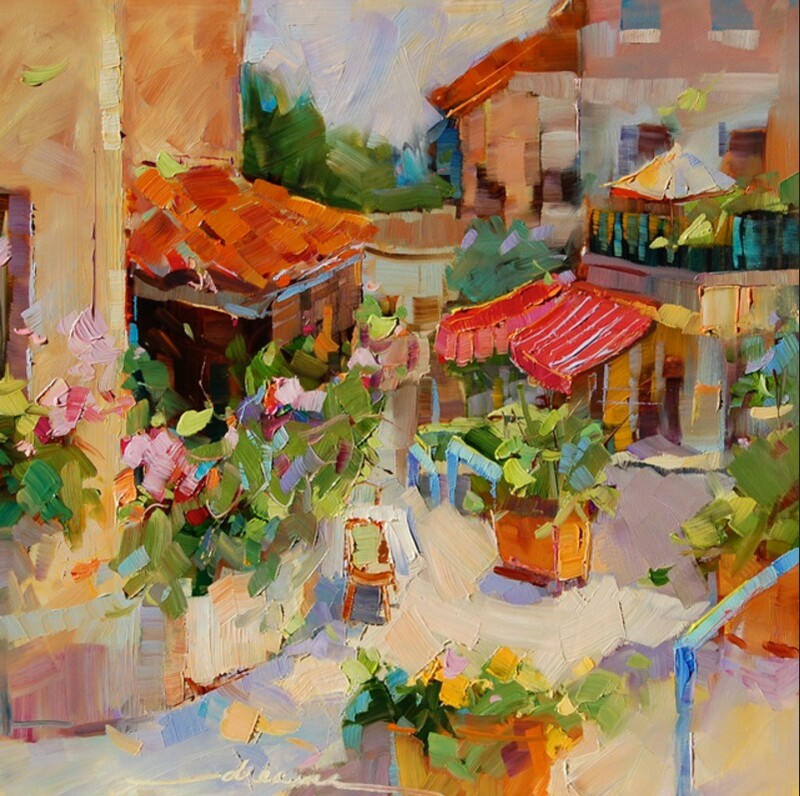 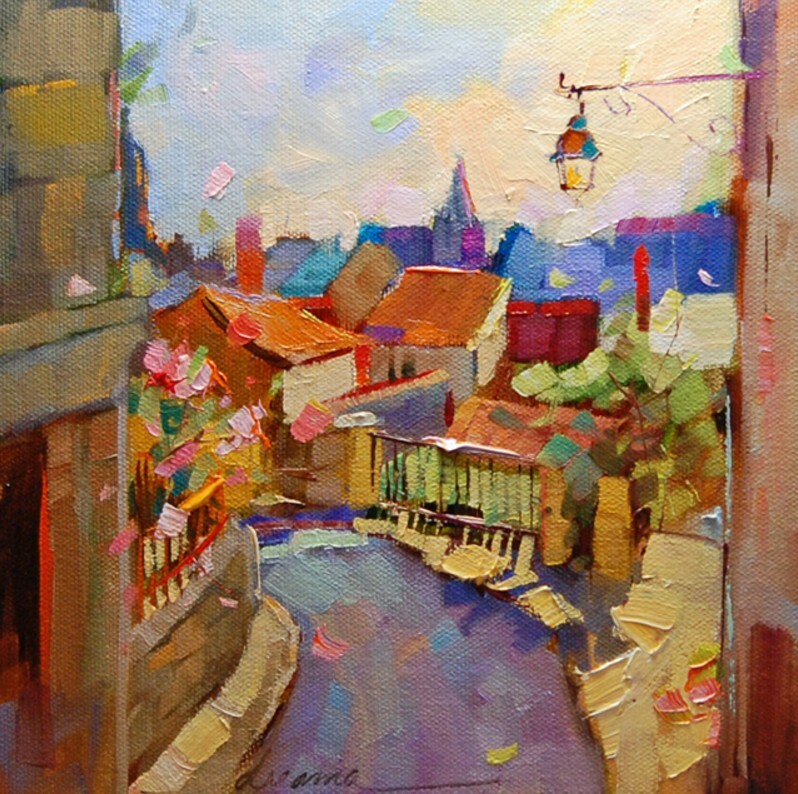 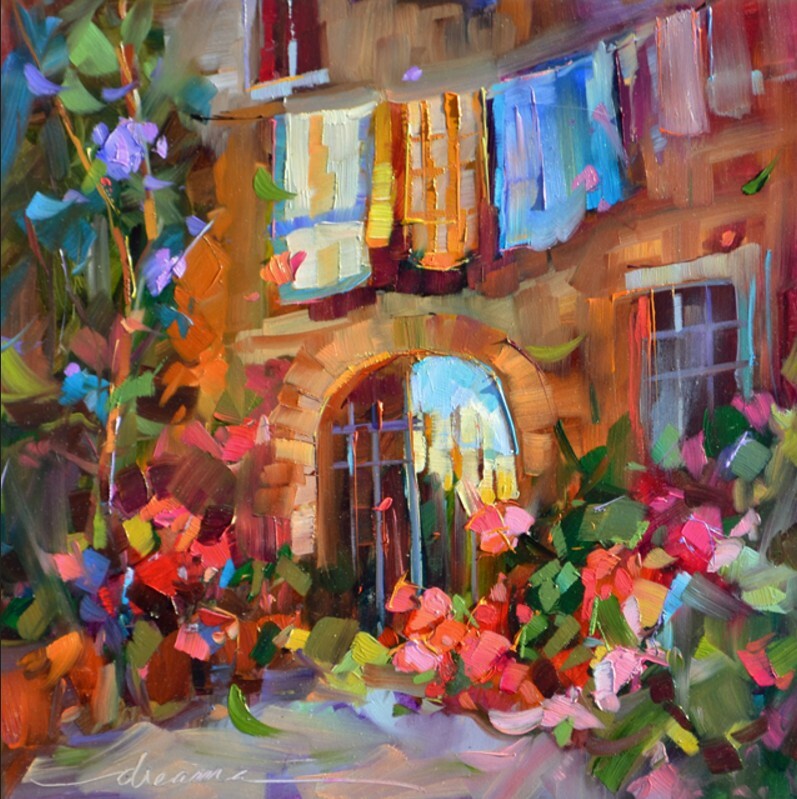 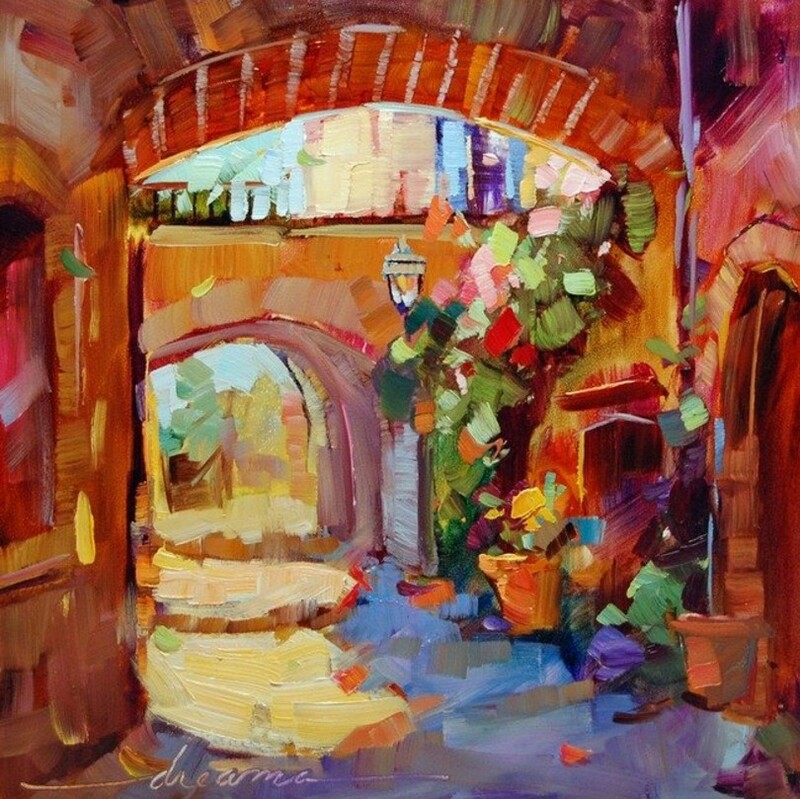 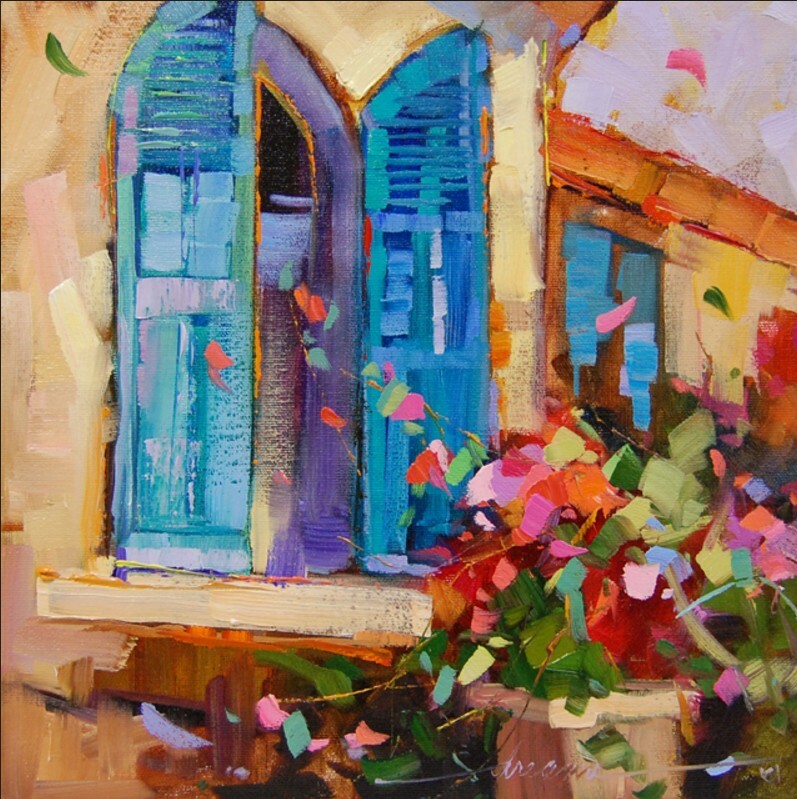 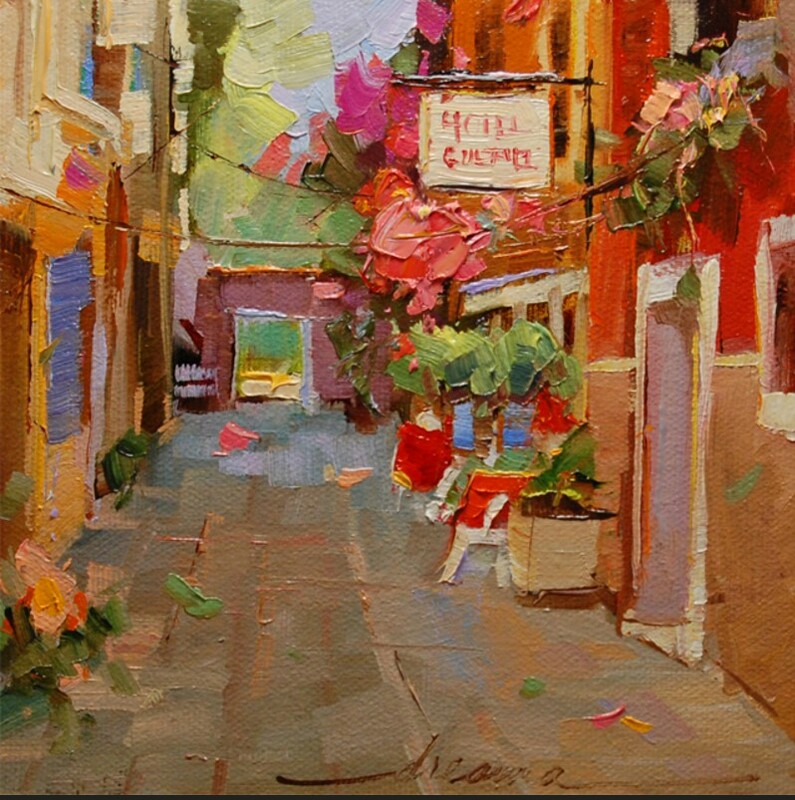 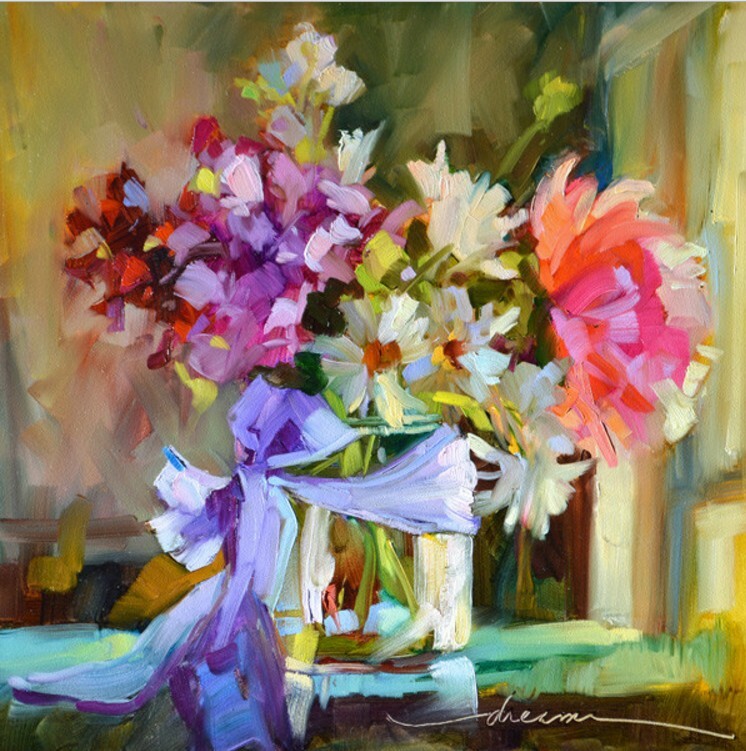 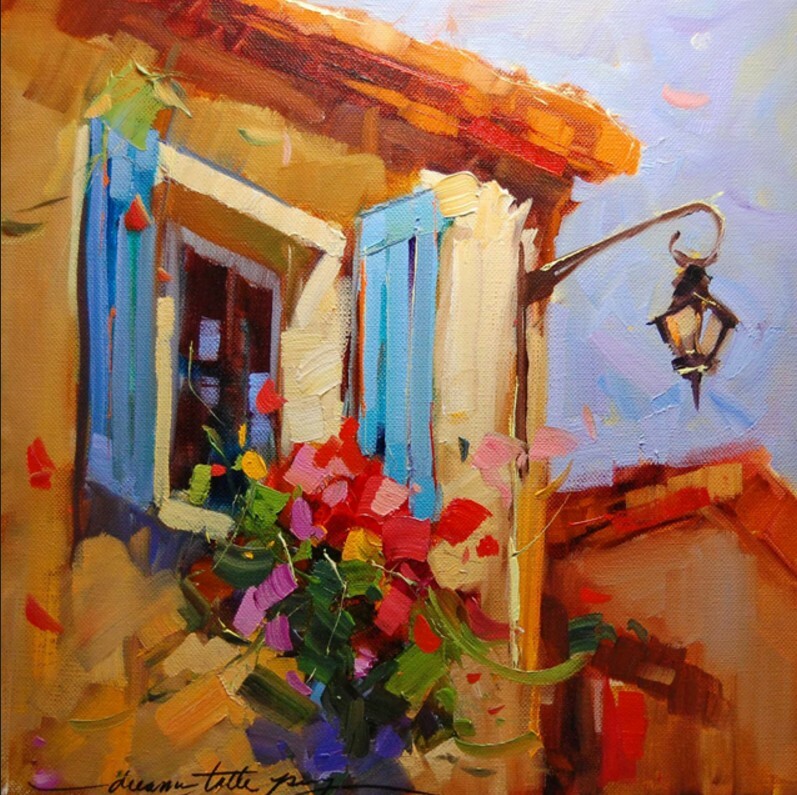 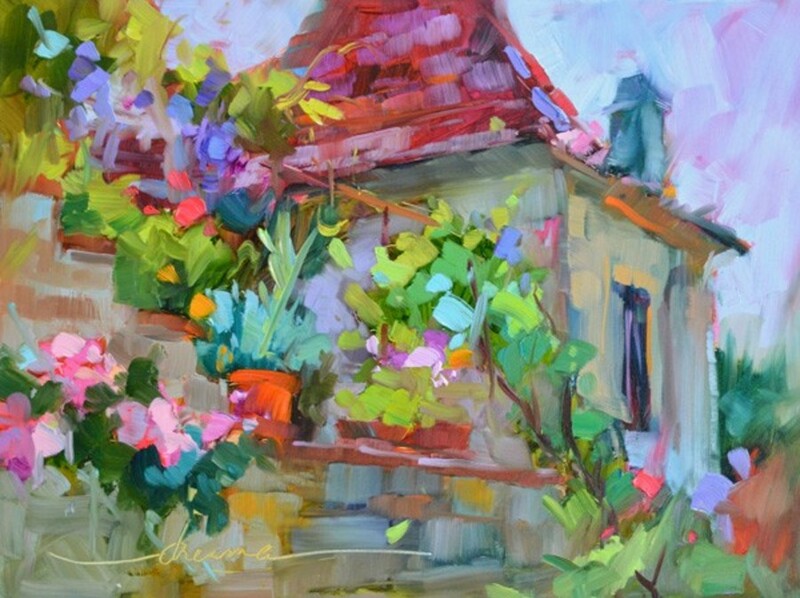 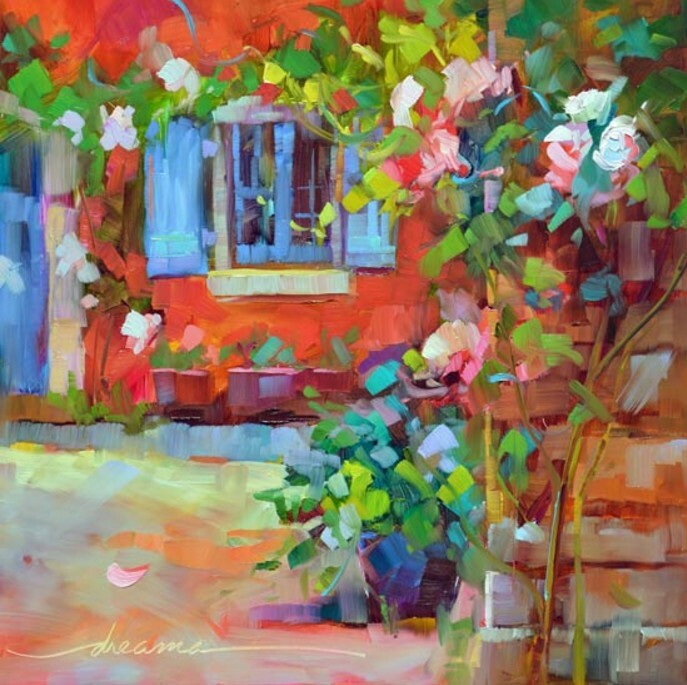 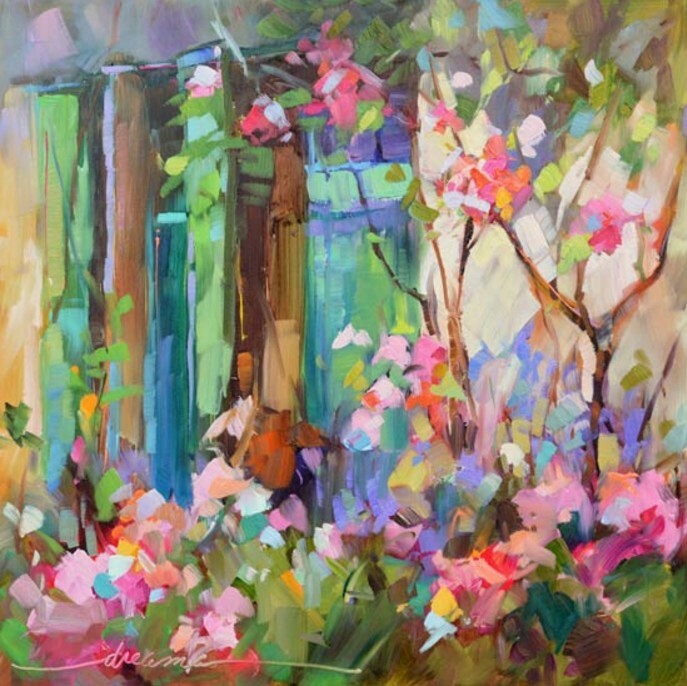 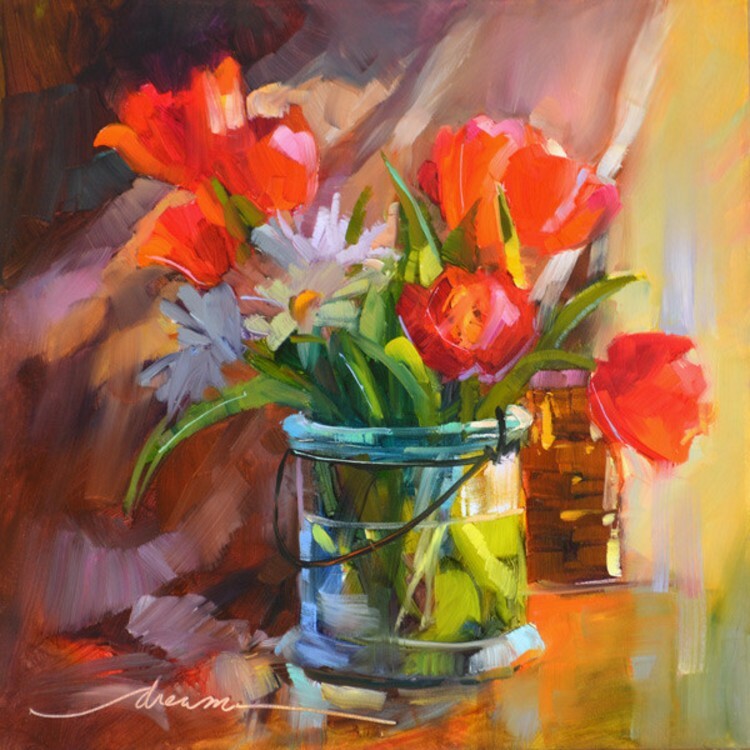 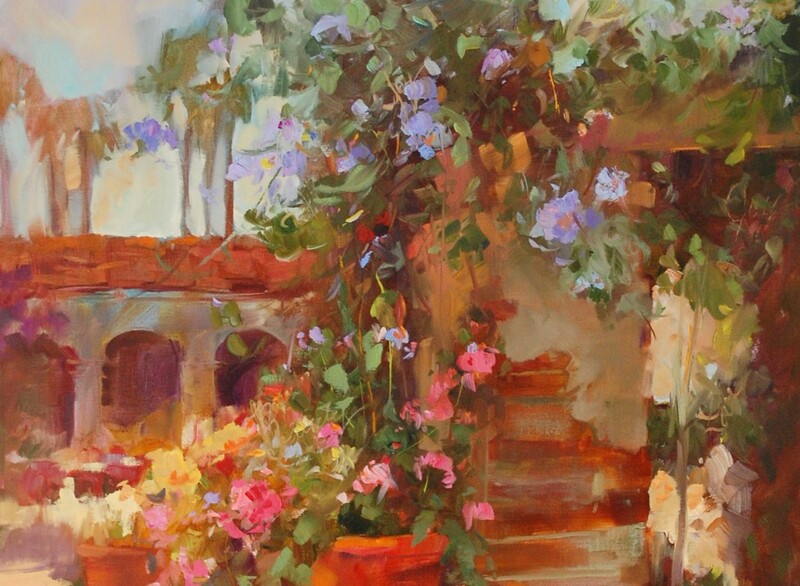 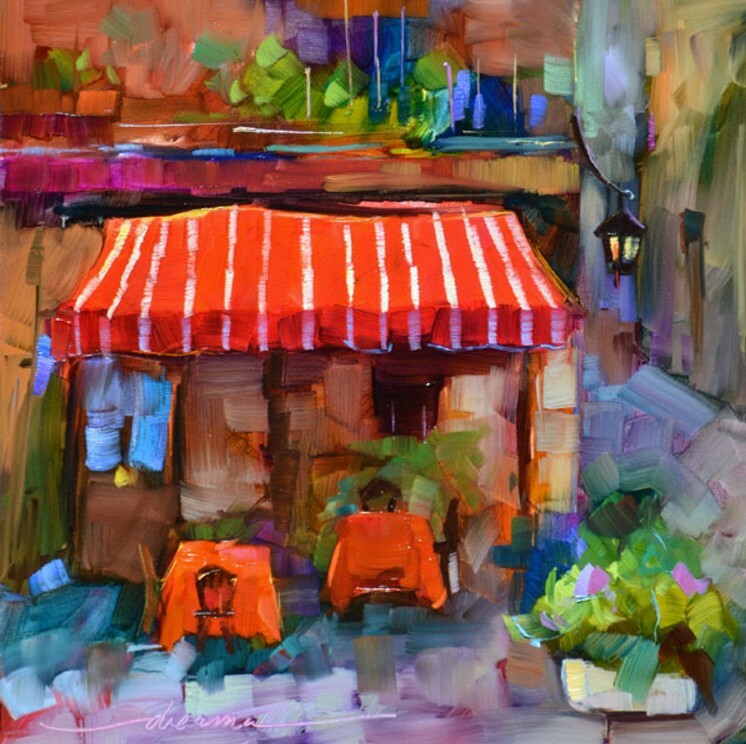 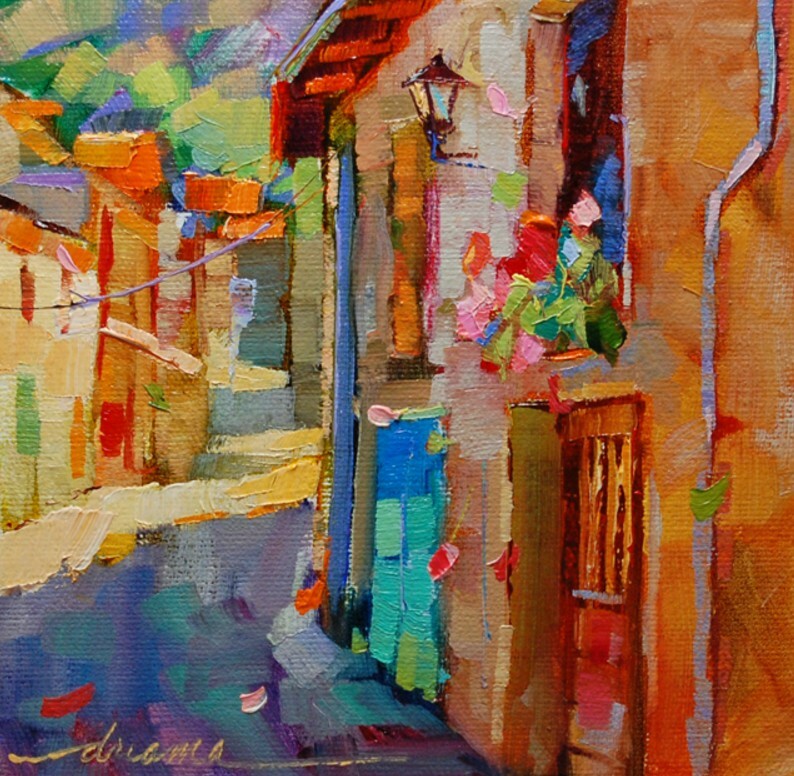 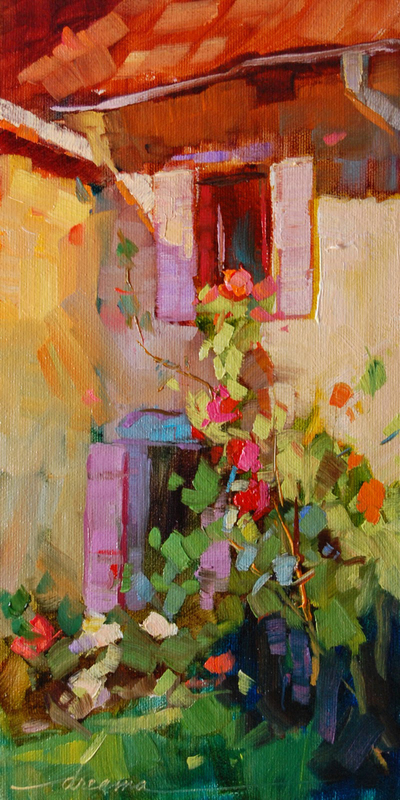 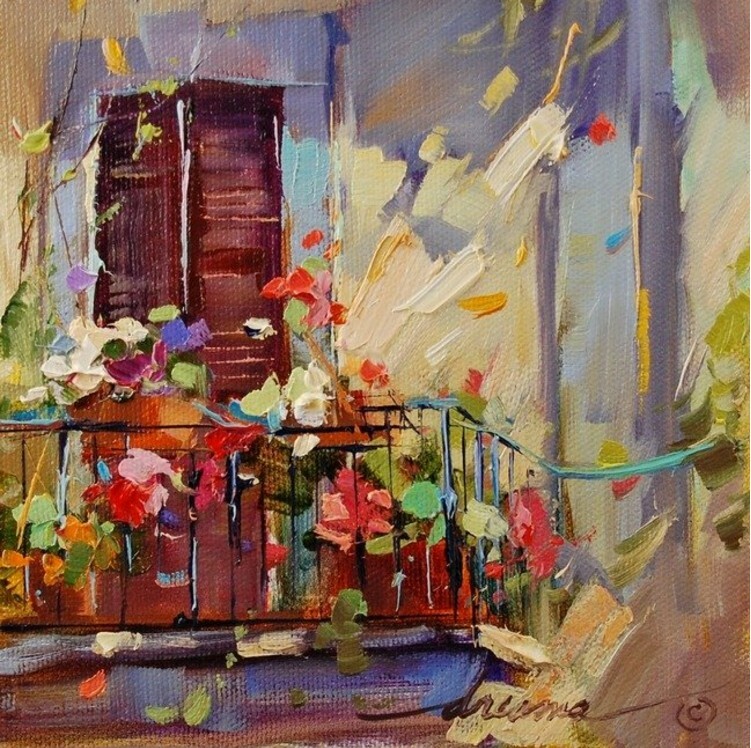 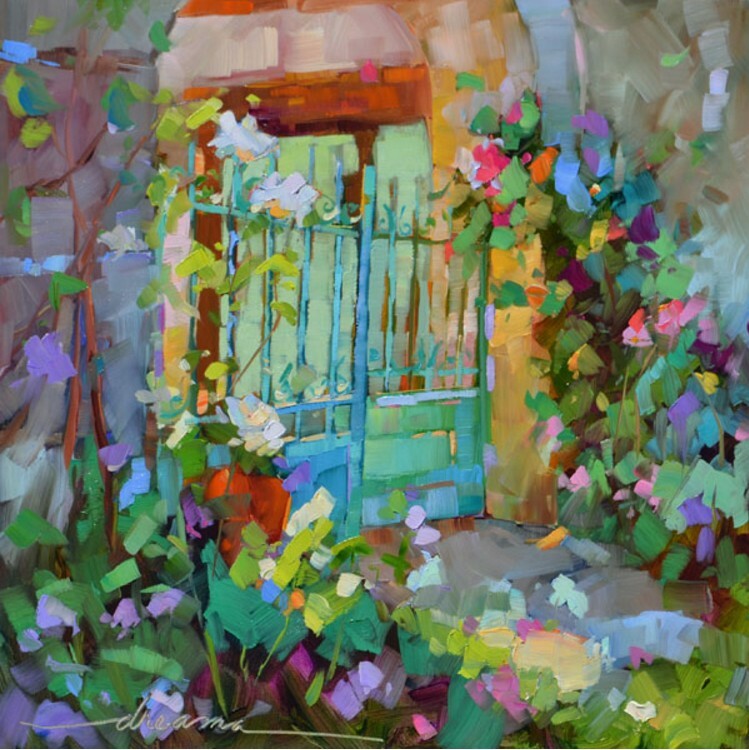 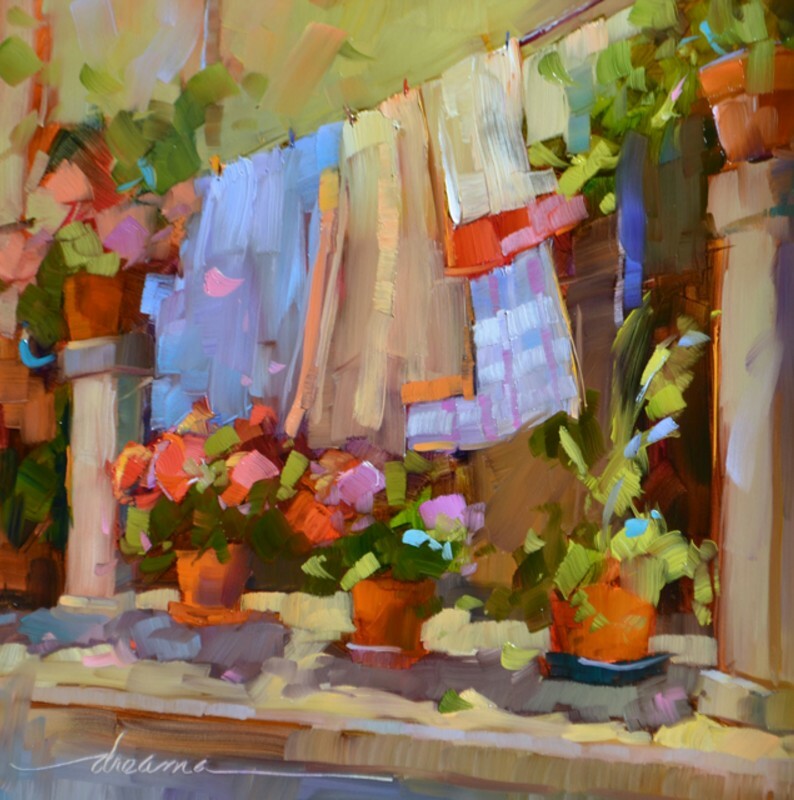 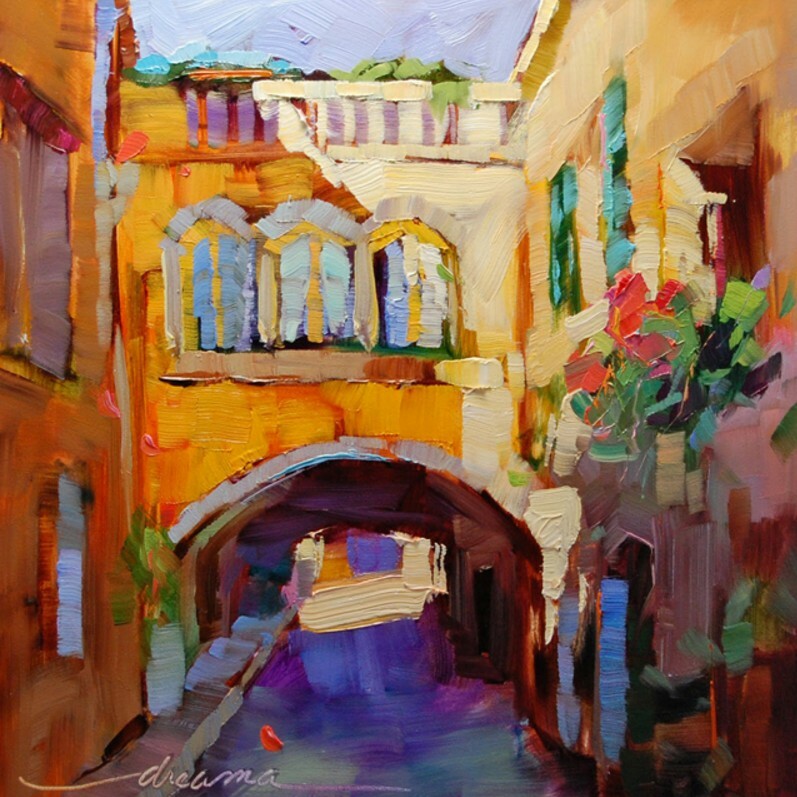 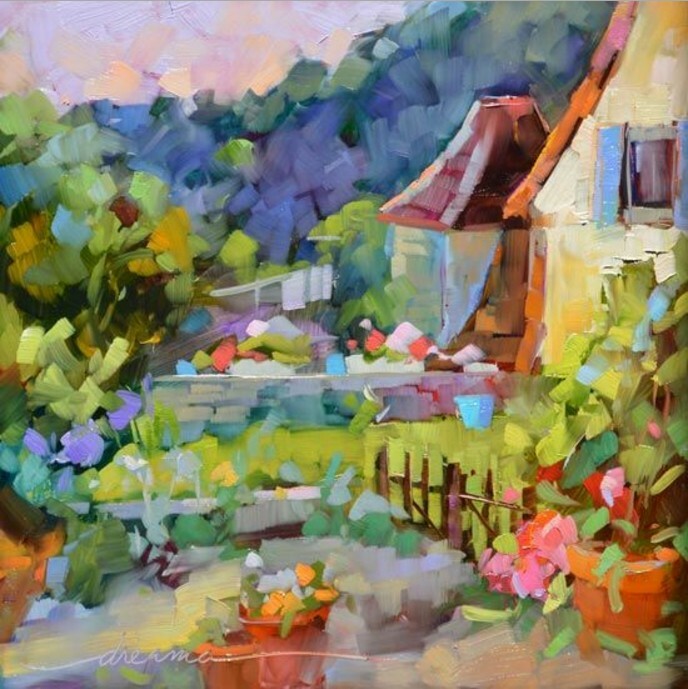 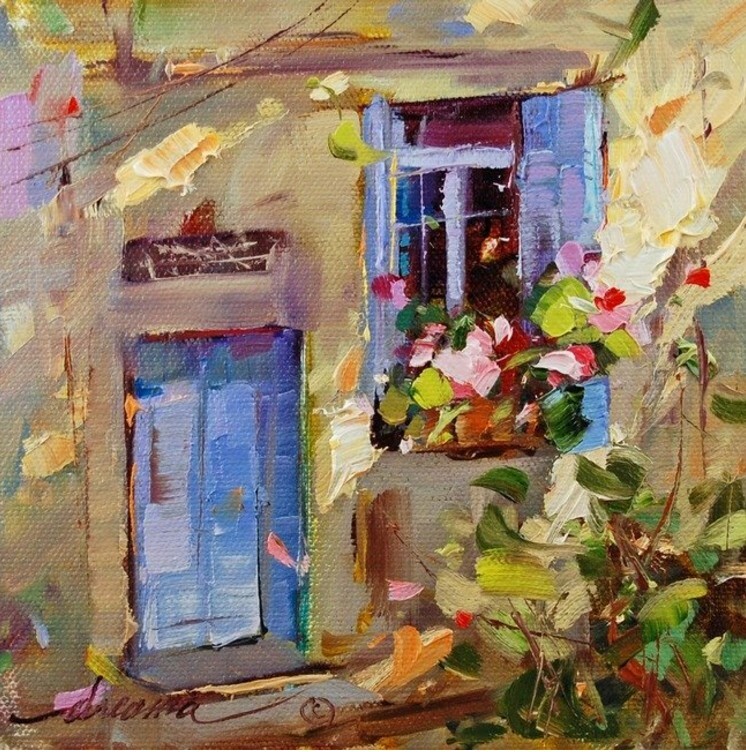 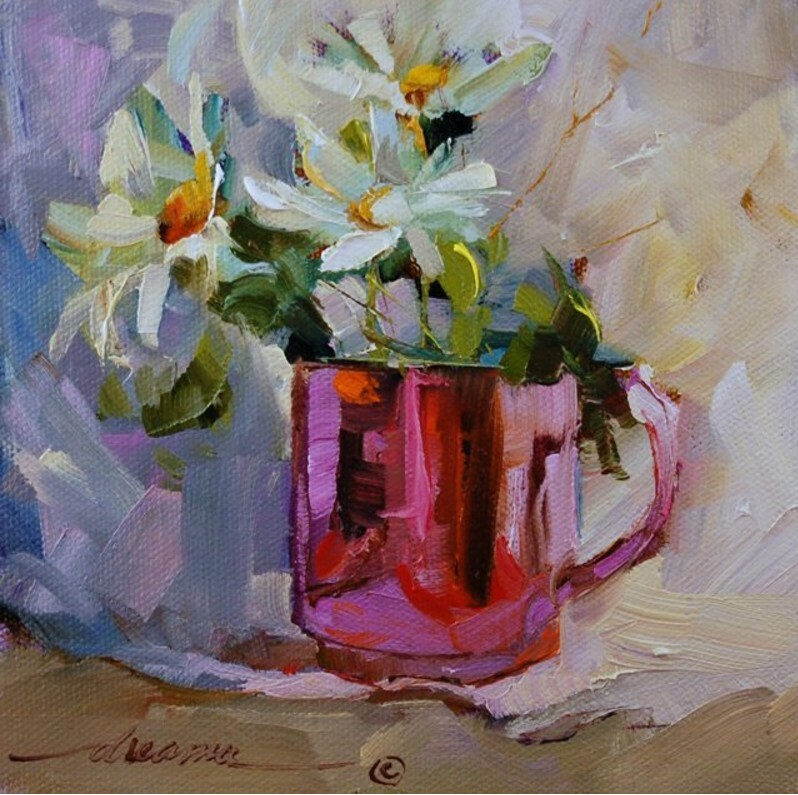 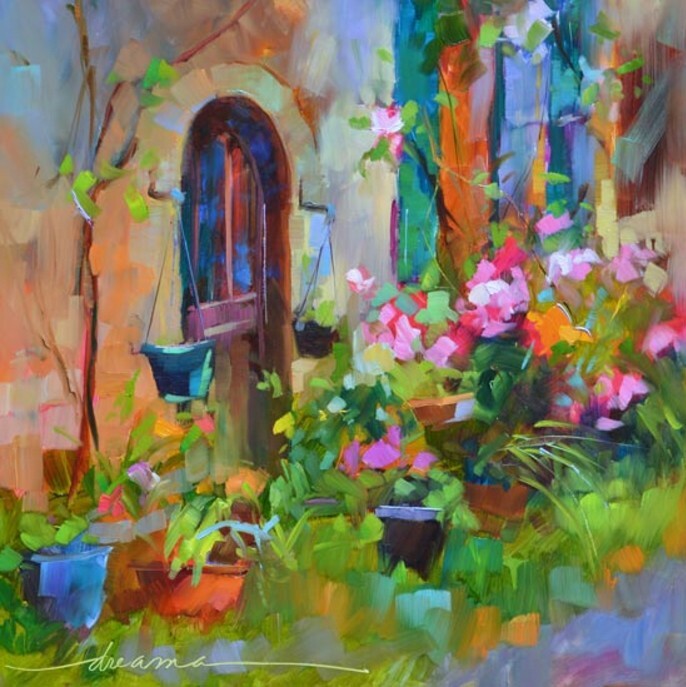 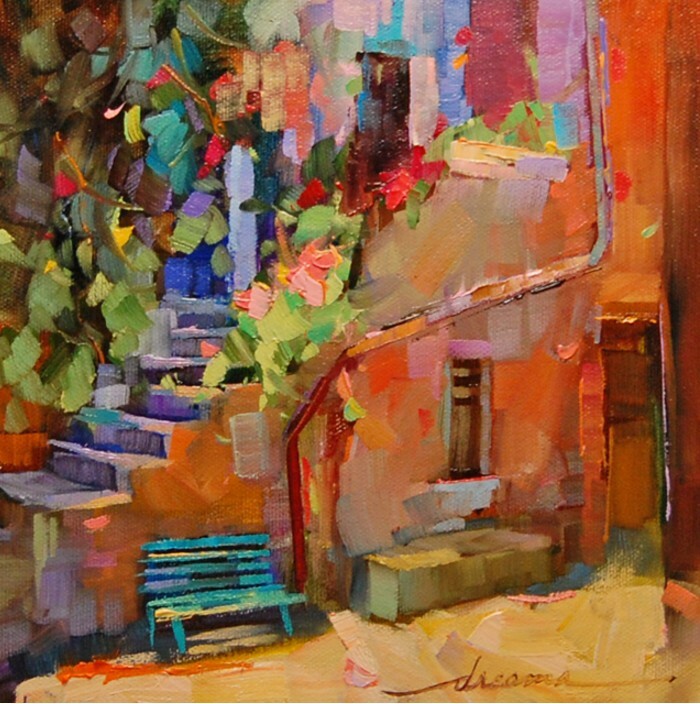 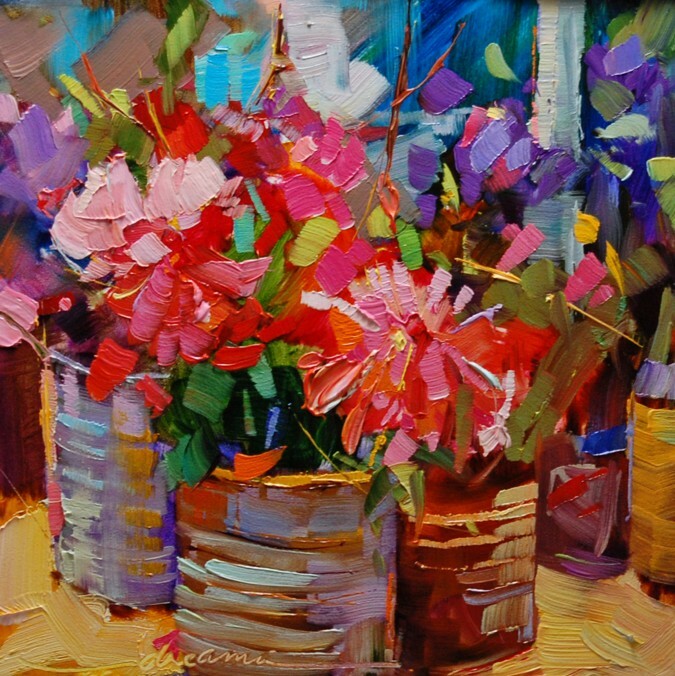 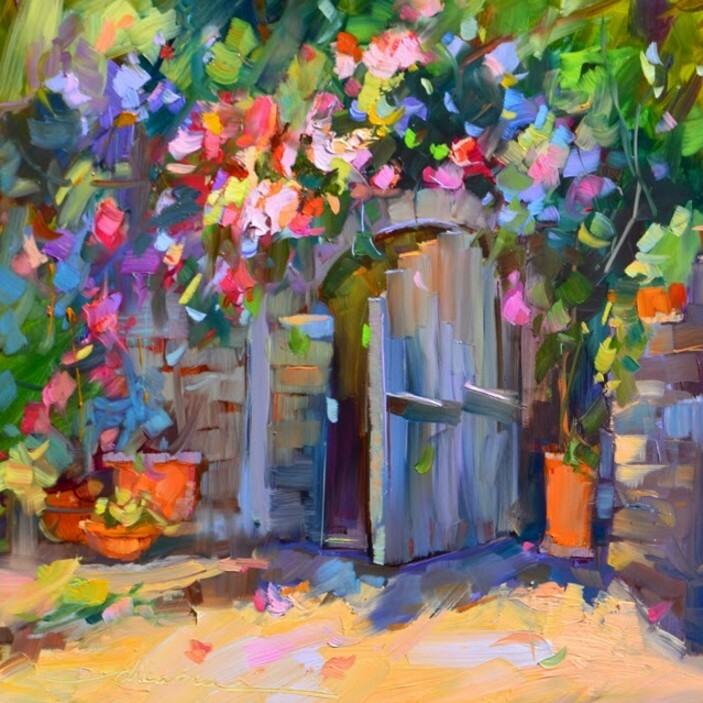 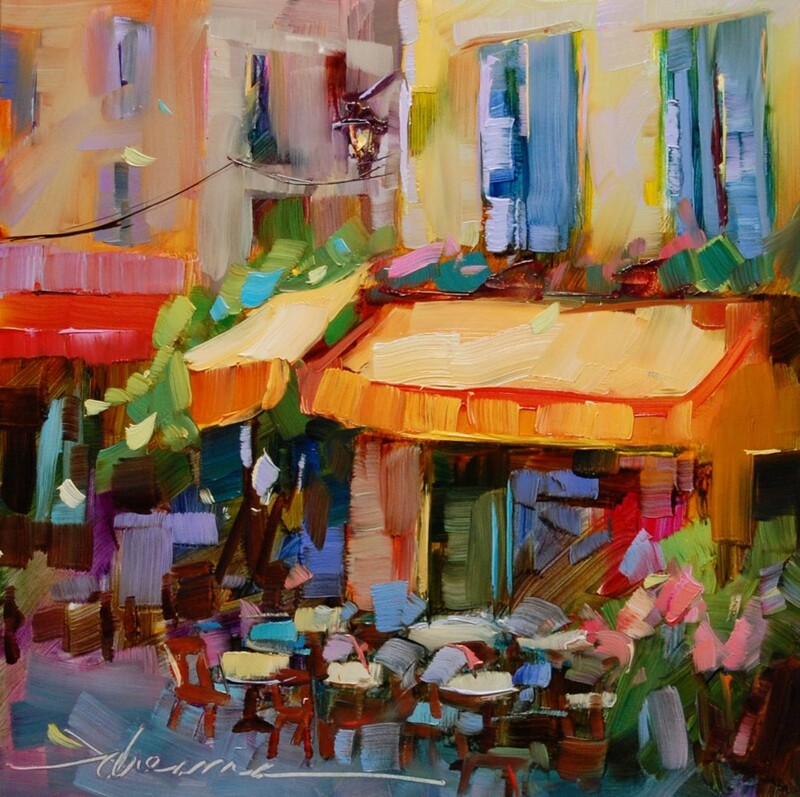 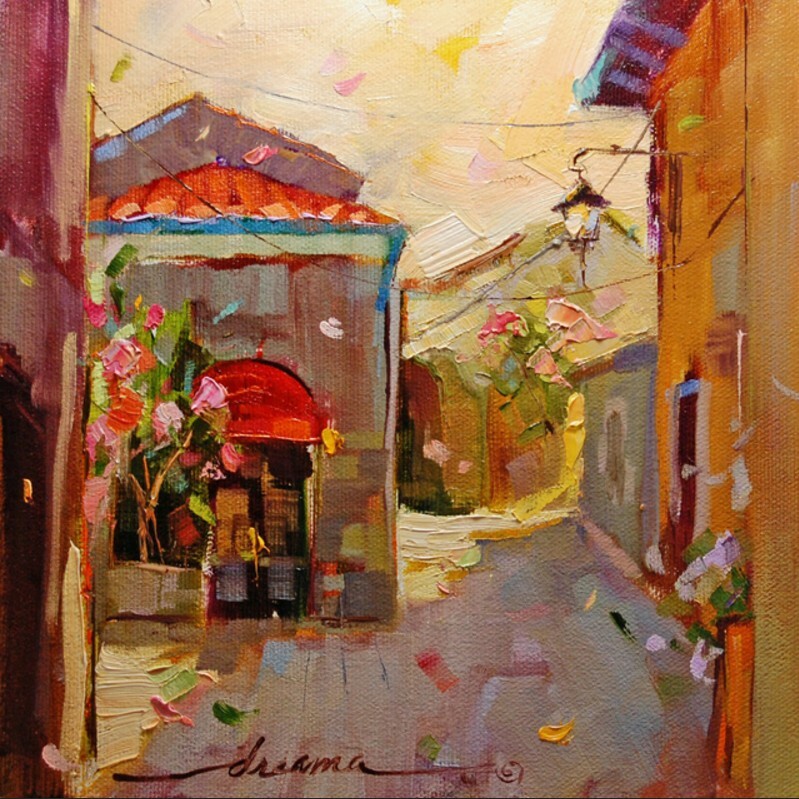 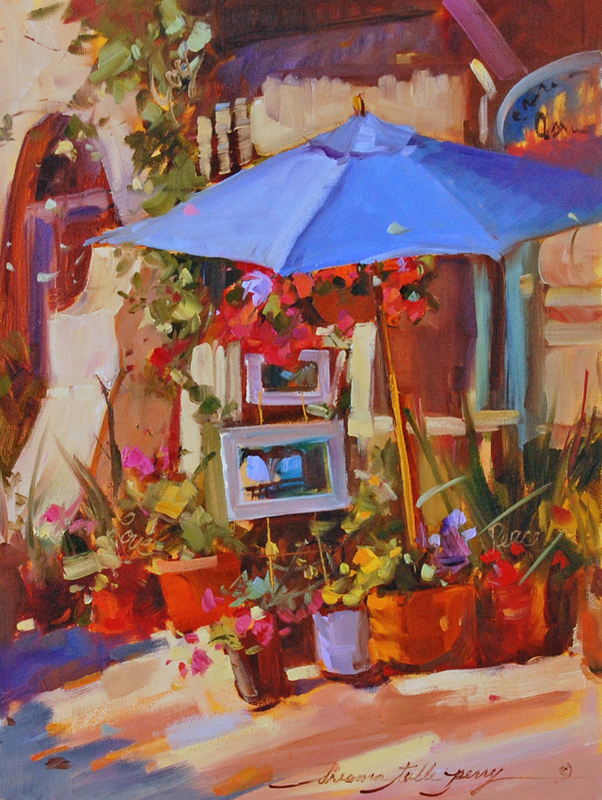 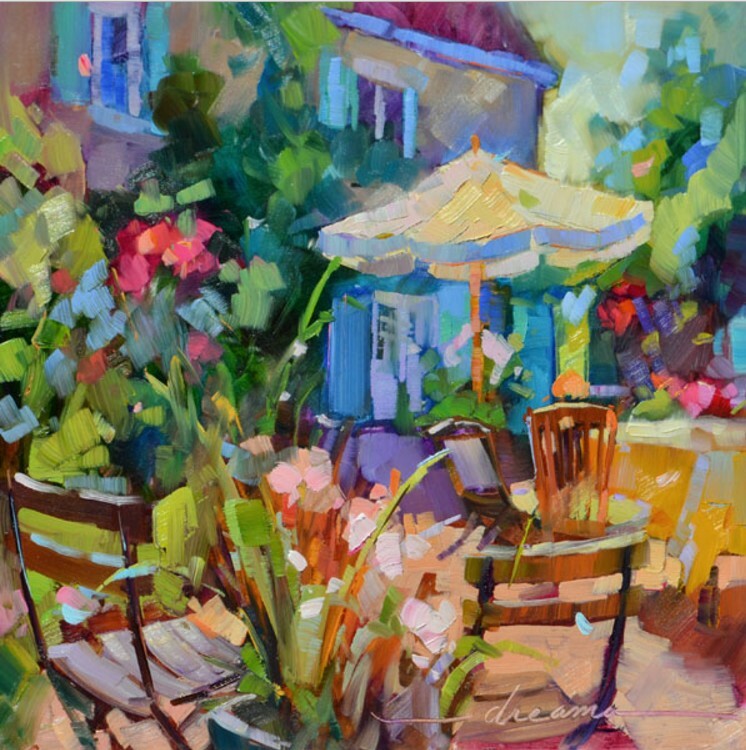 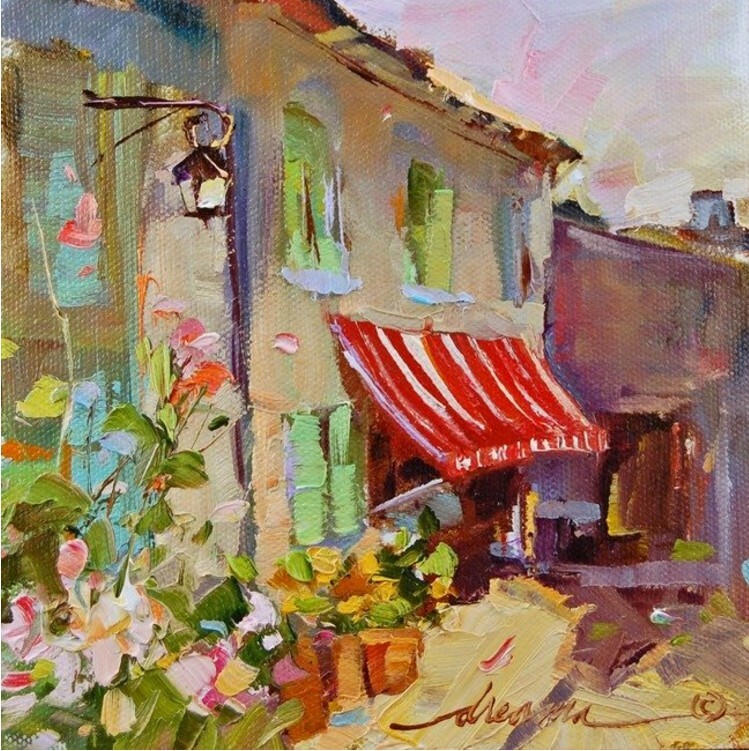 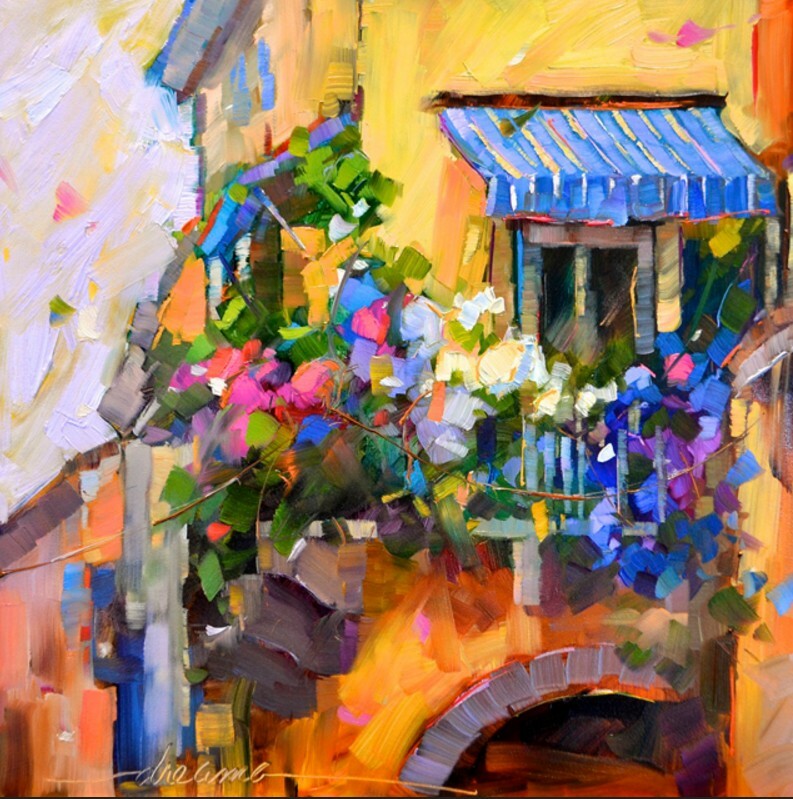 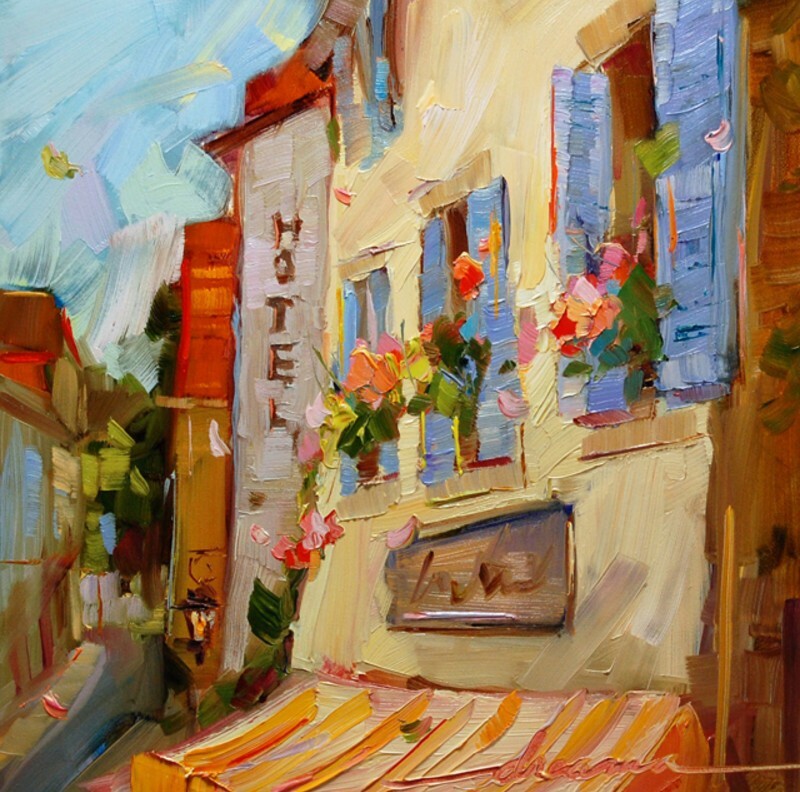 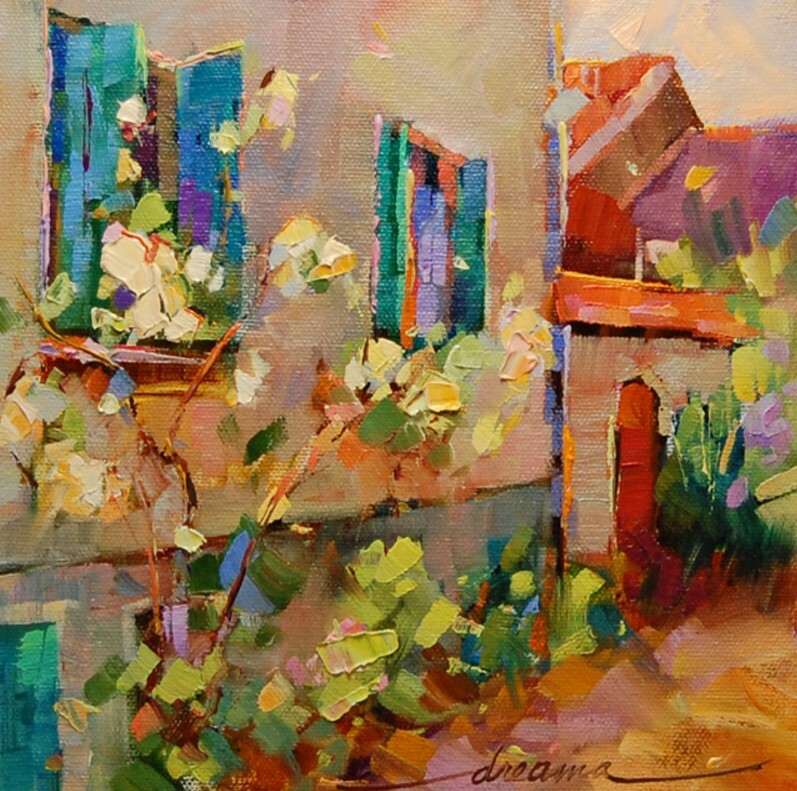 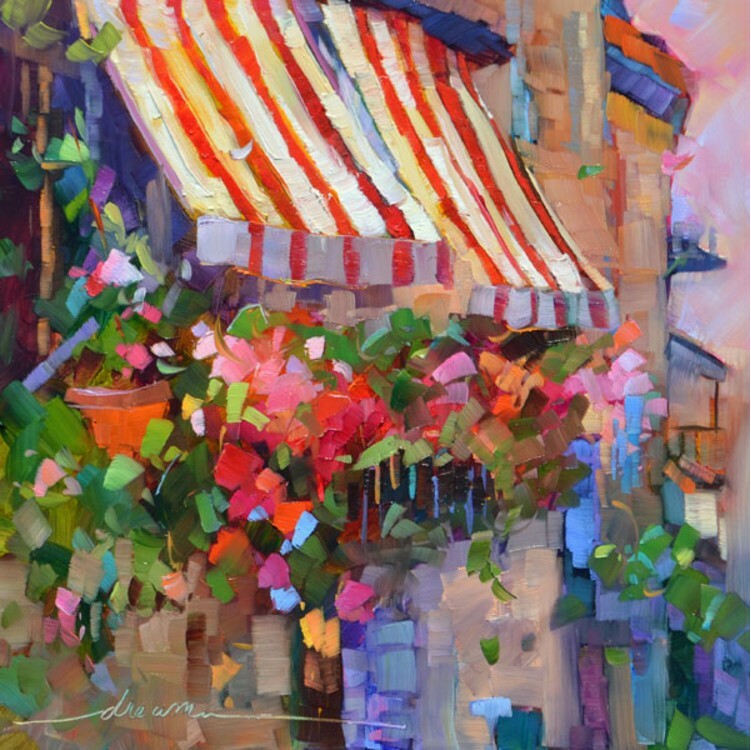 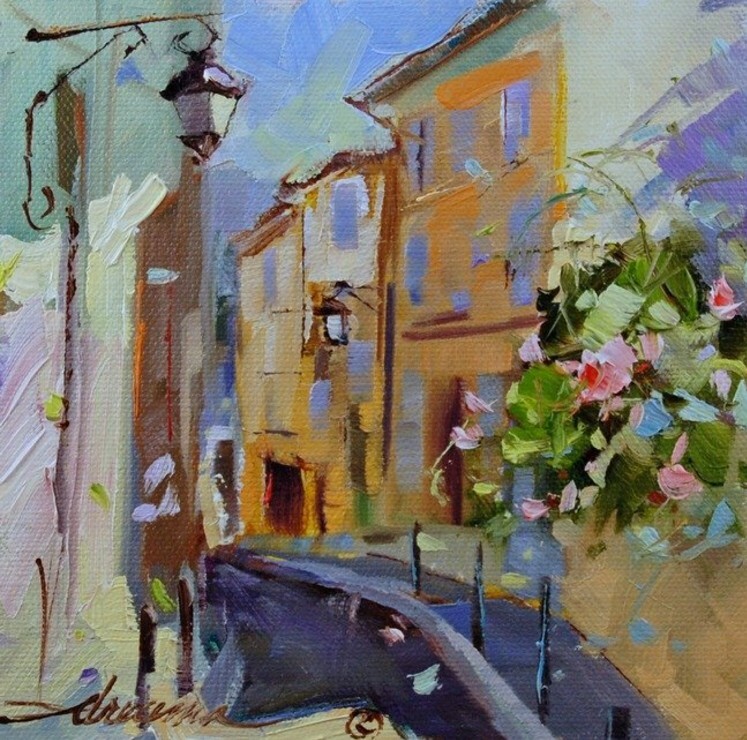 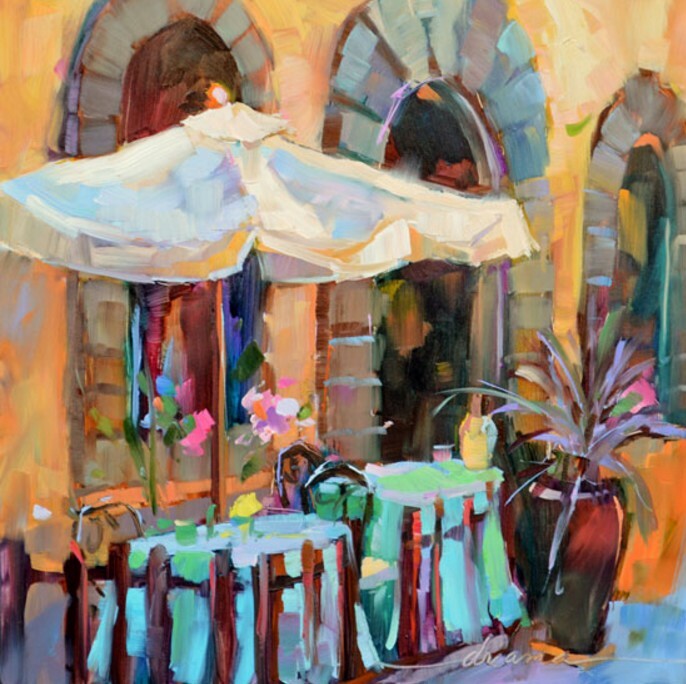 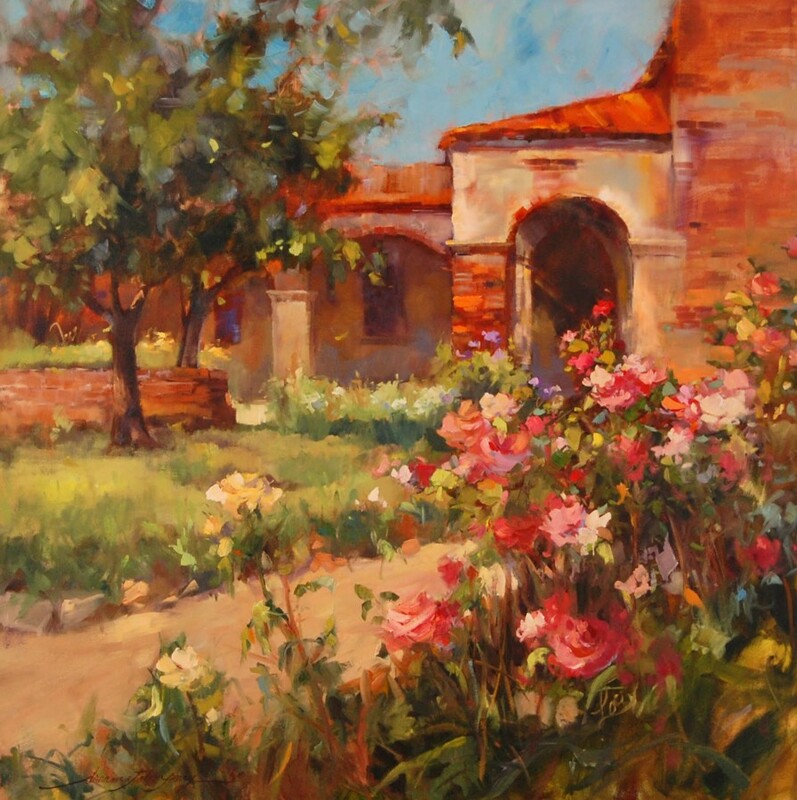 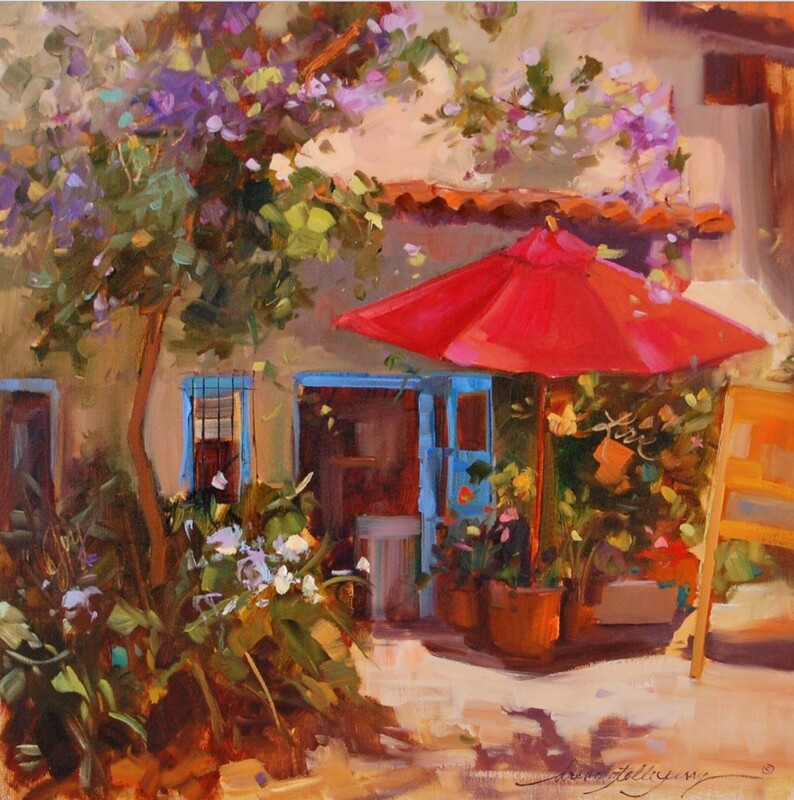 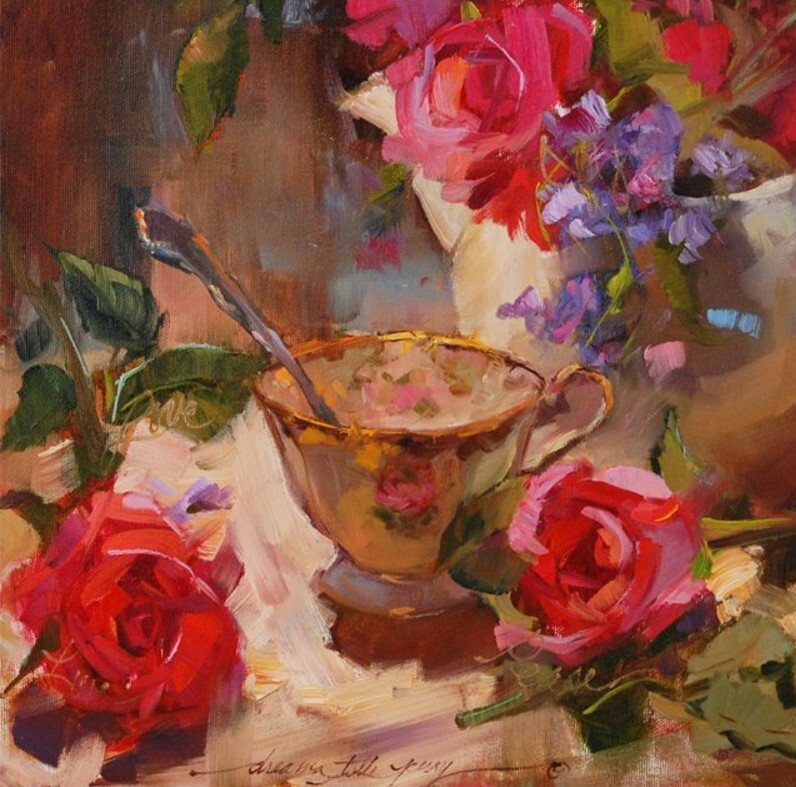 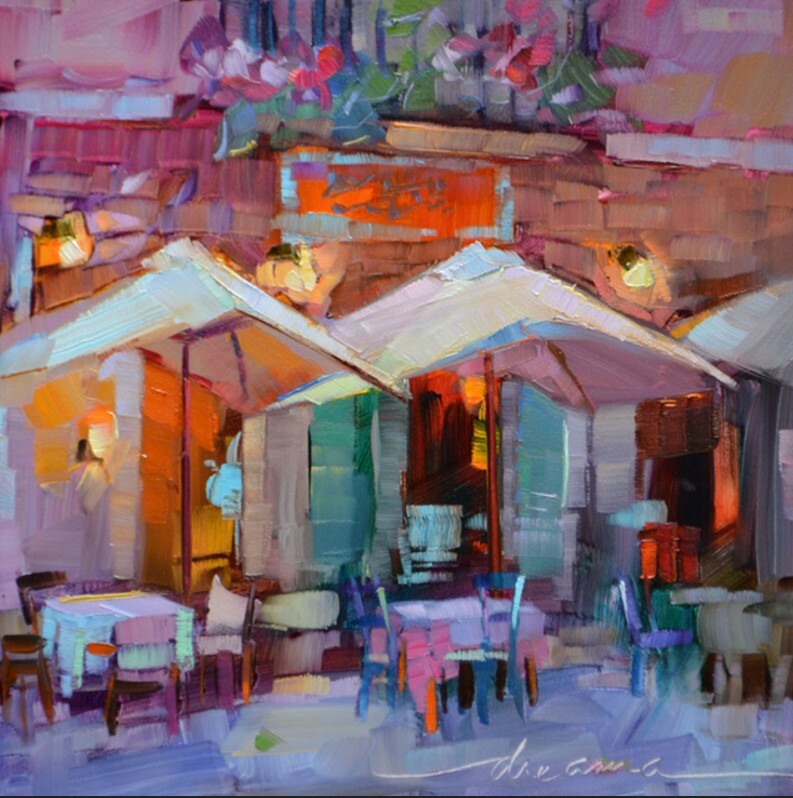 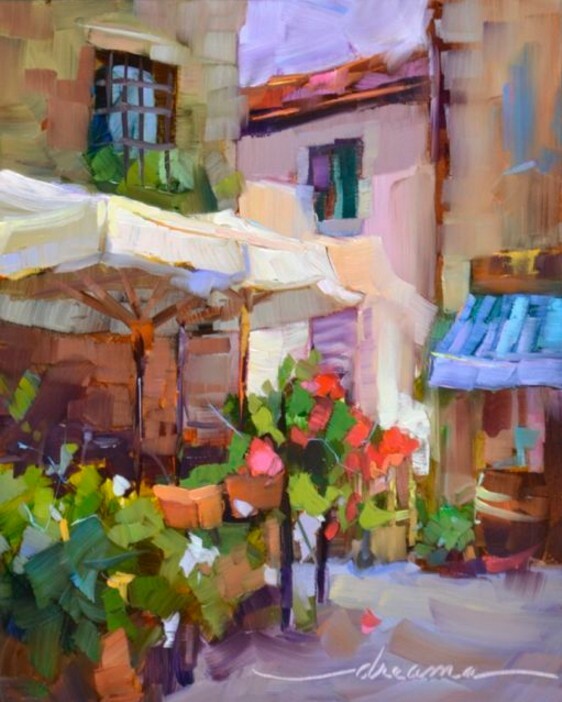 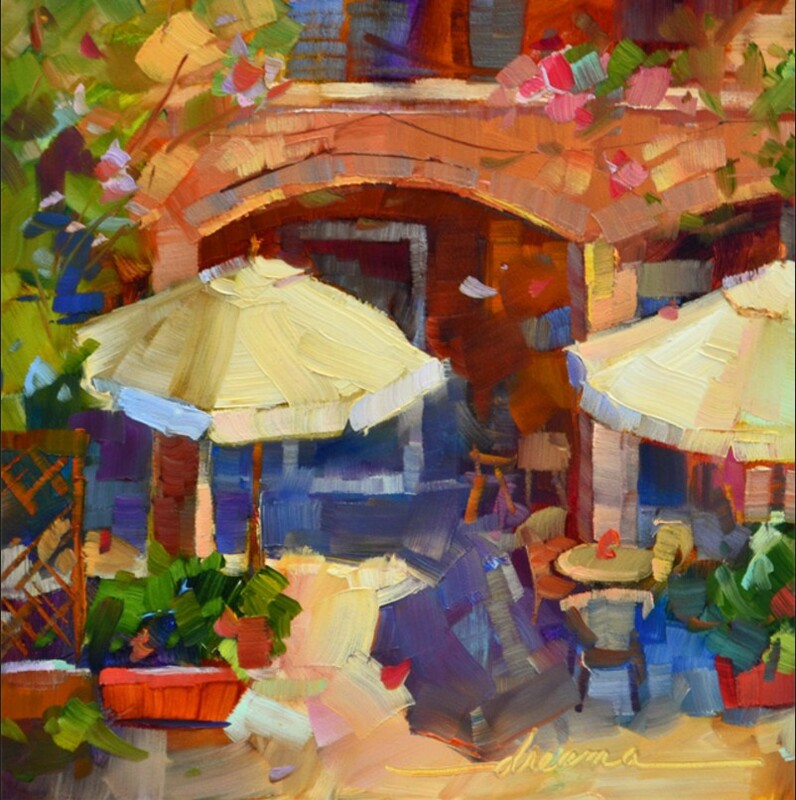 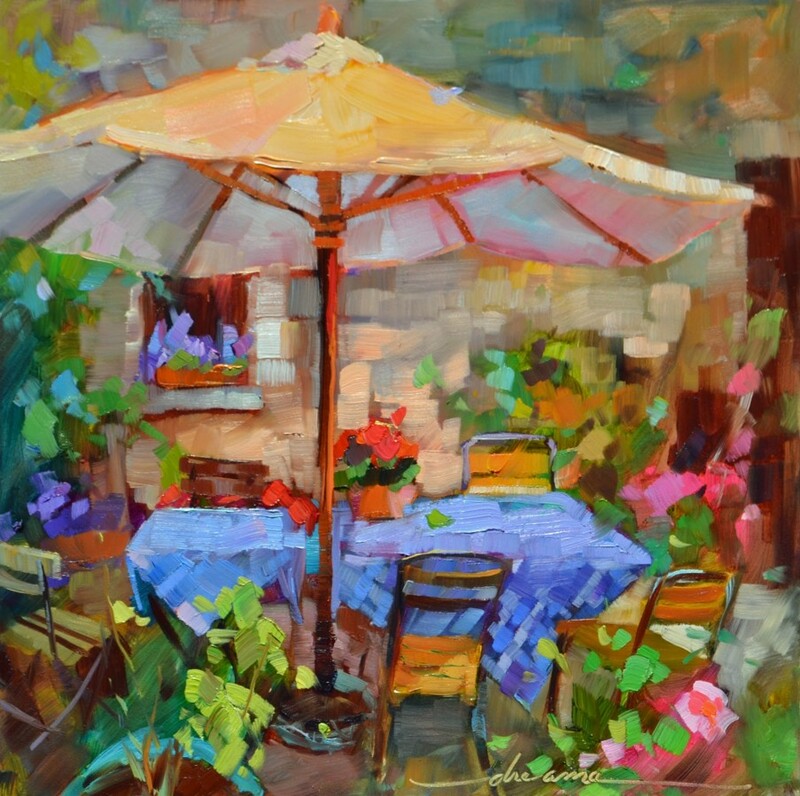 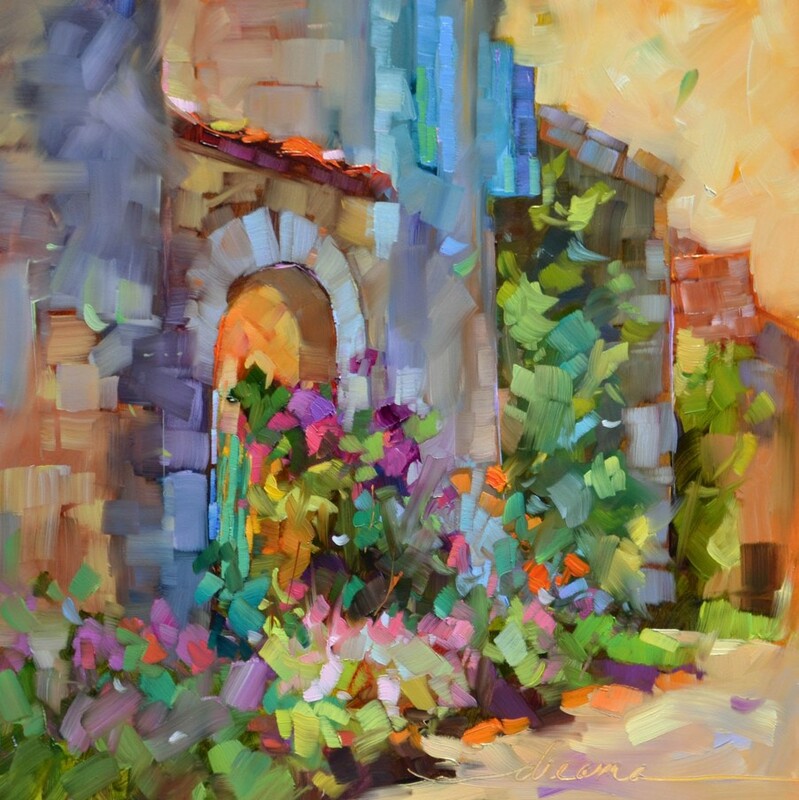 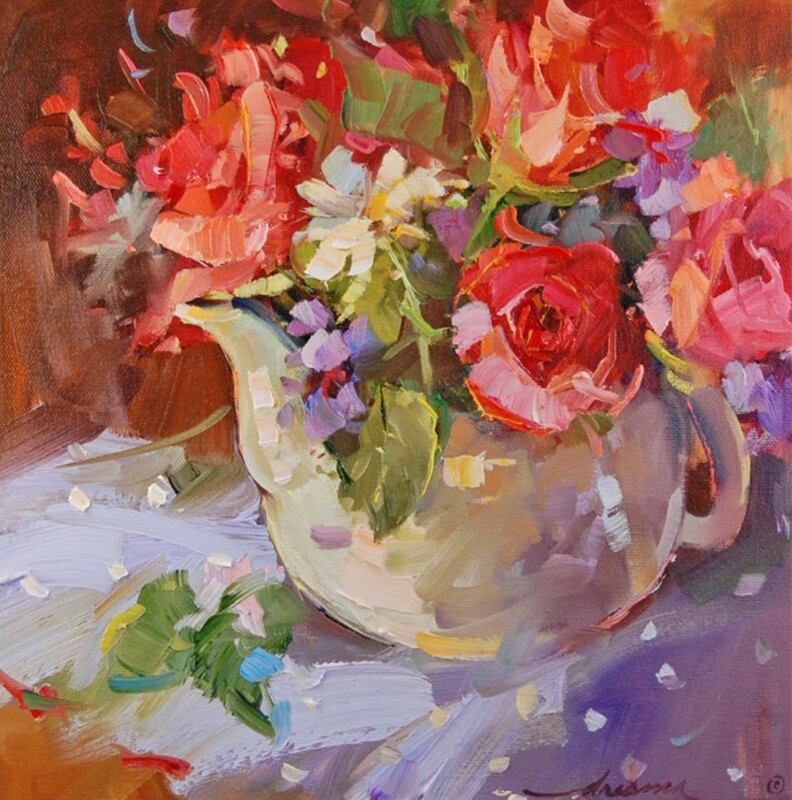 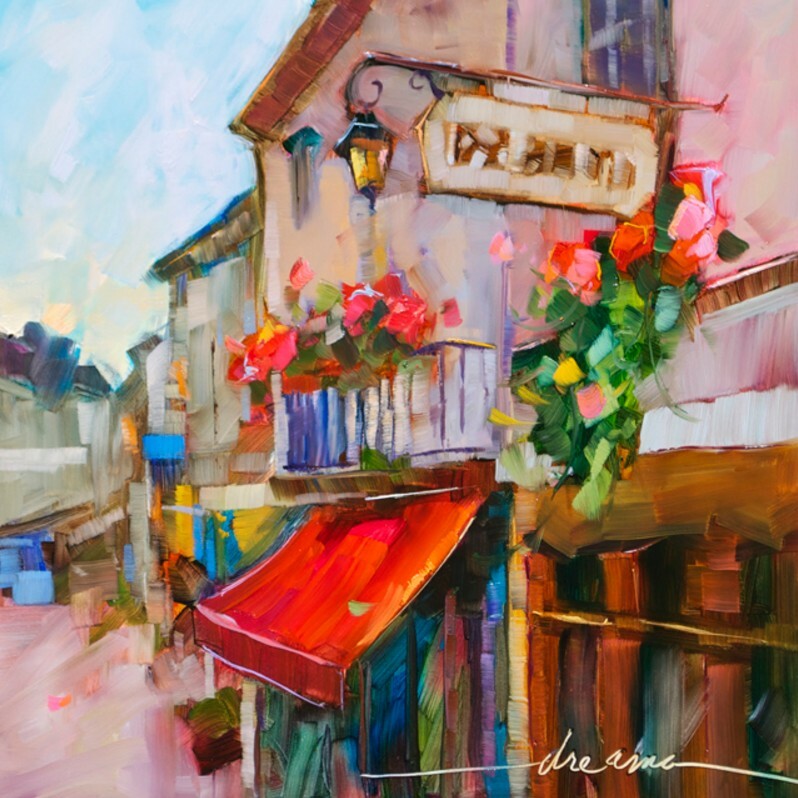 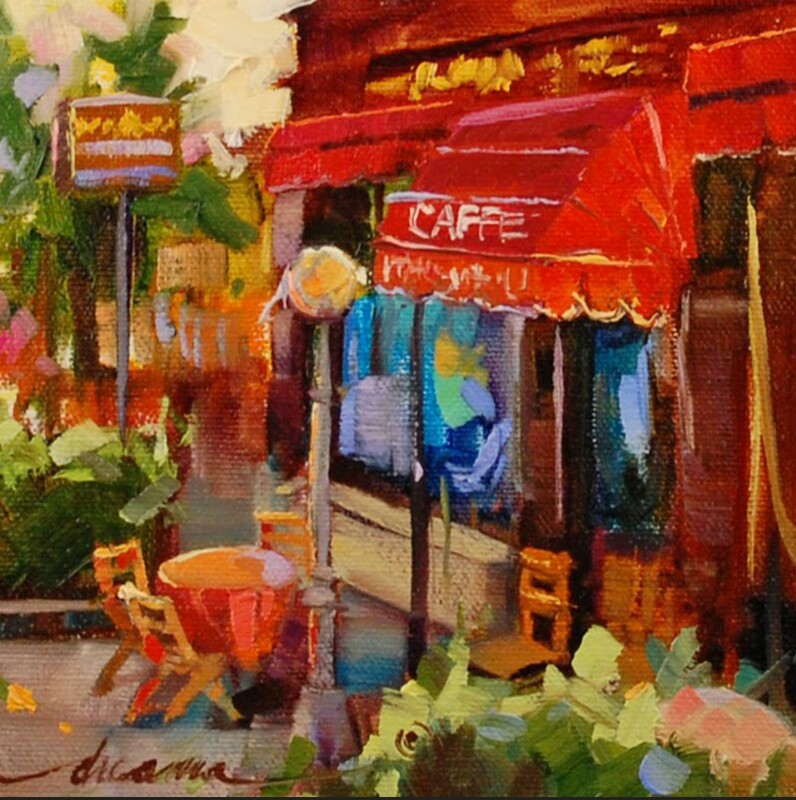 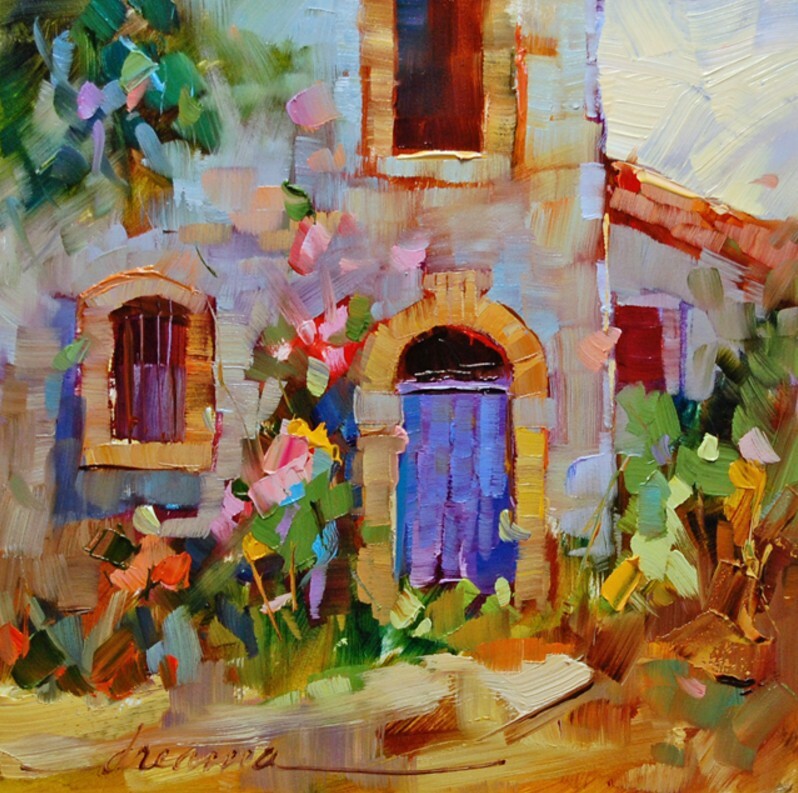 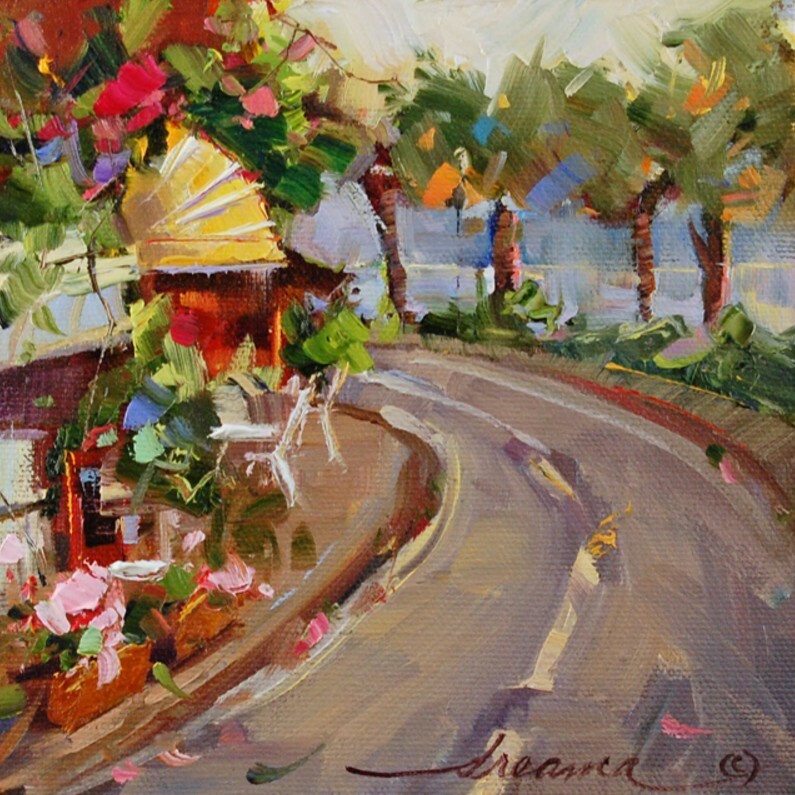 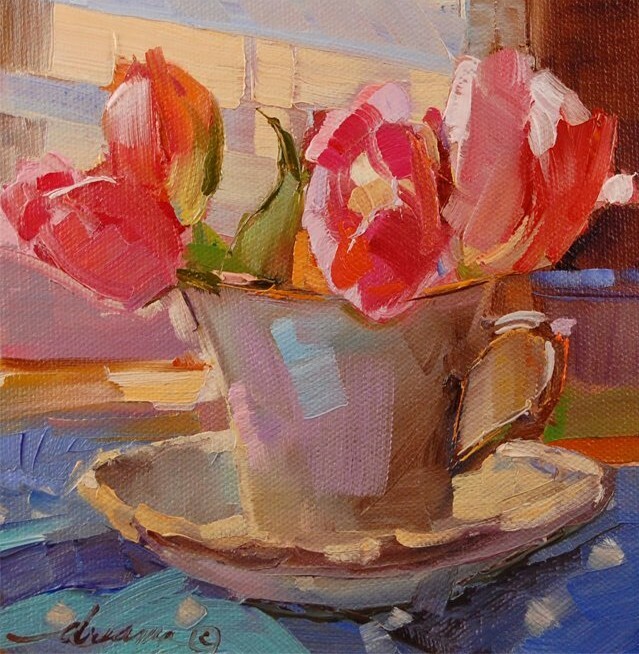 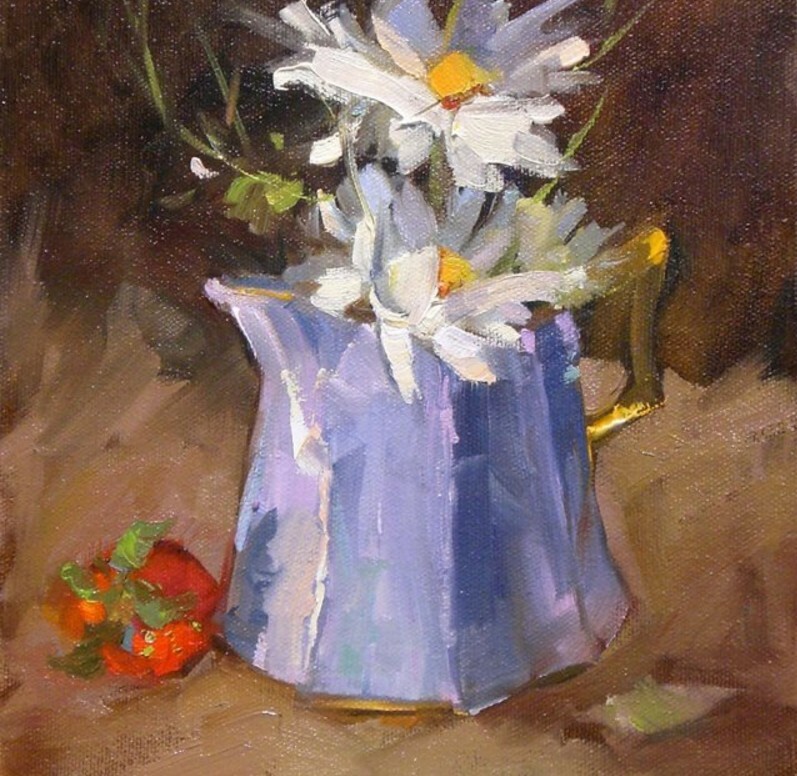 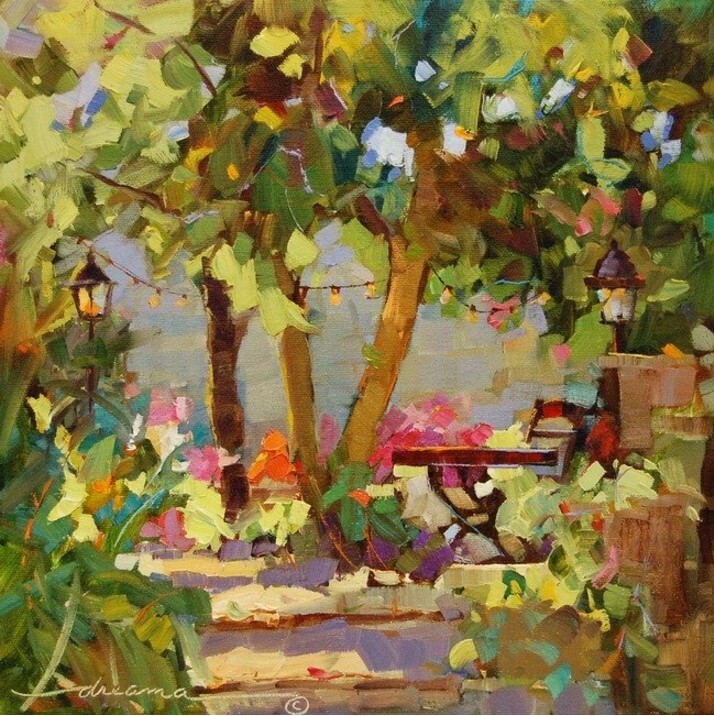 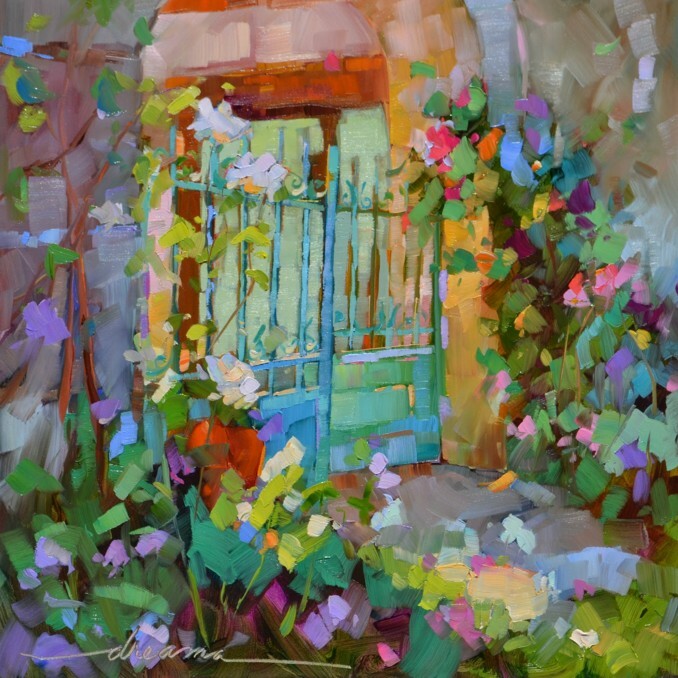 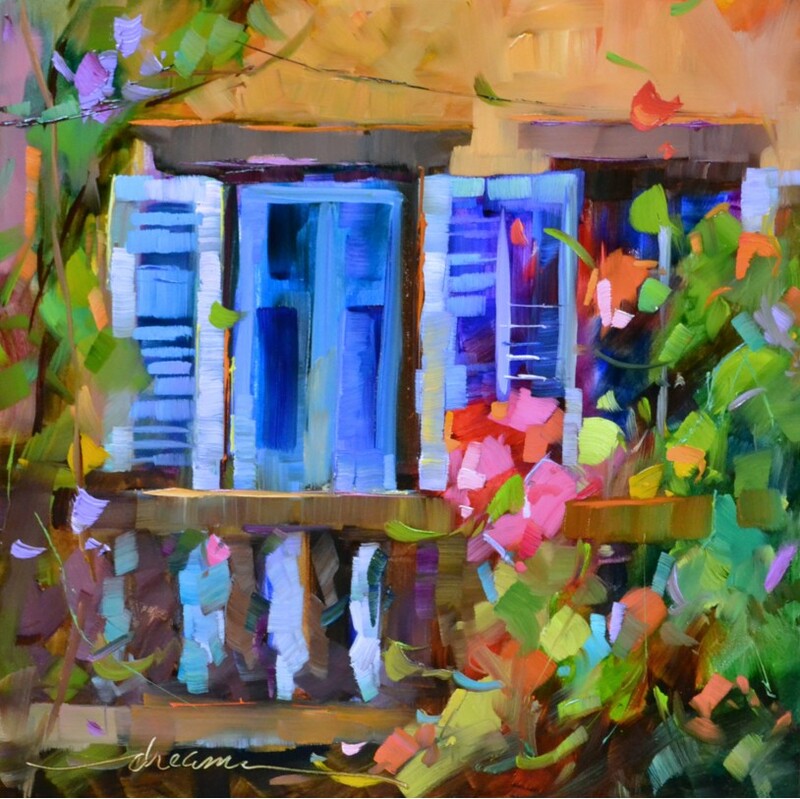 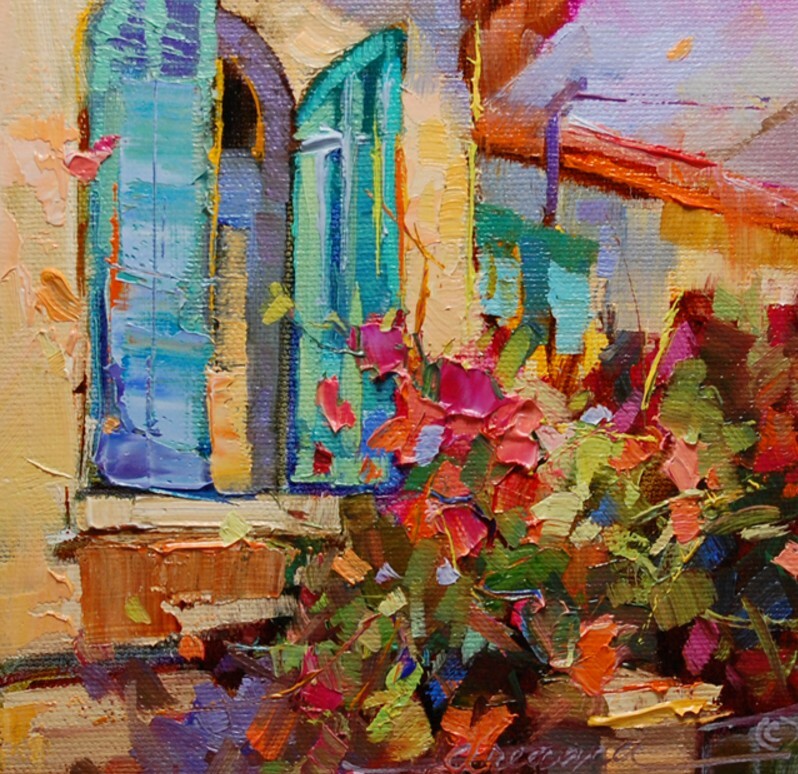 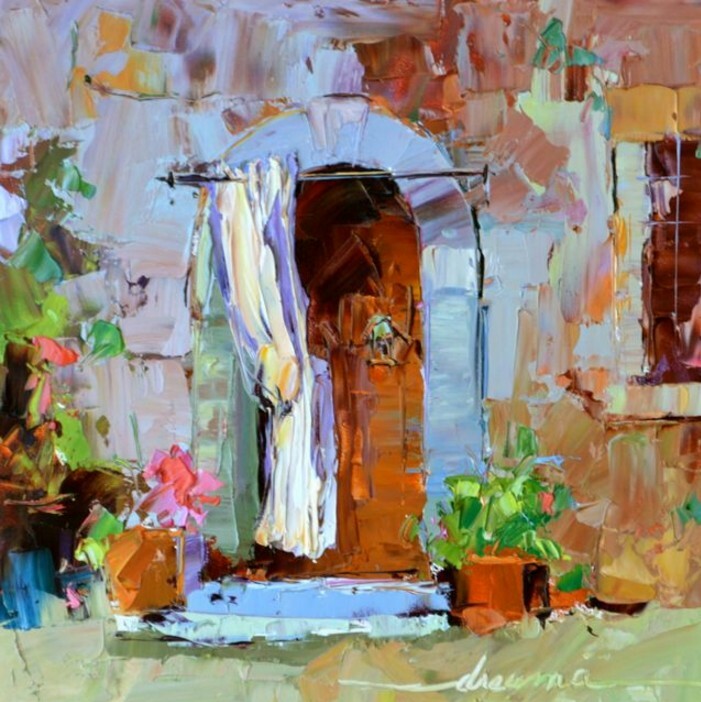 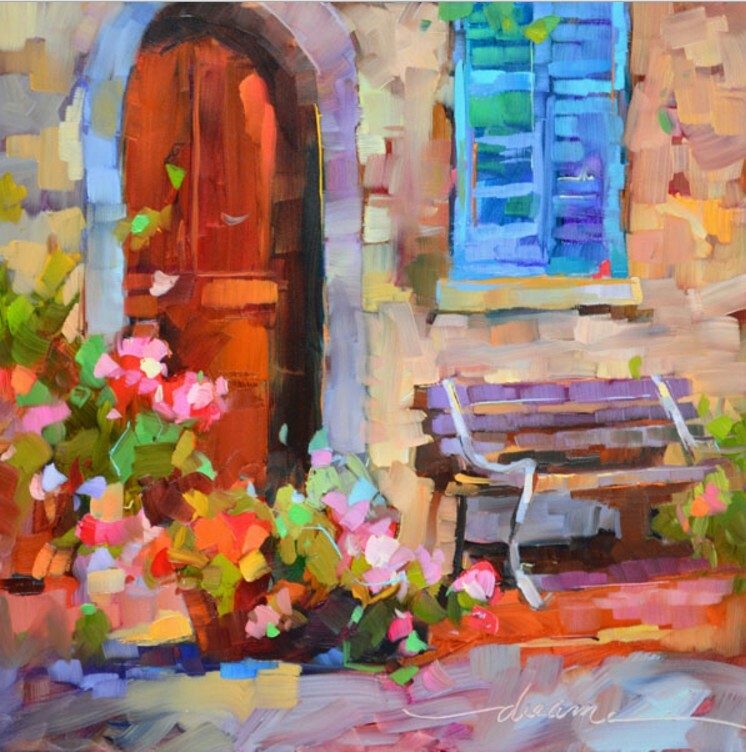 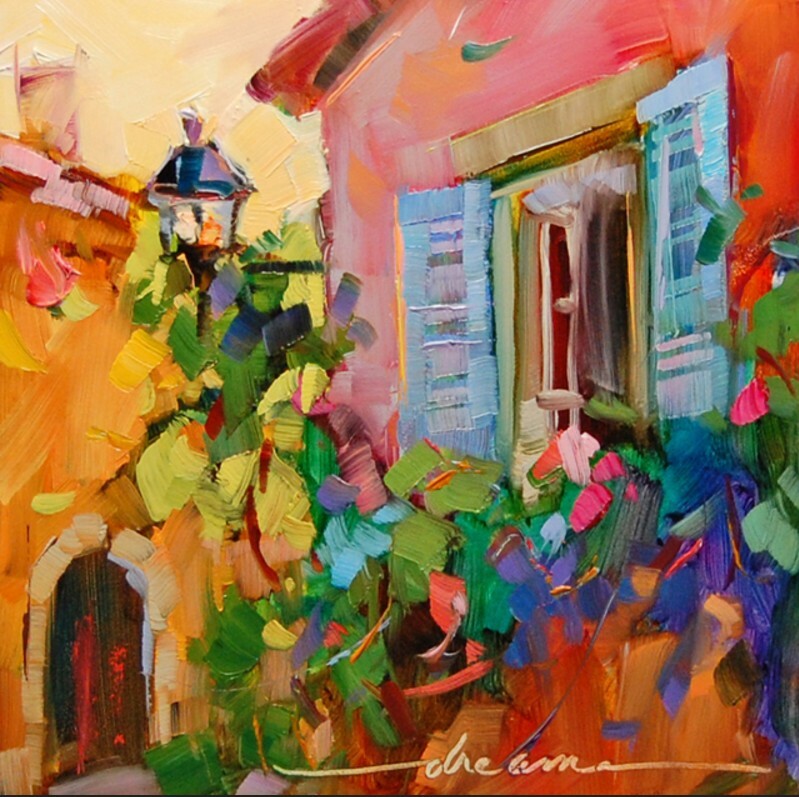 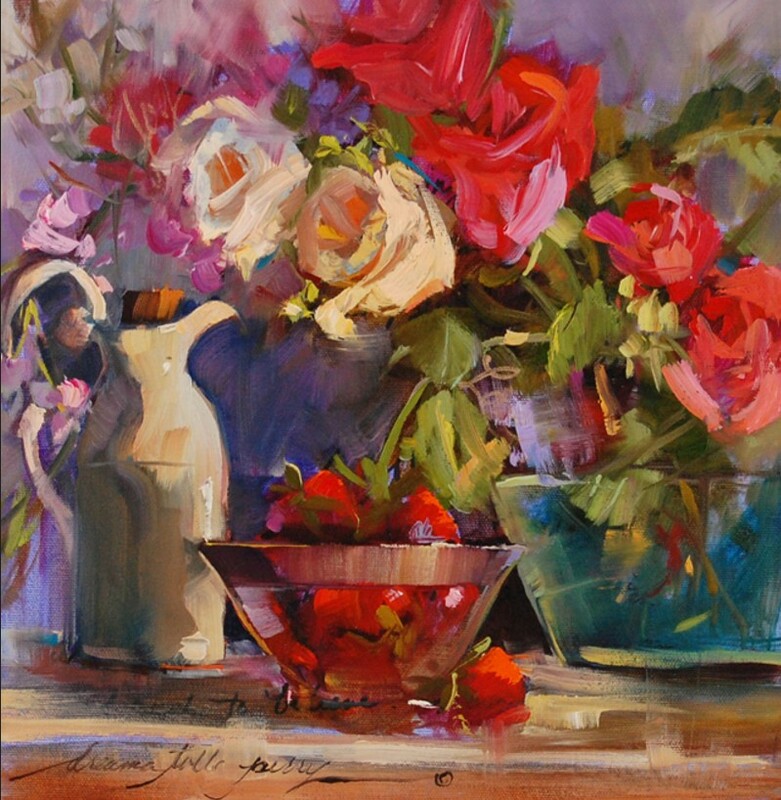 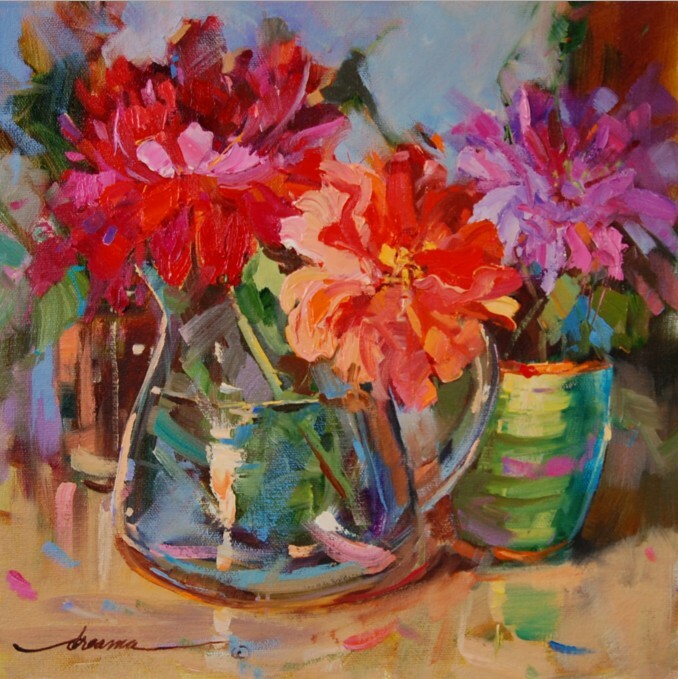 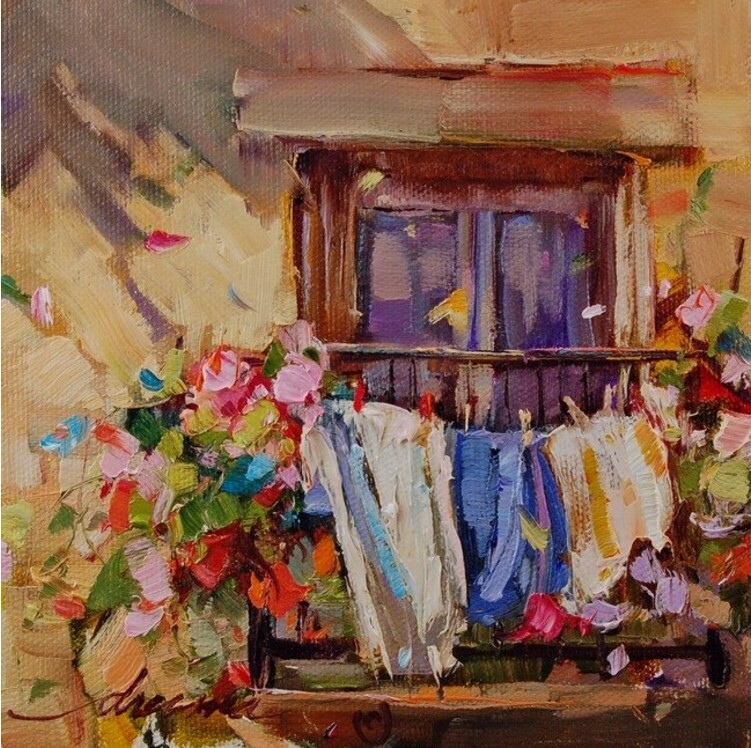 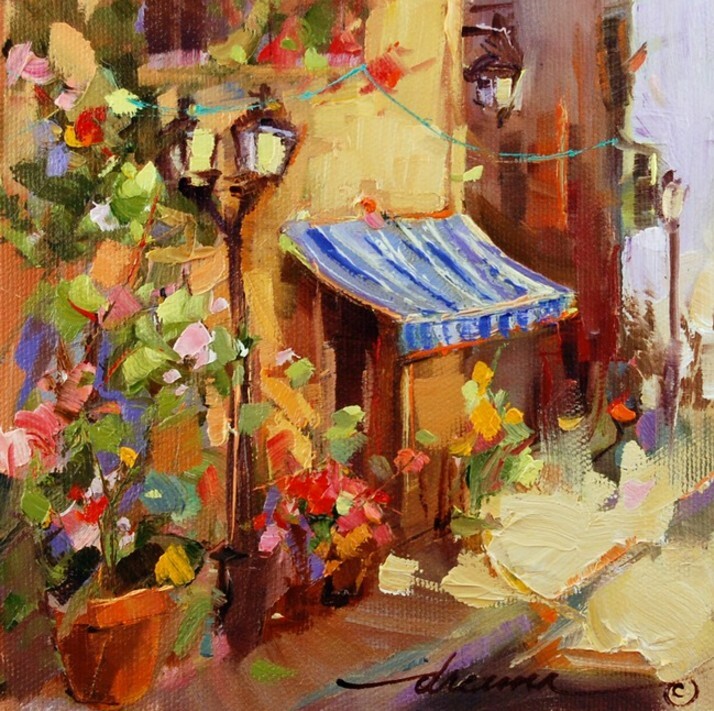 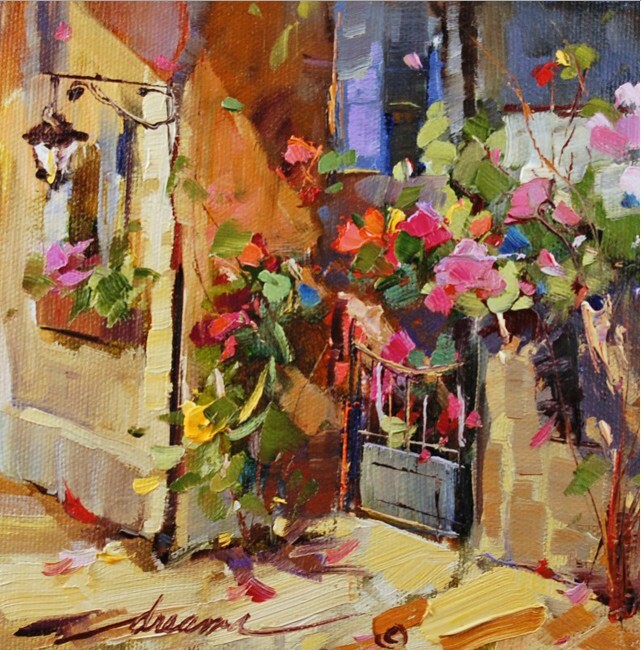 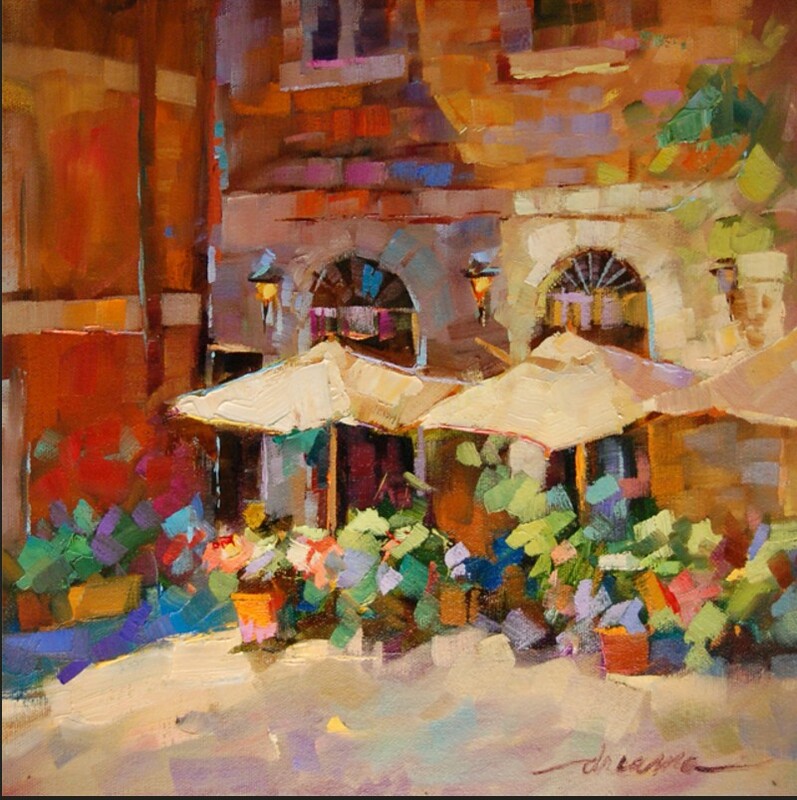 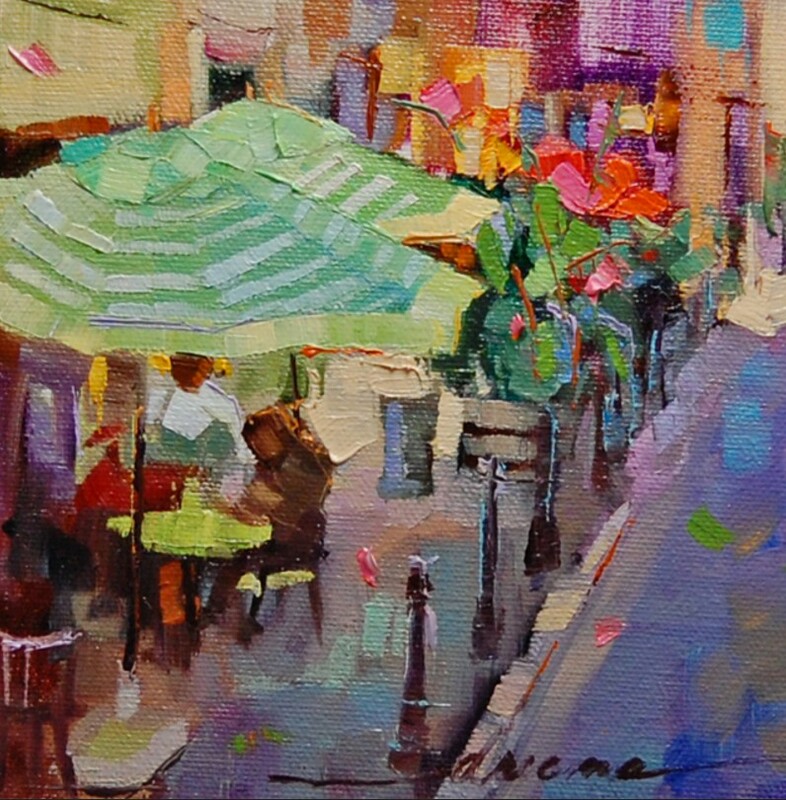 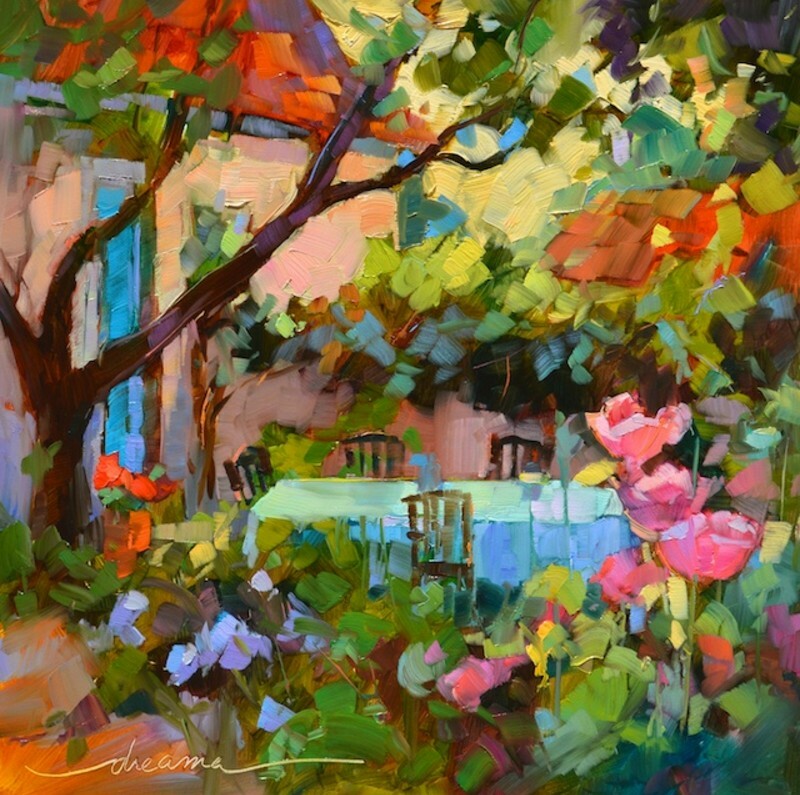 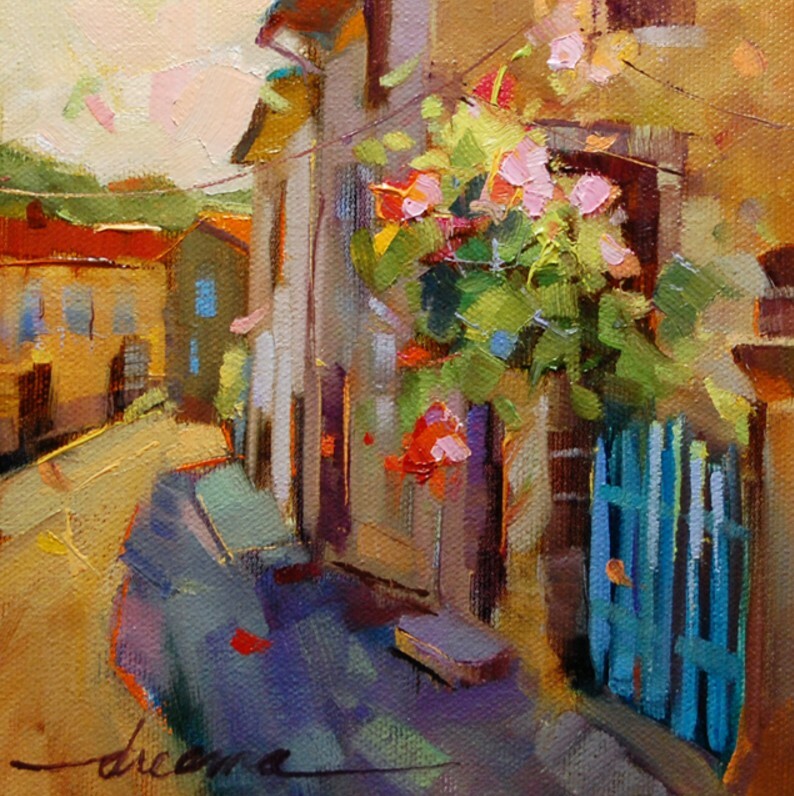 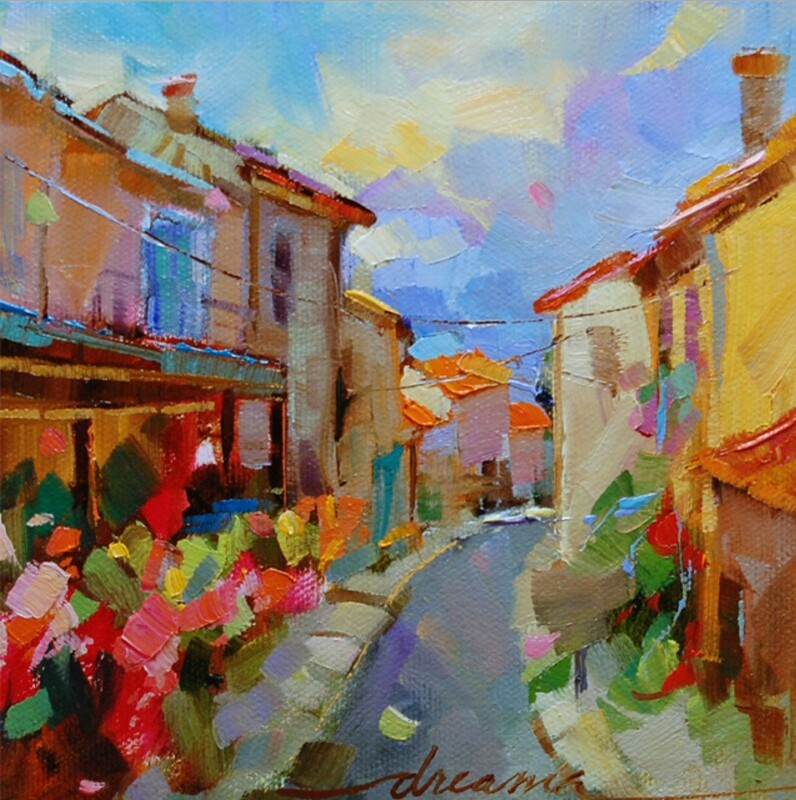 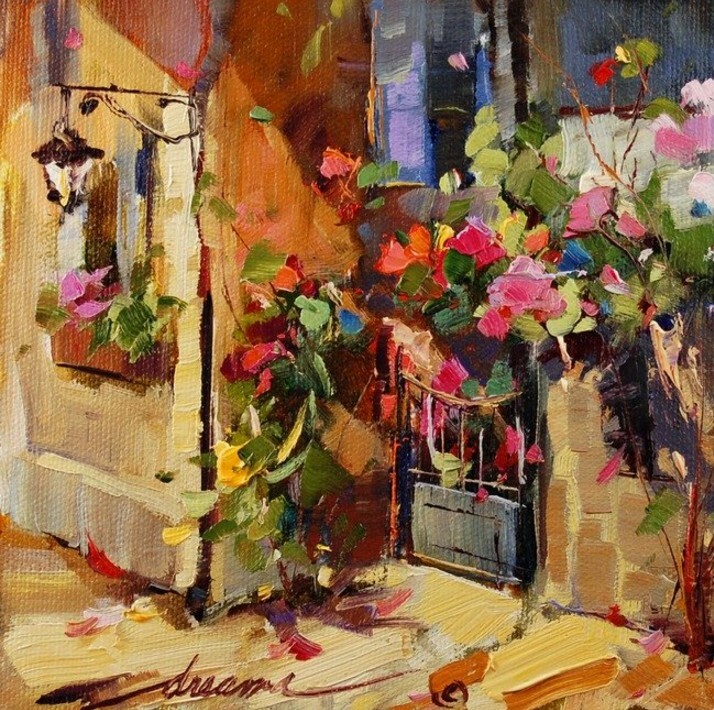 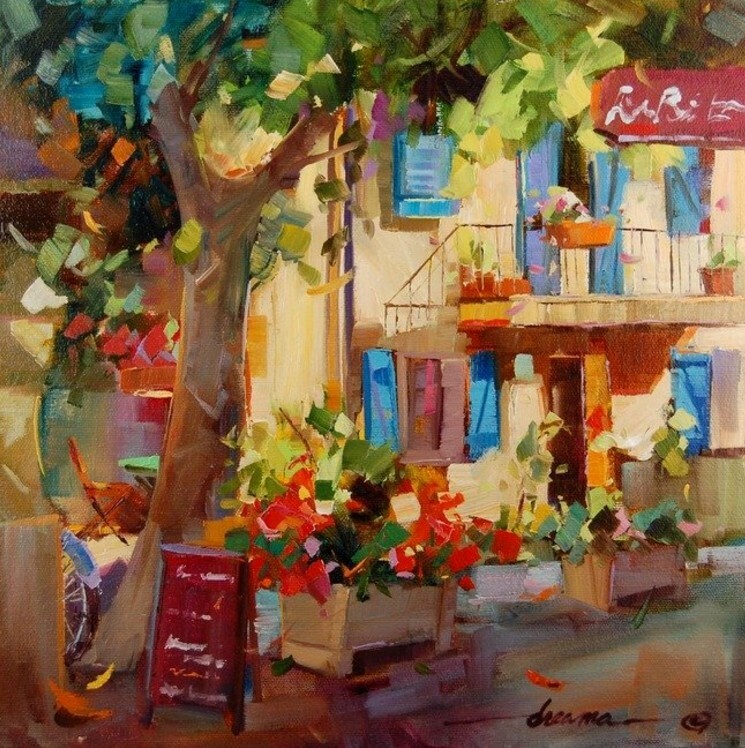 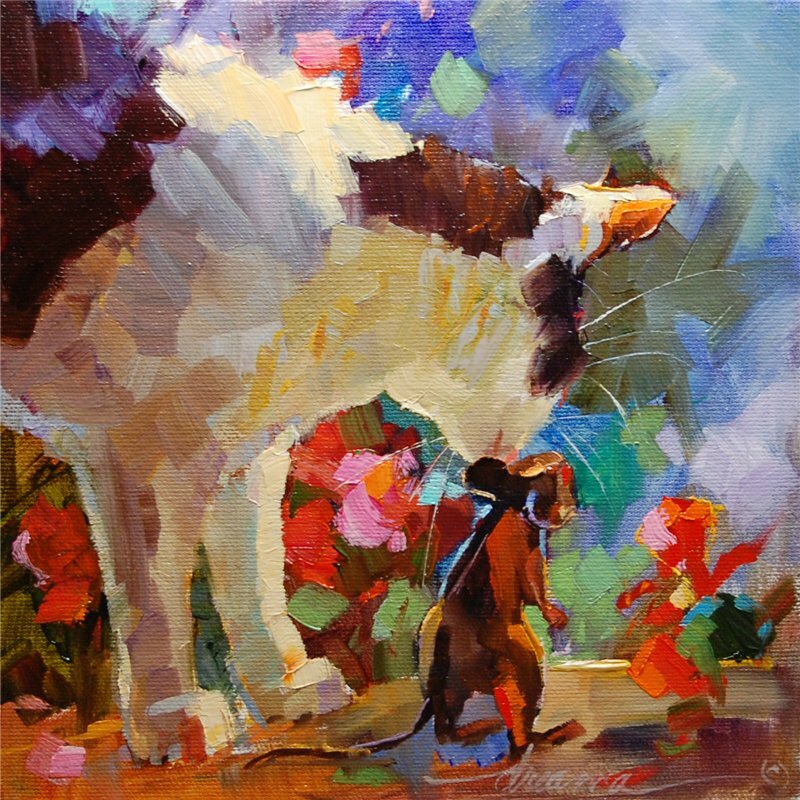 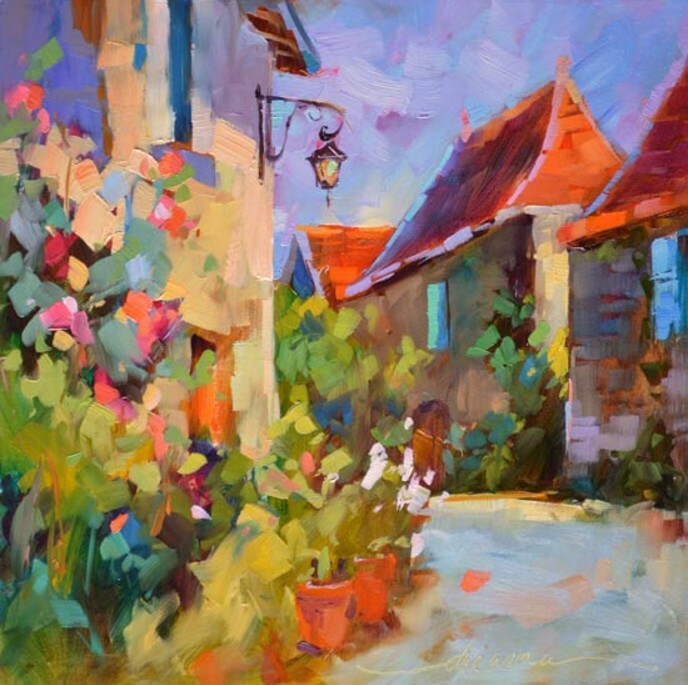 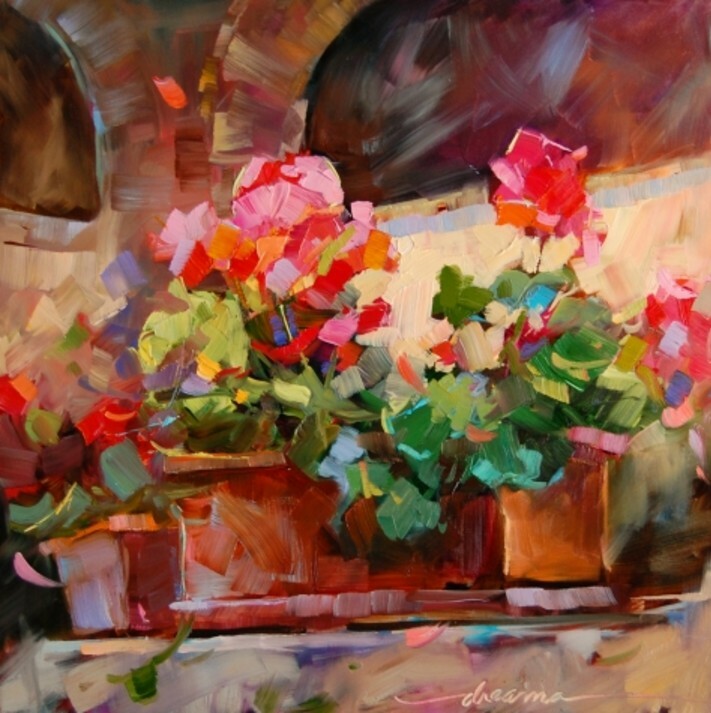 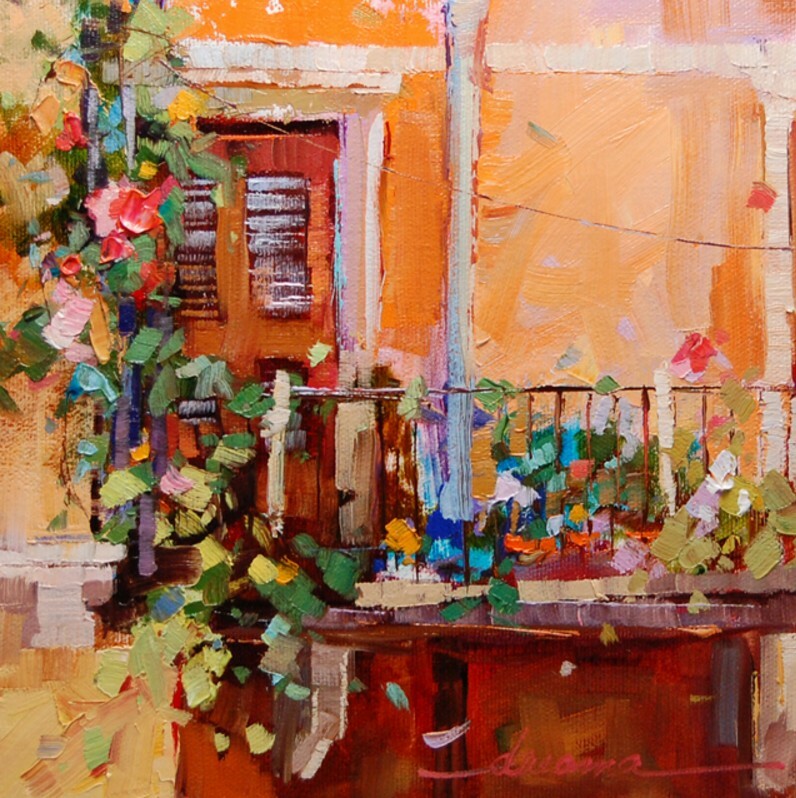 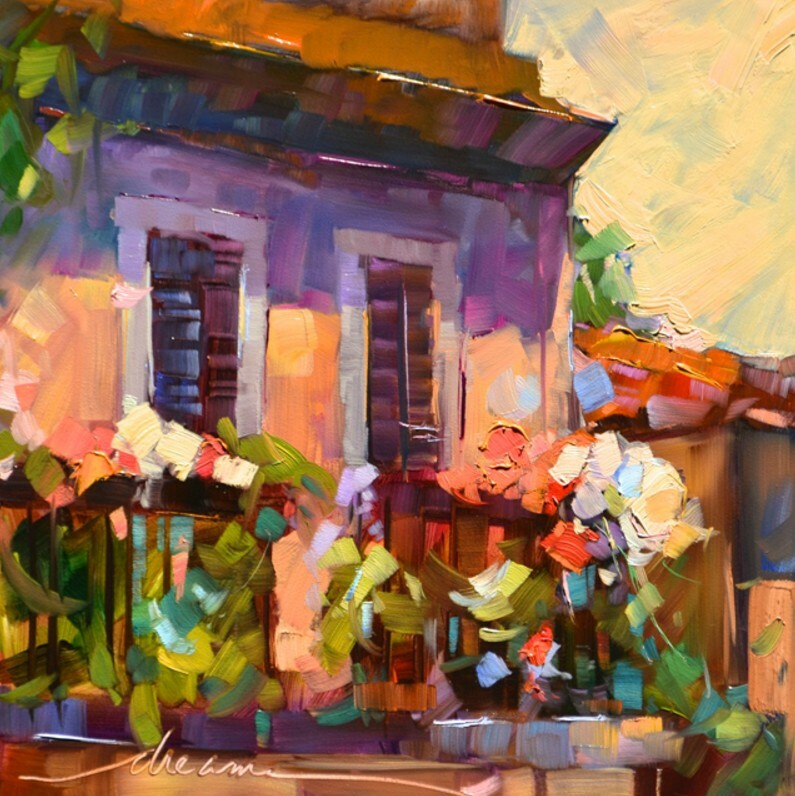 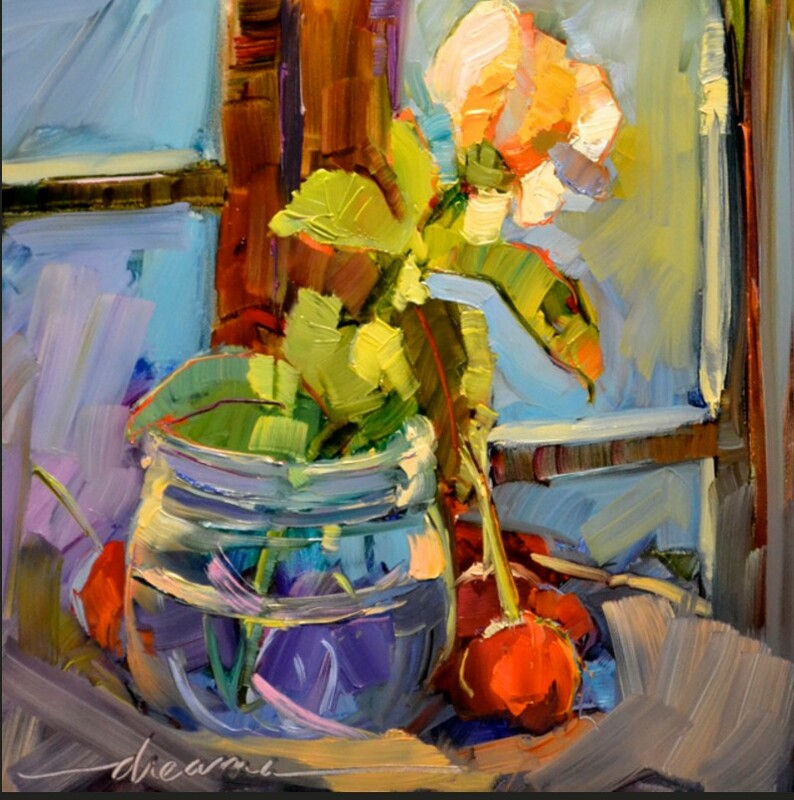 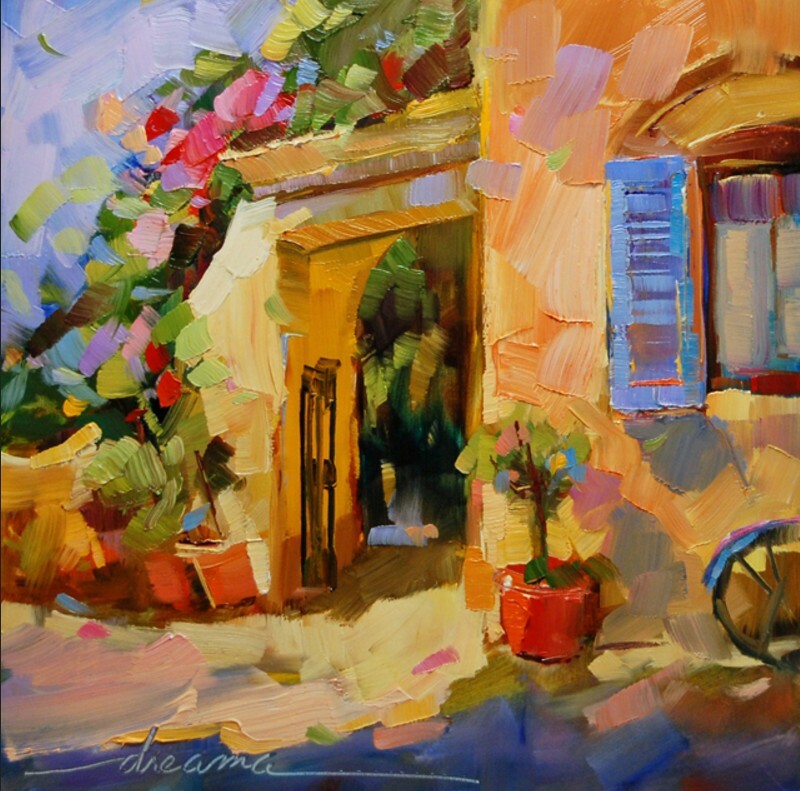 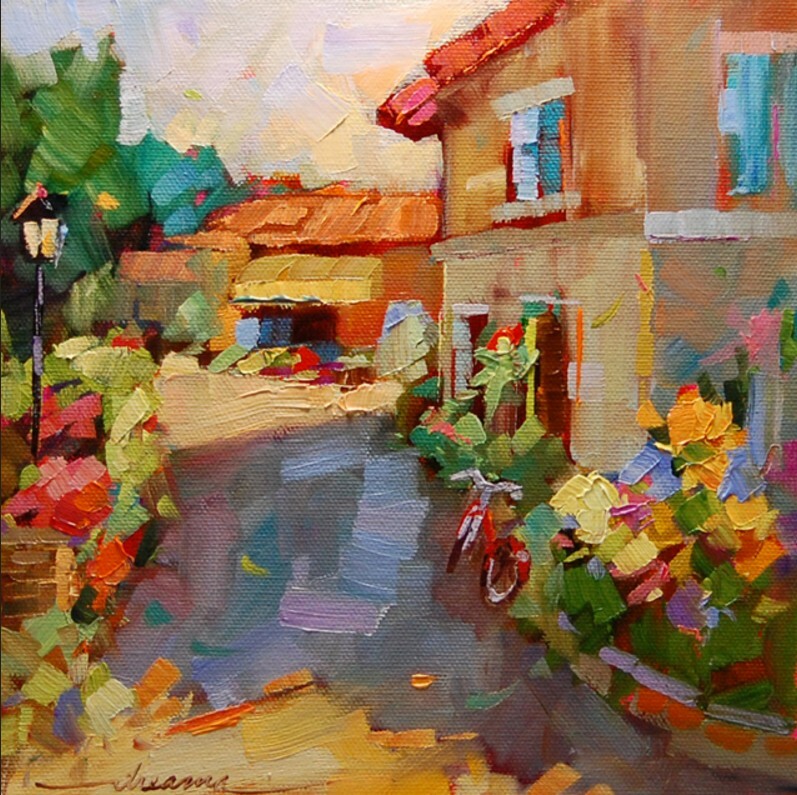 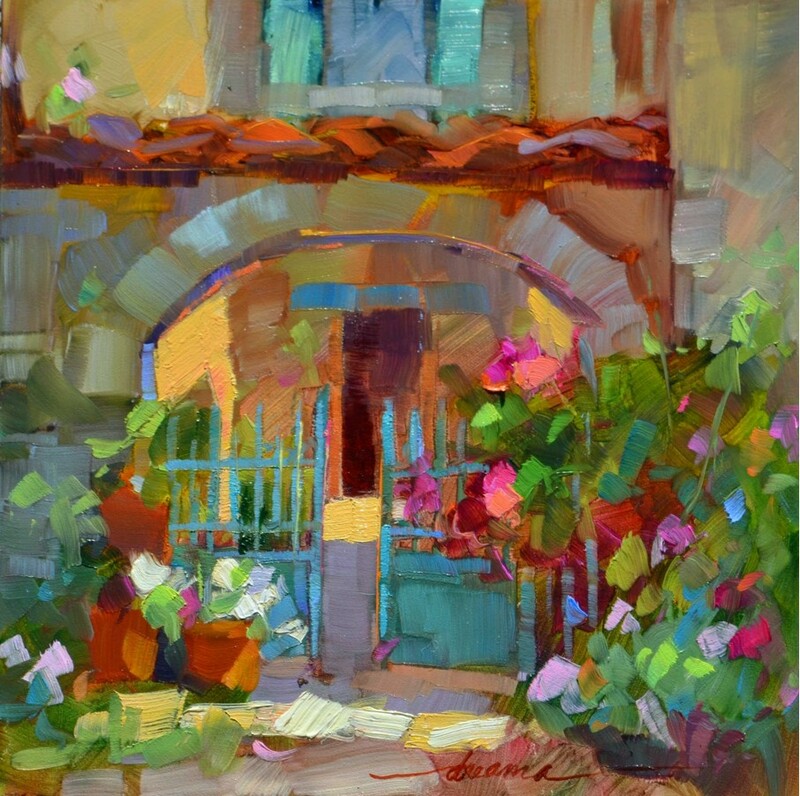 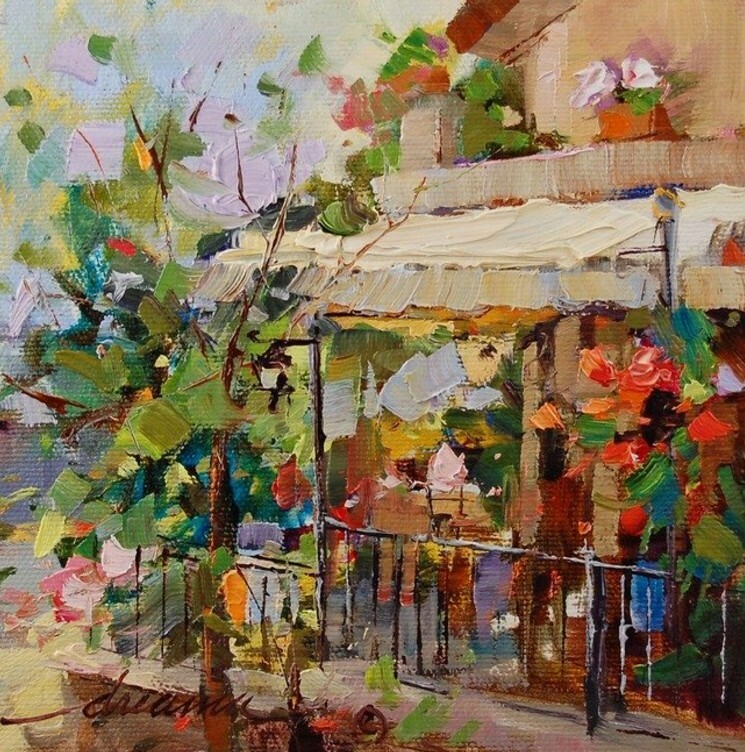 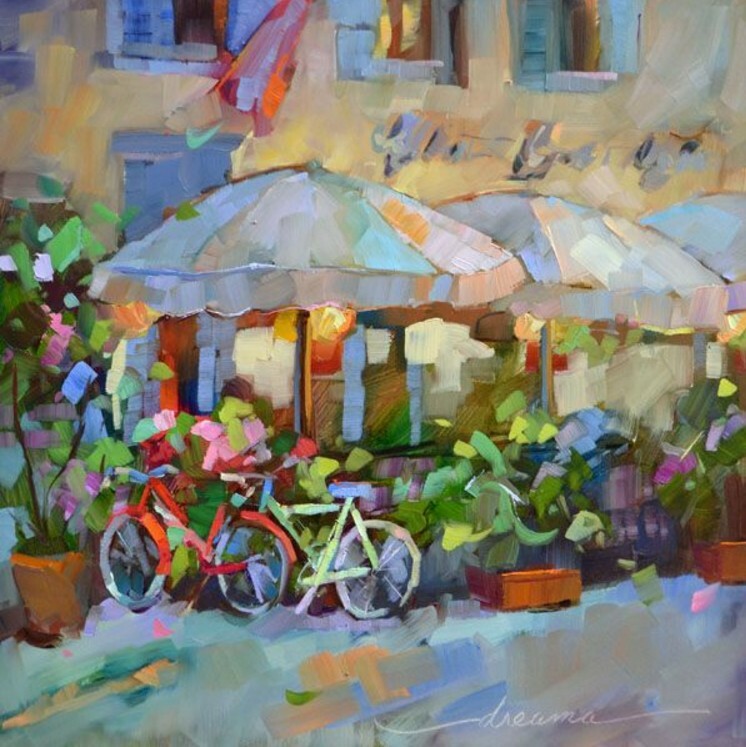 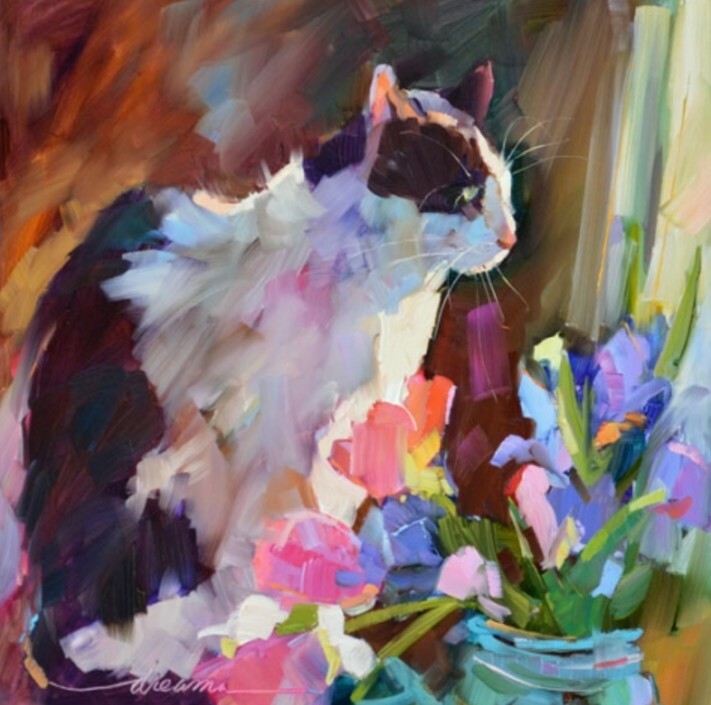 “I paint scenes of France and Italy and flowers and cats. 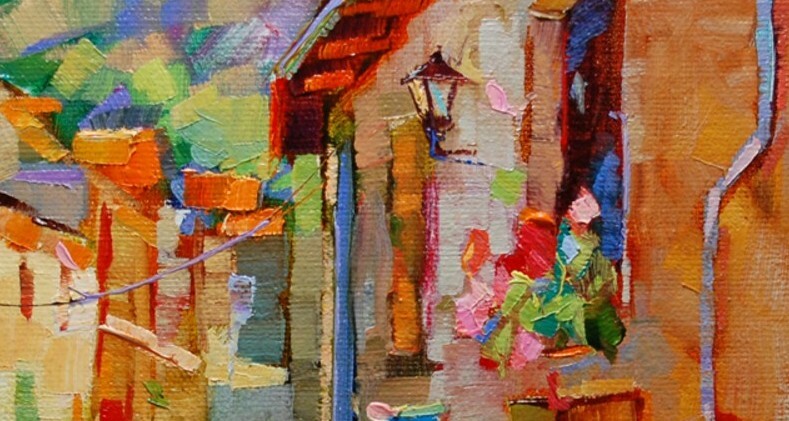 I write about what inspires me, makes me laugh, brings me JOY.